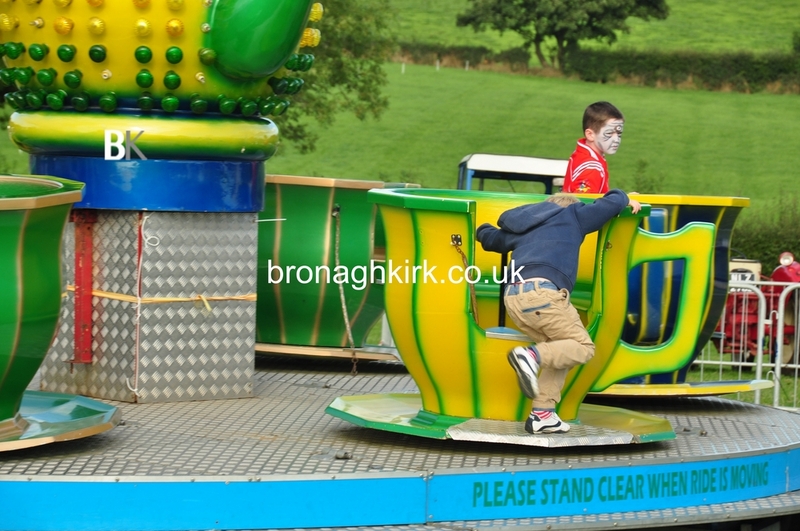 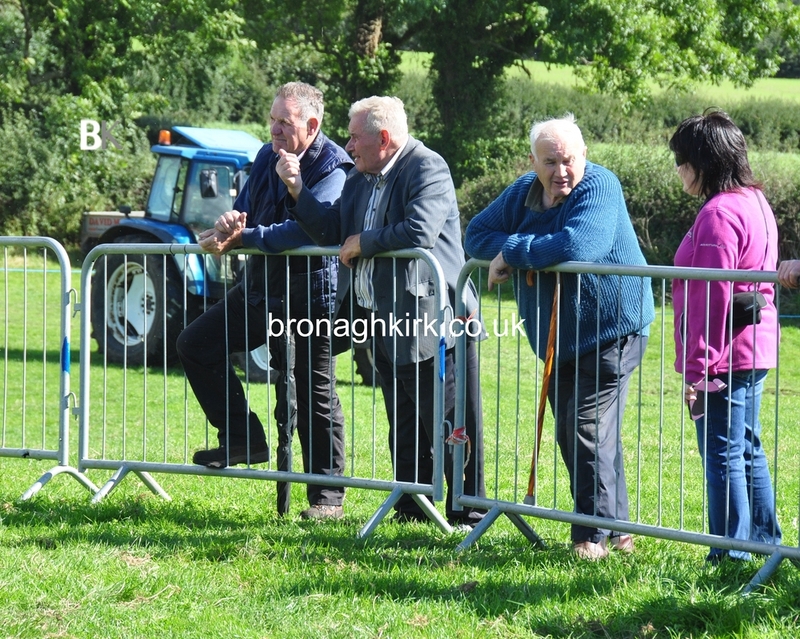 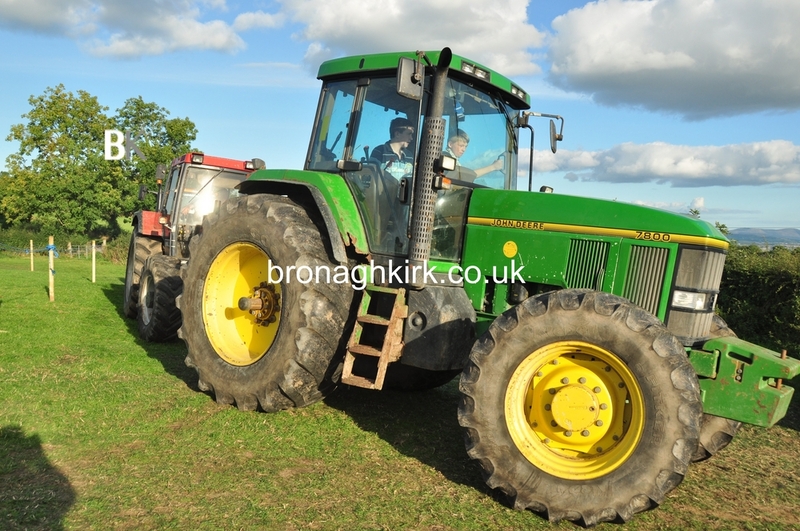 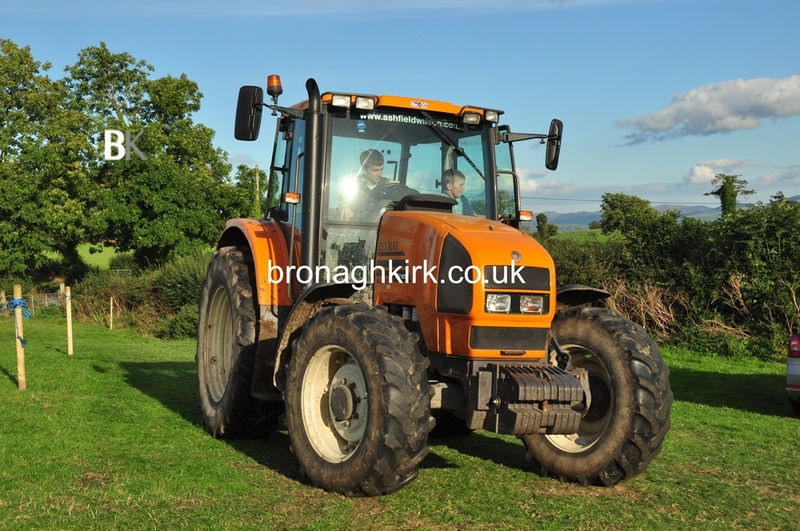 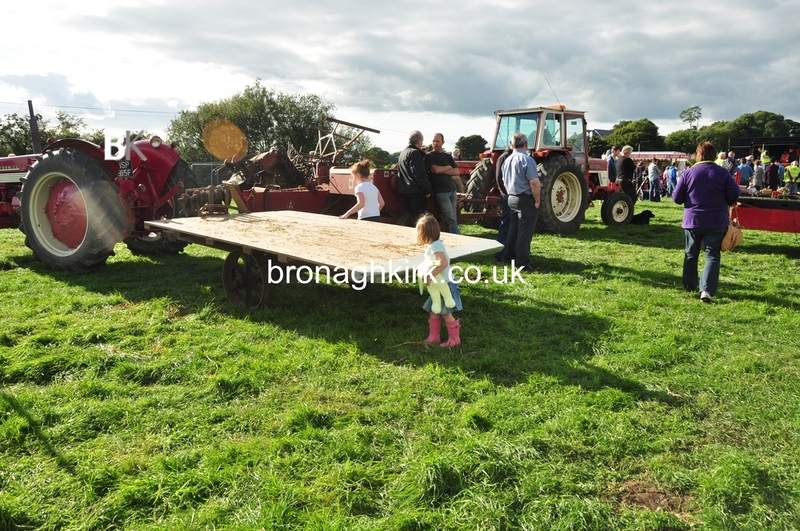 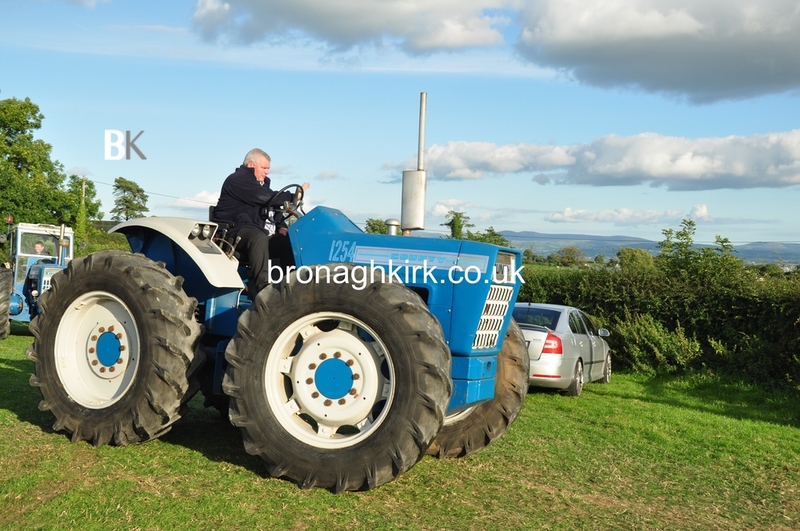 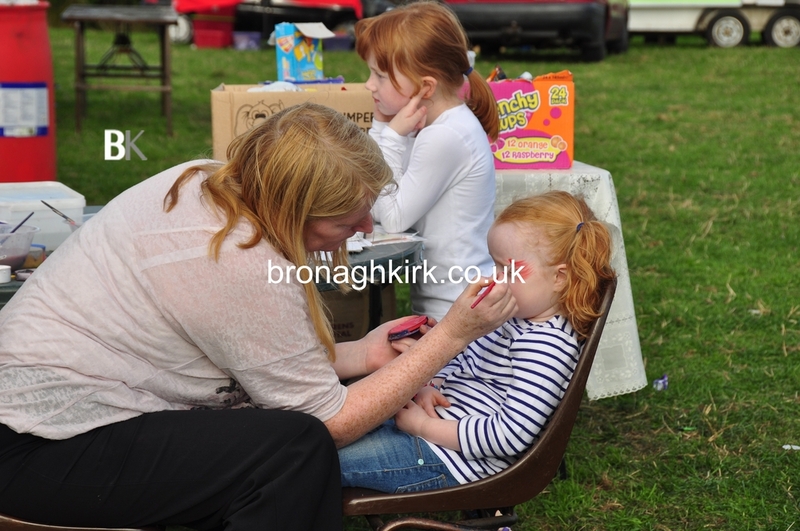 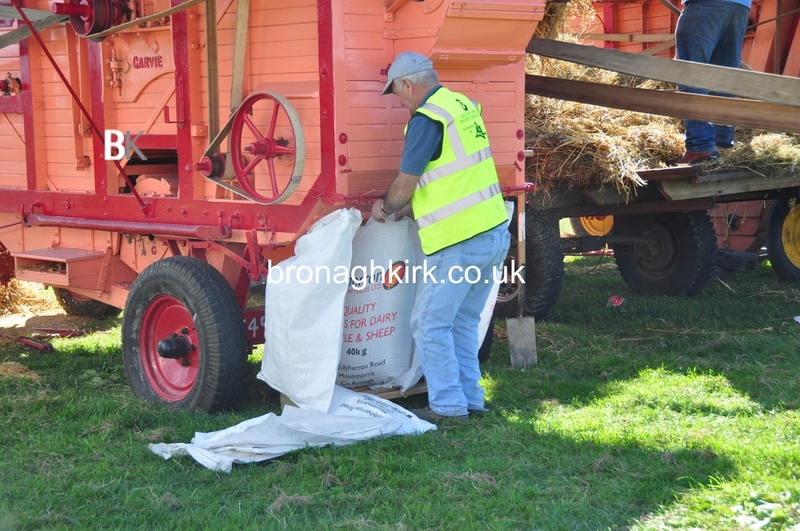 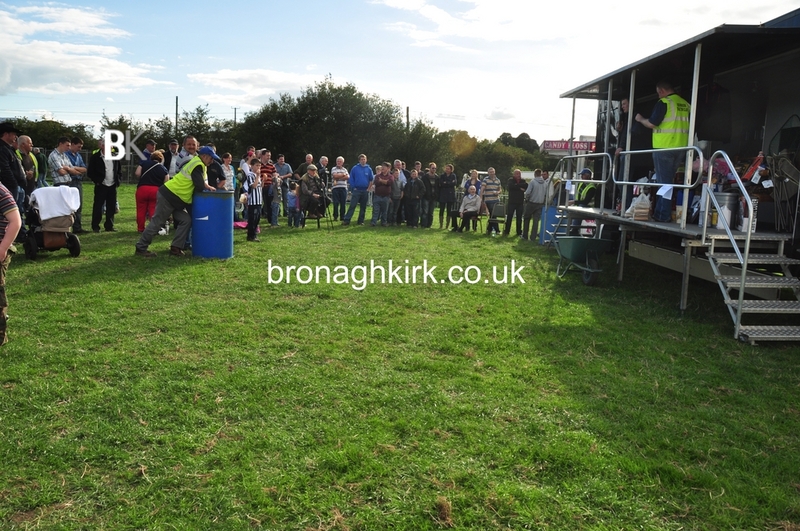 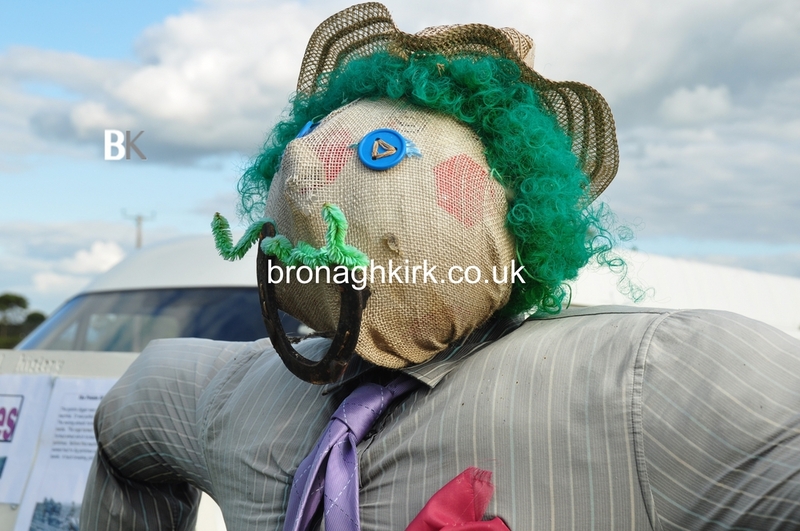 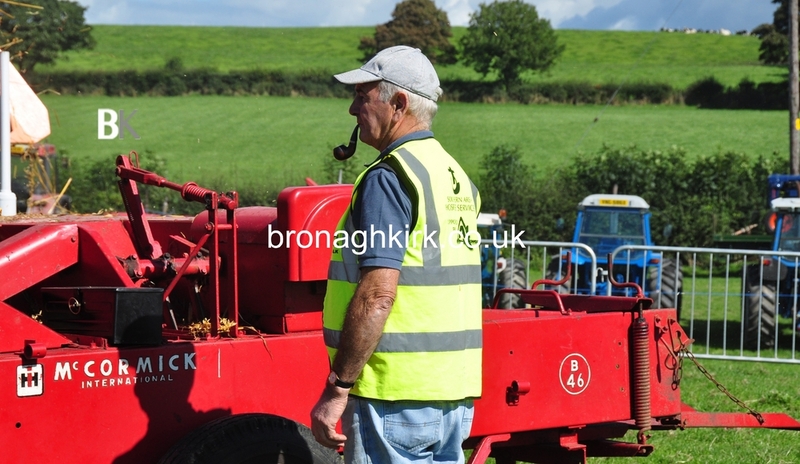 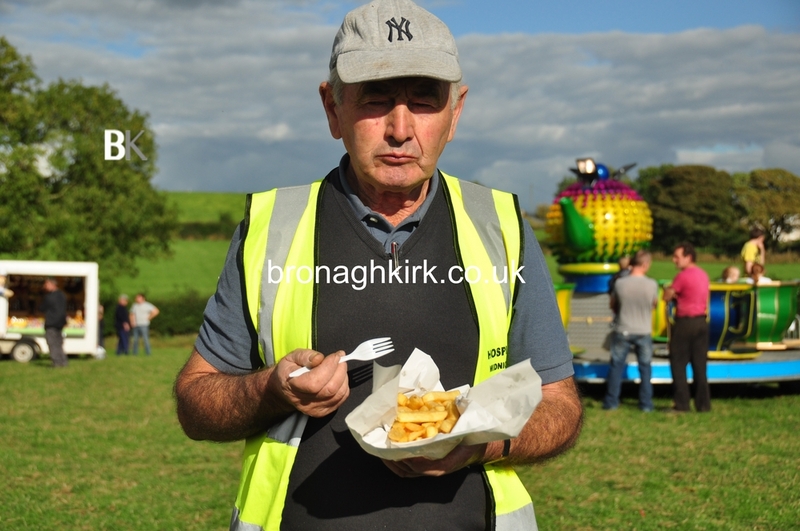 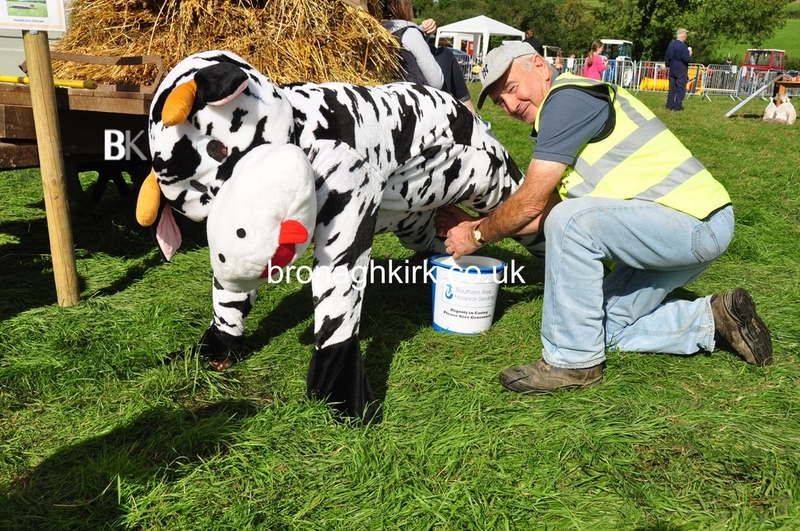 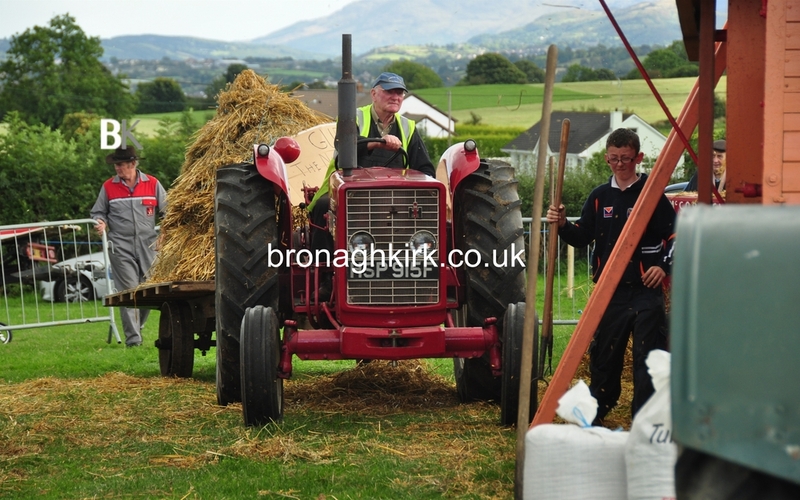 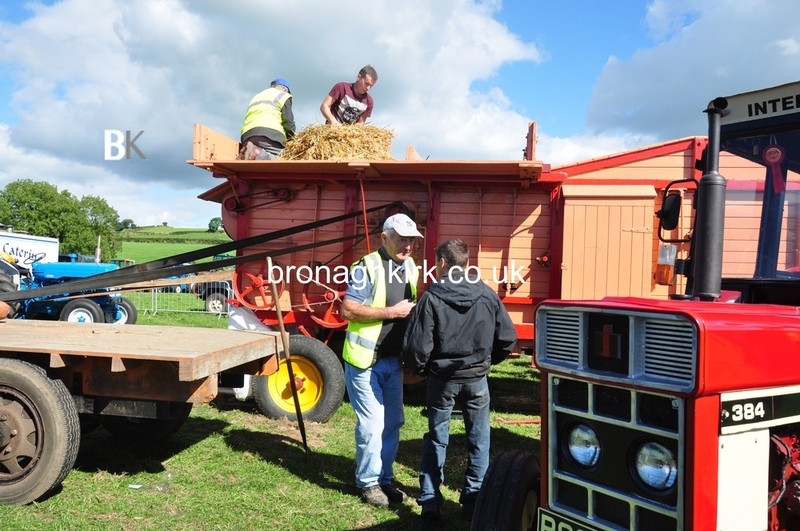 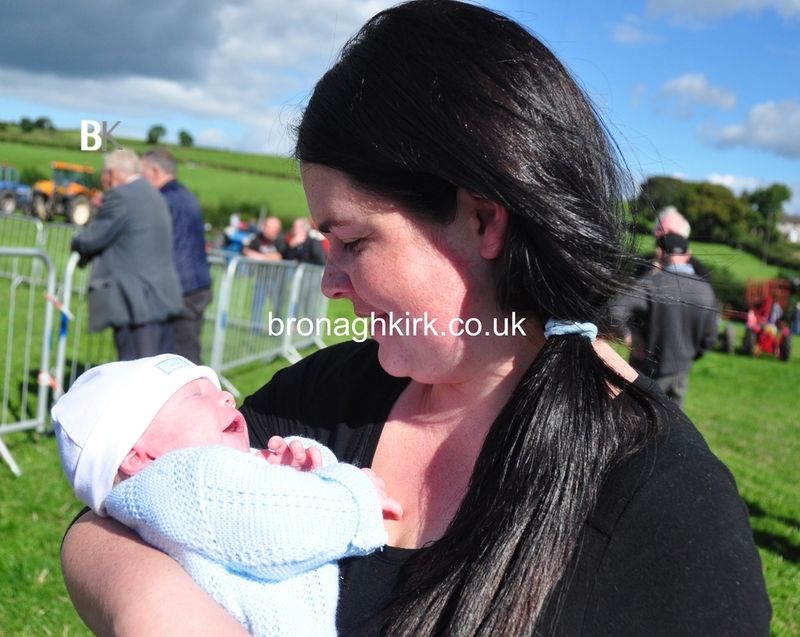 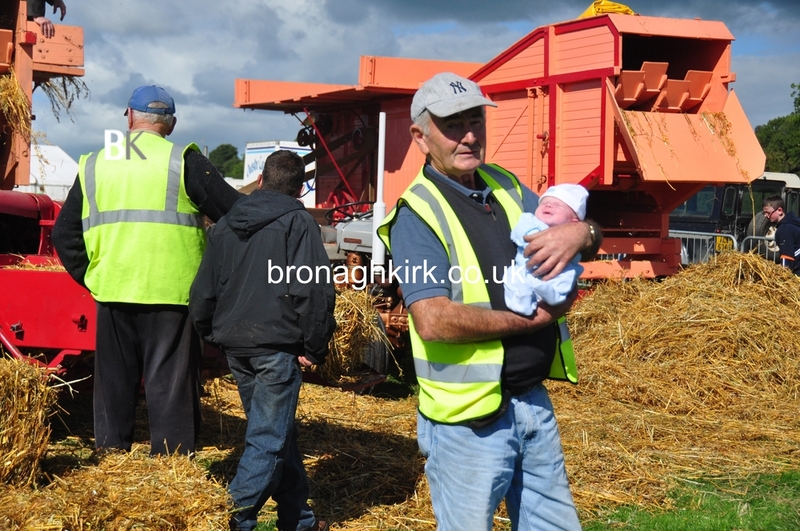 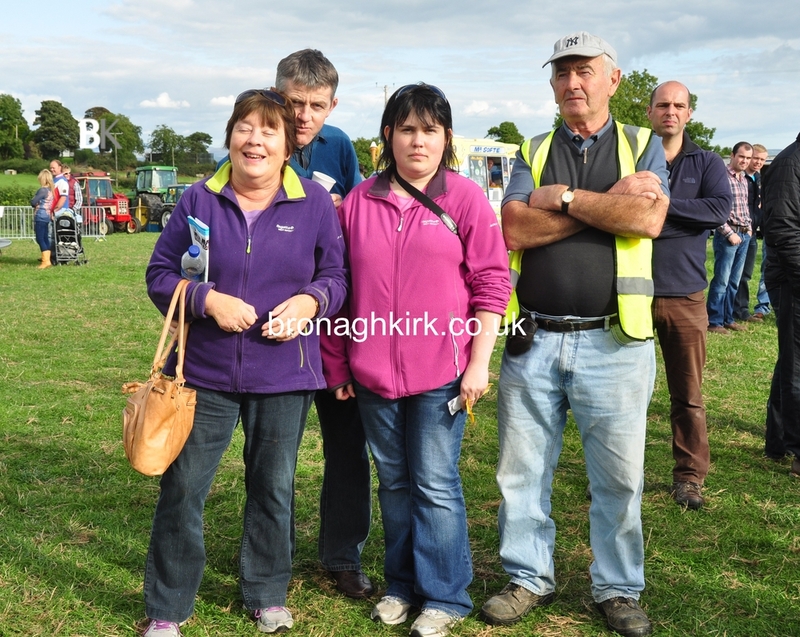 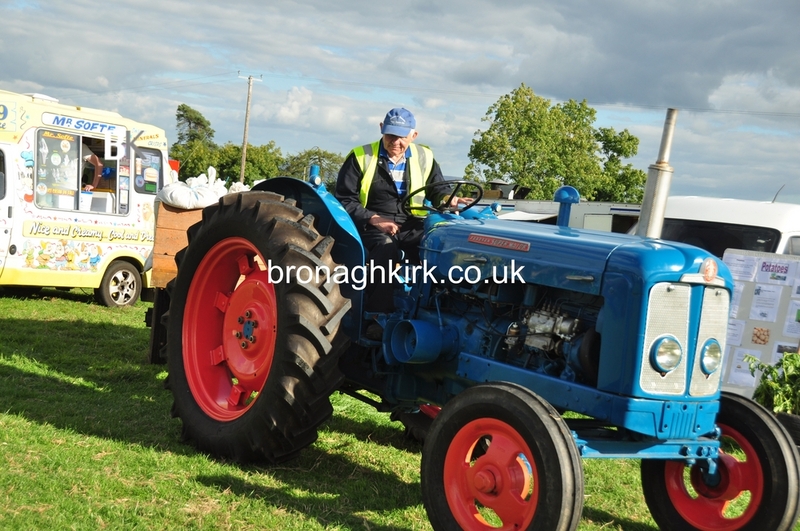 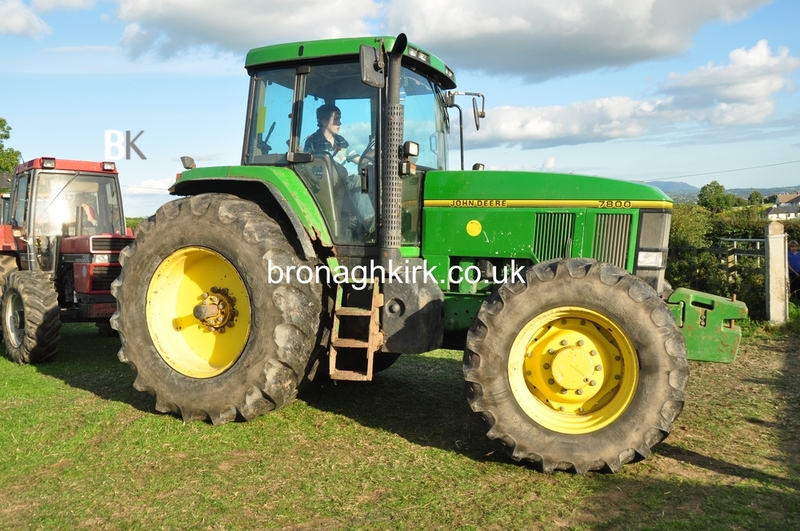 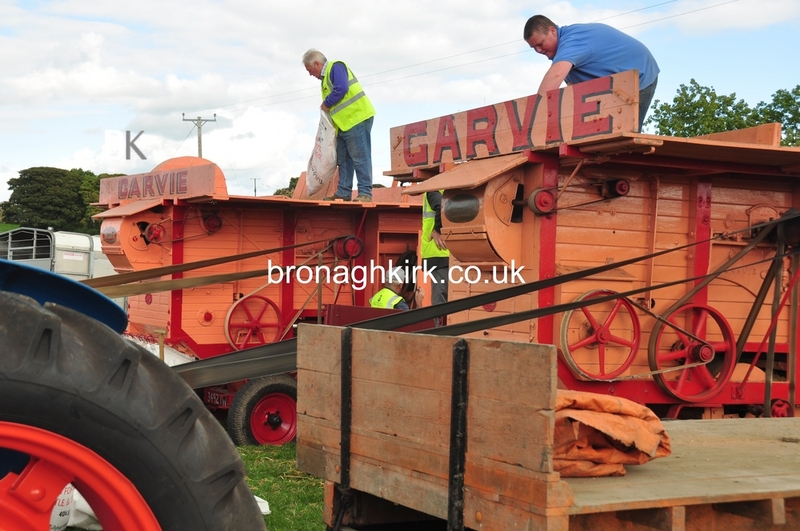 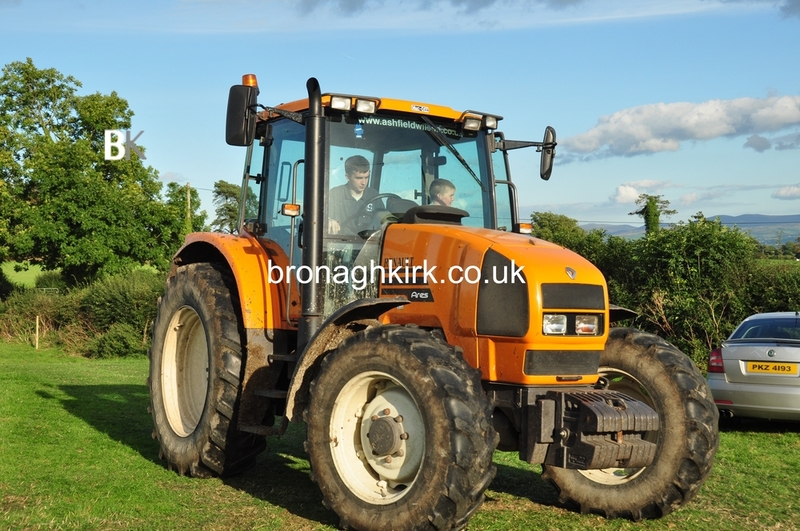 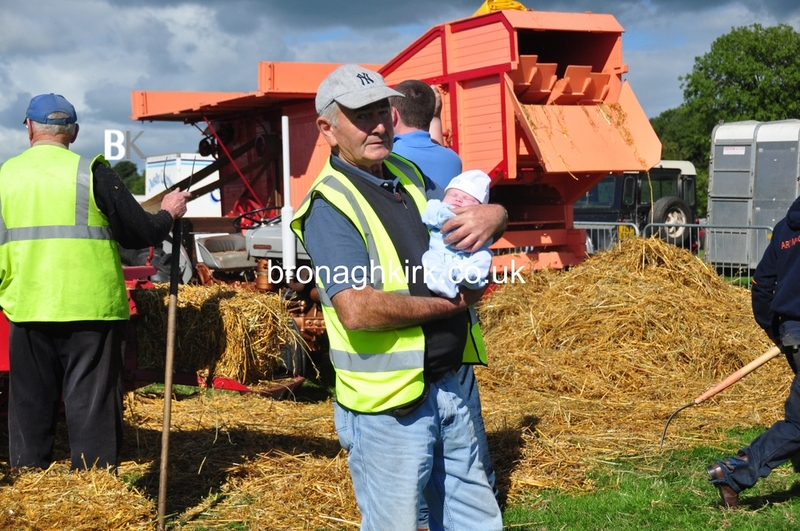 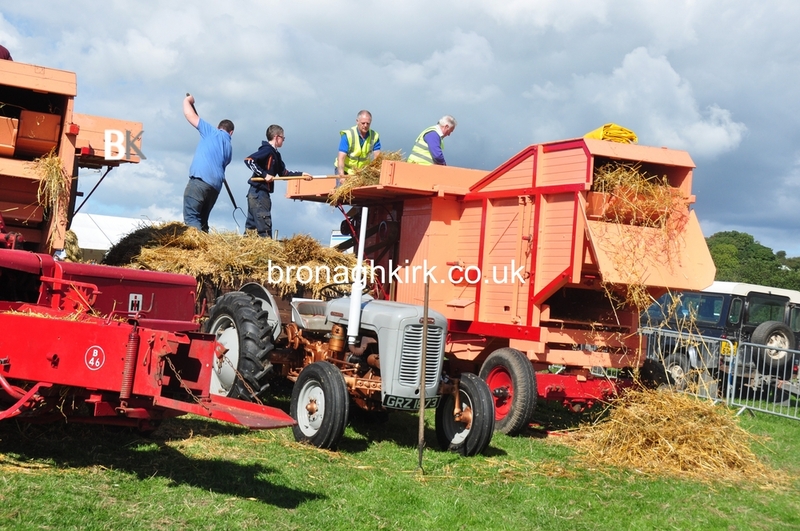 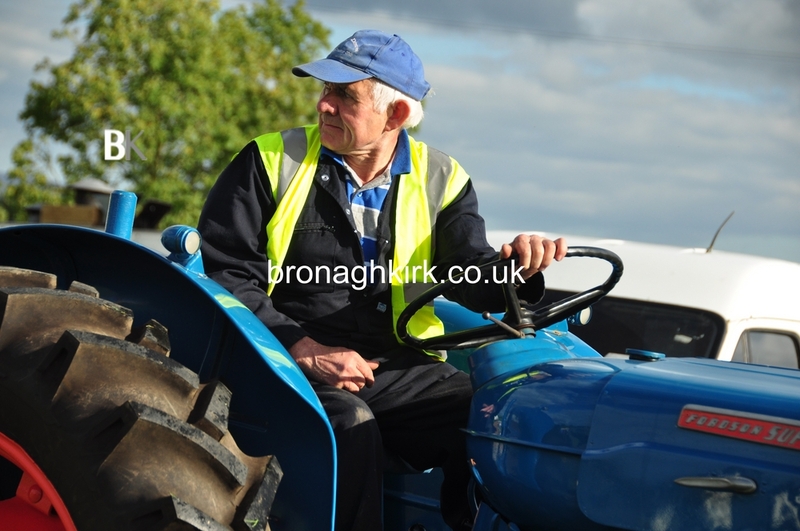 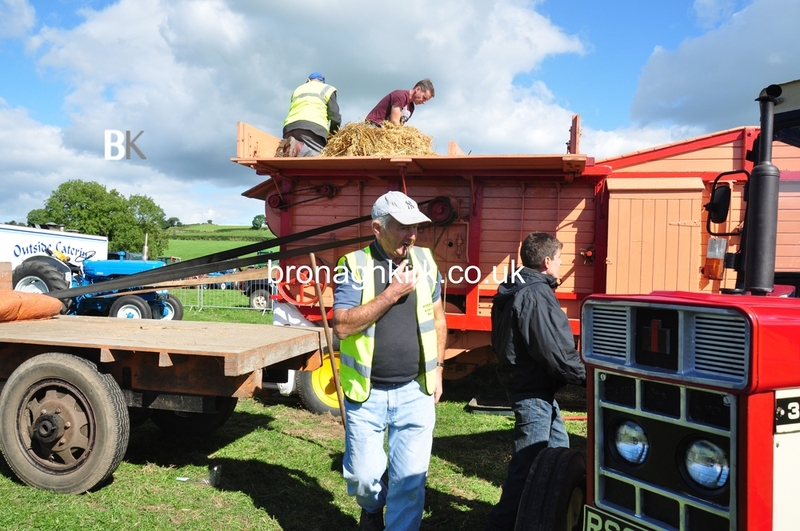 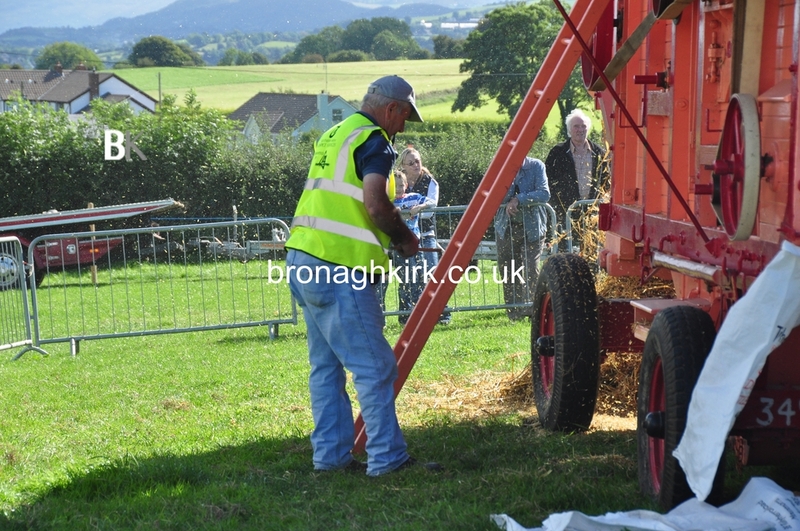 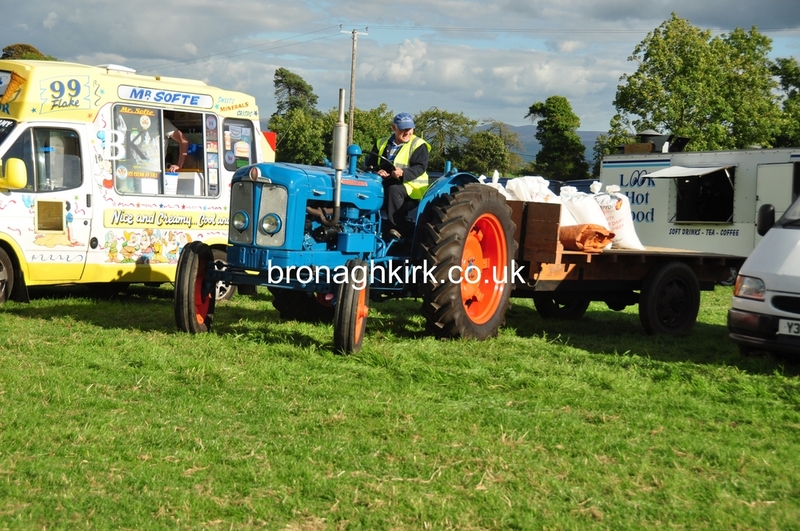 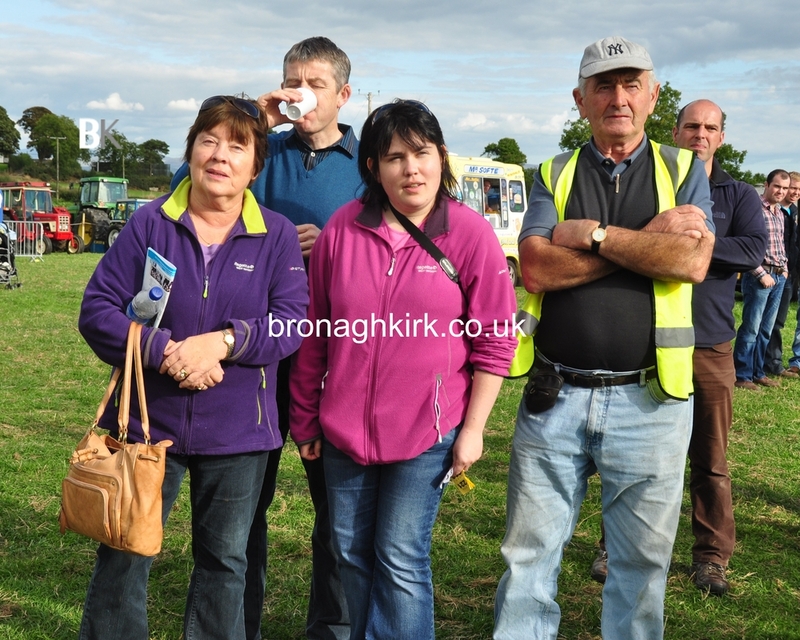 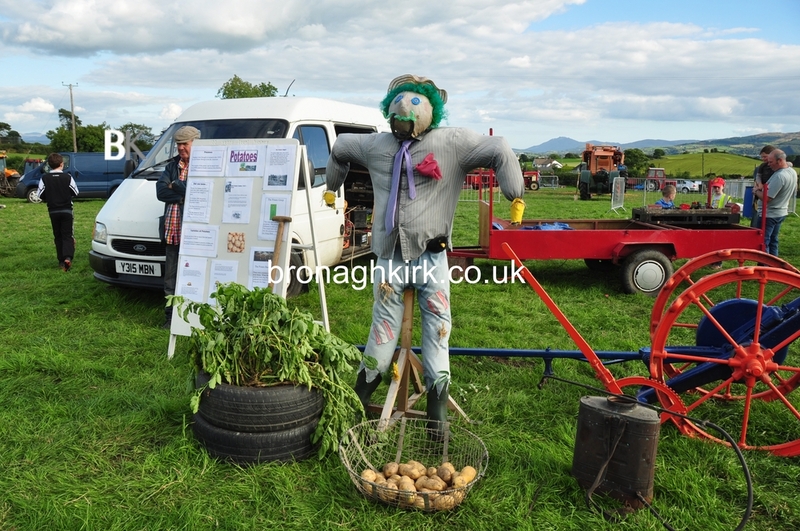 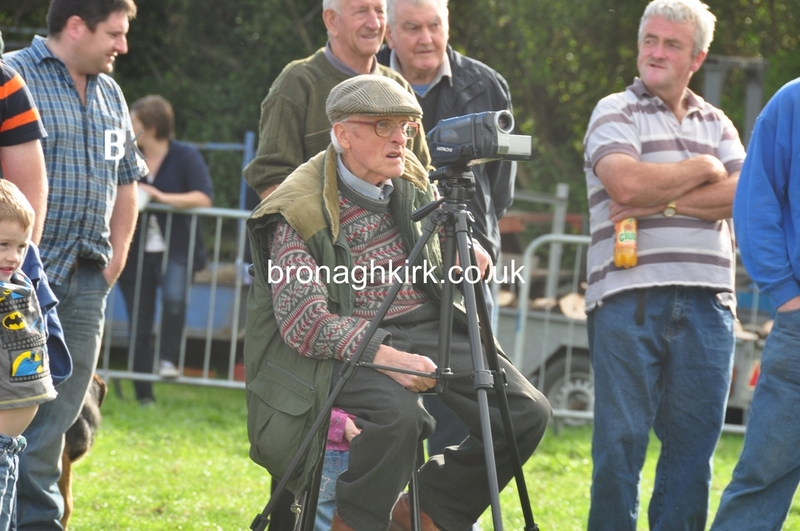 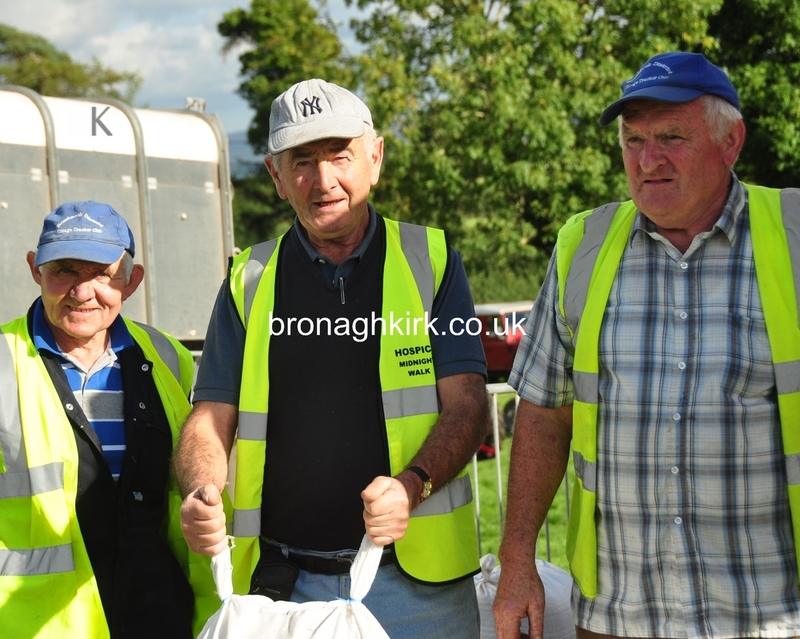 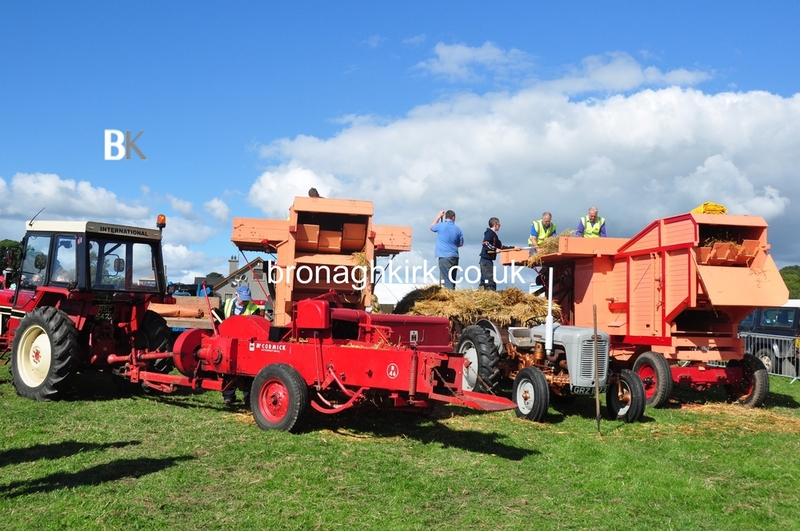 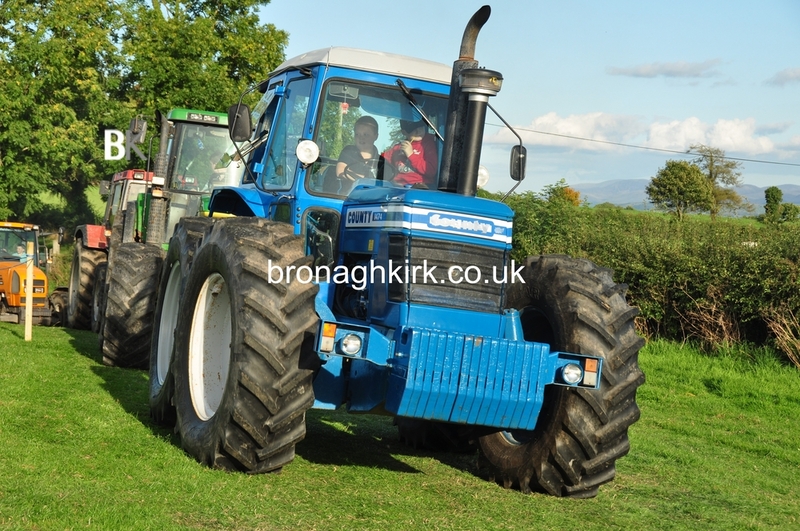 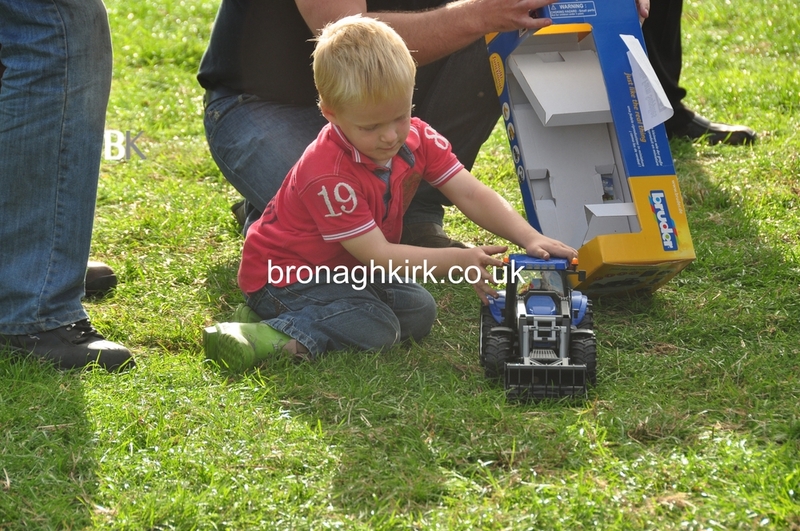 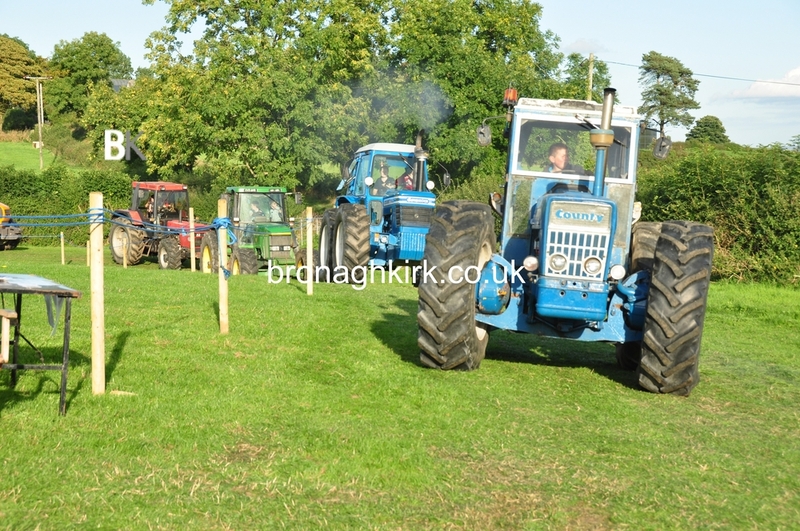 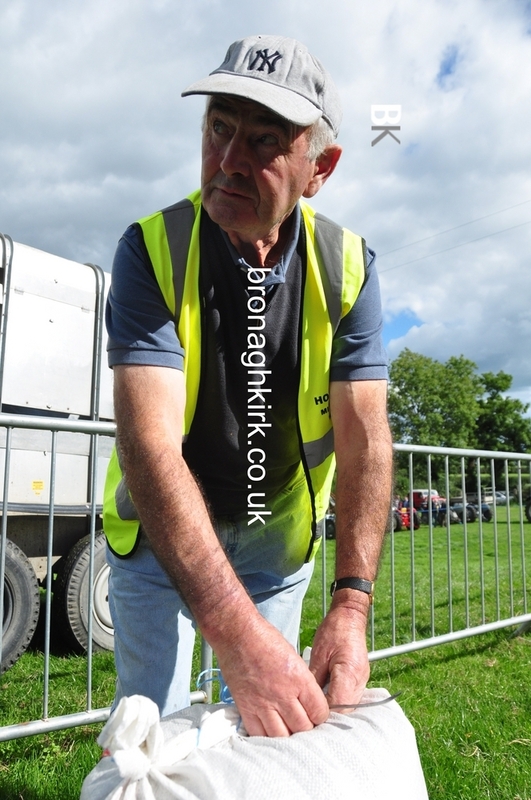 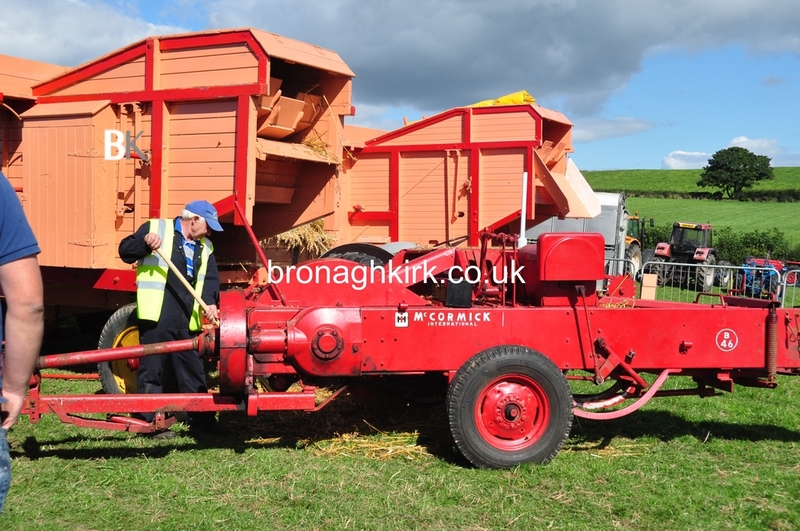 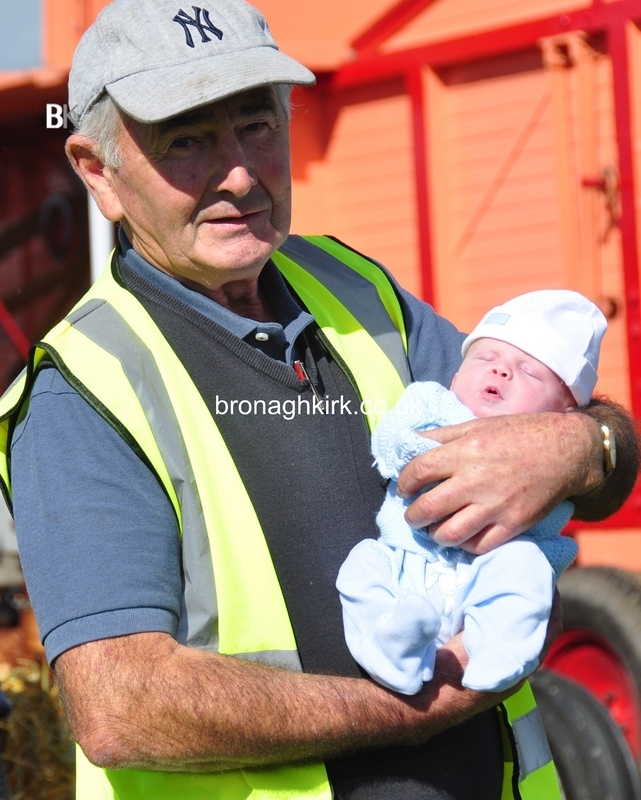 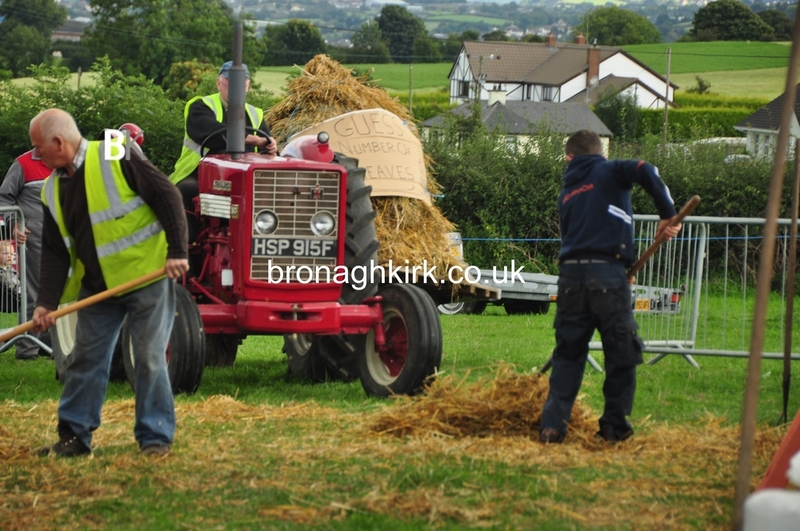 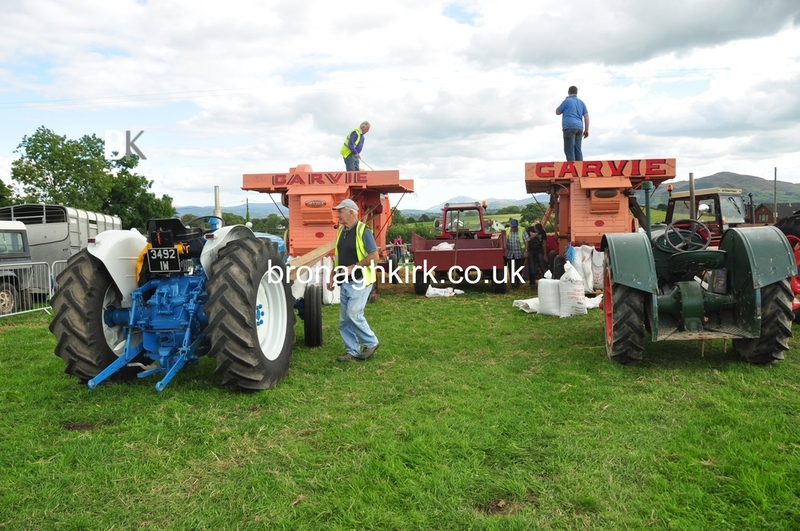 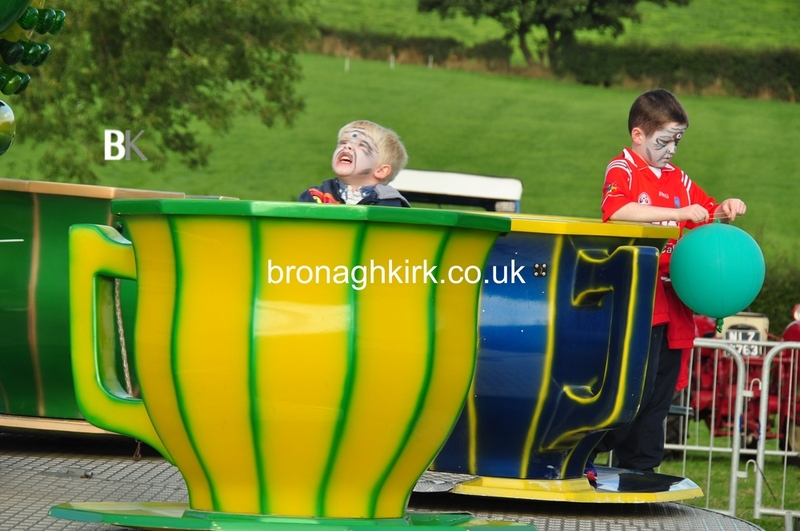 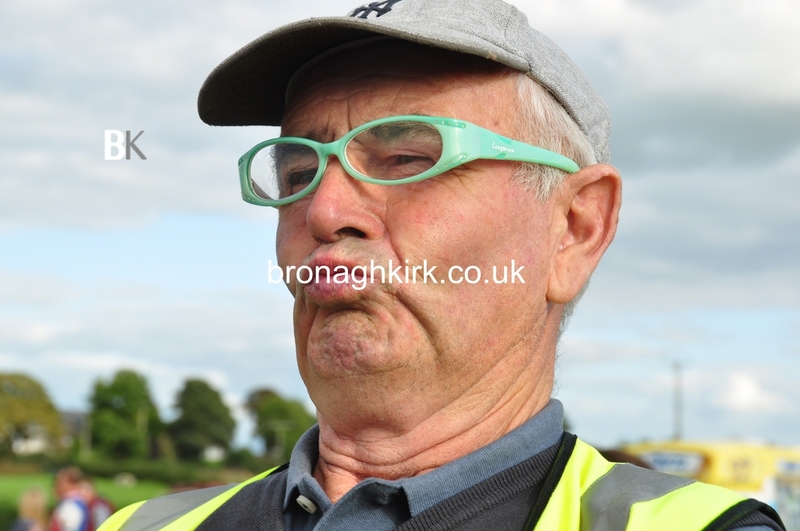 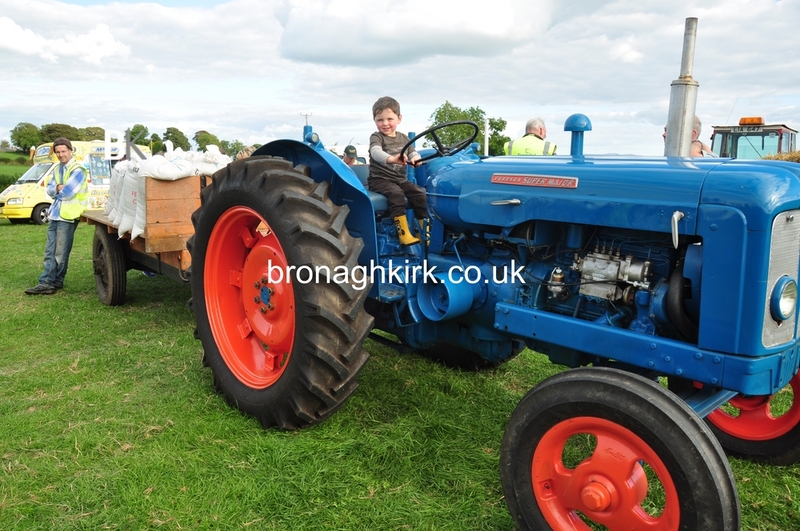 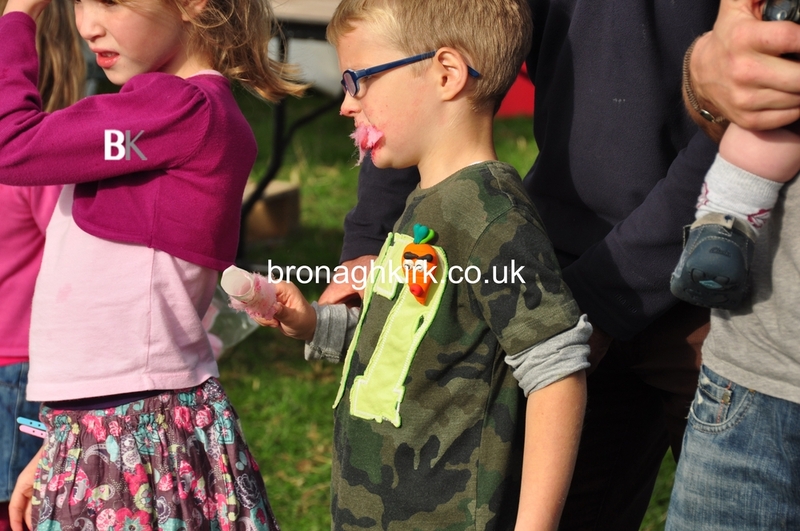 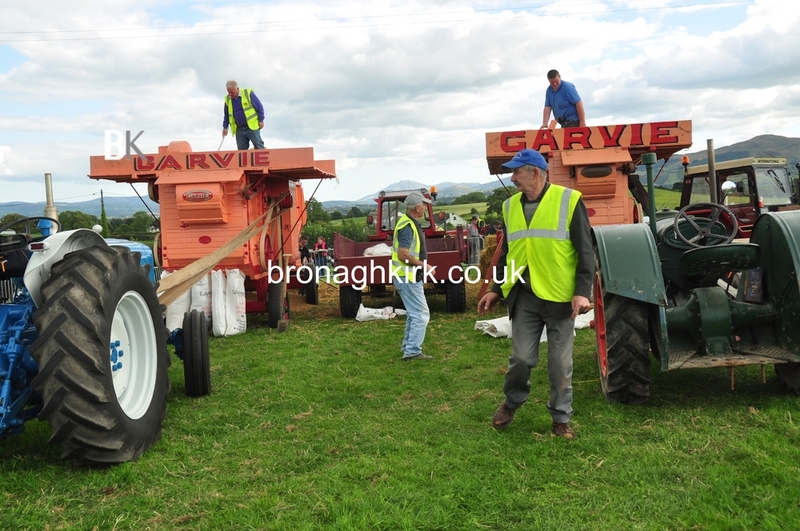 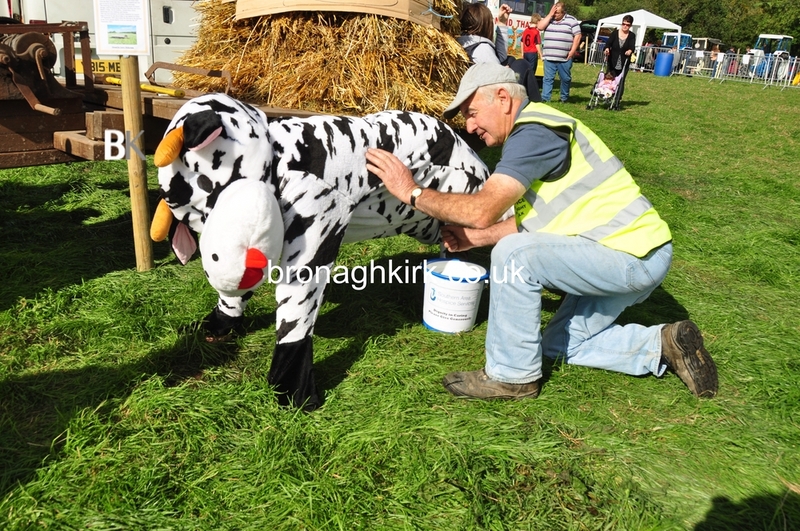 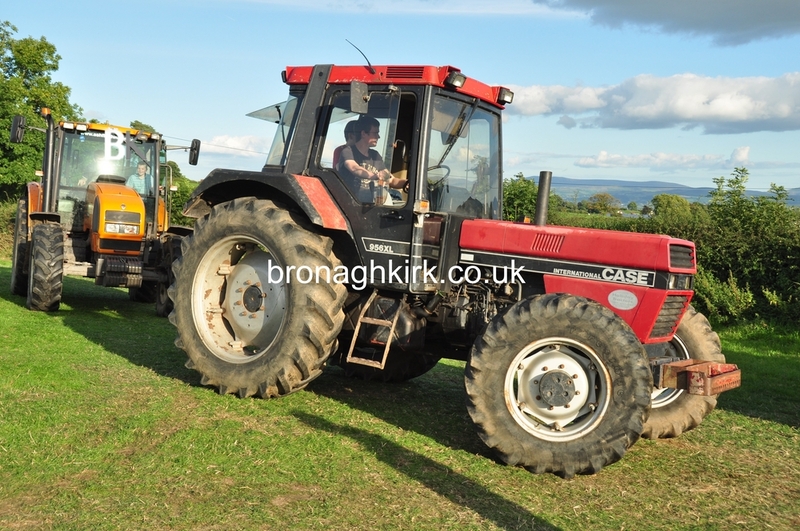 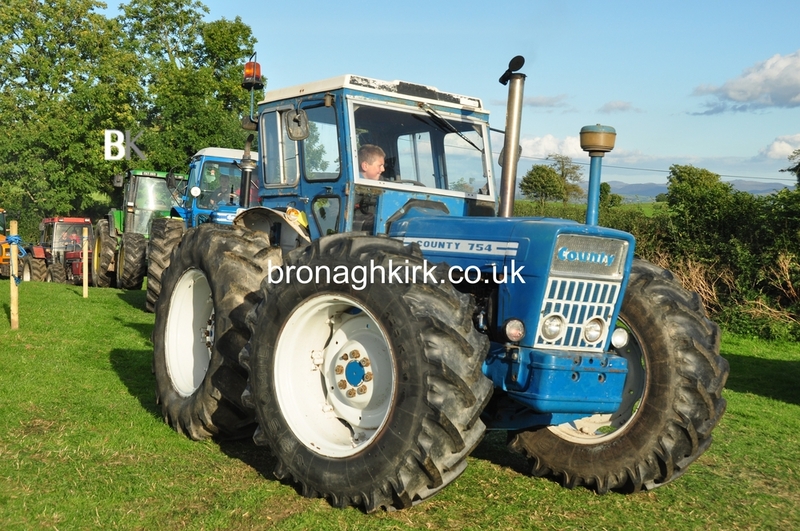 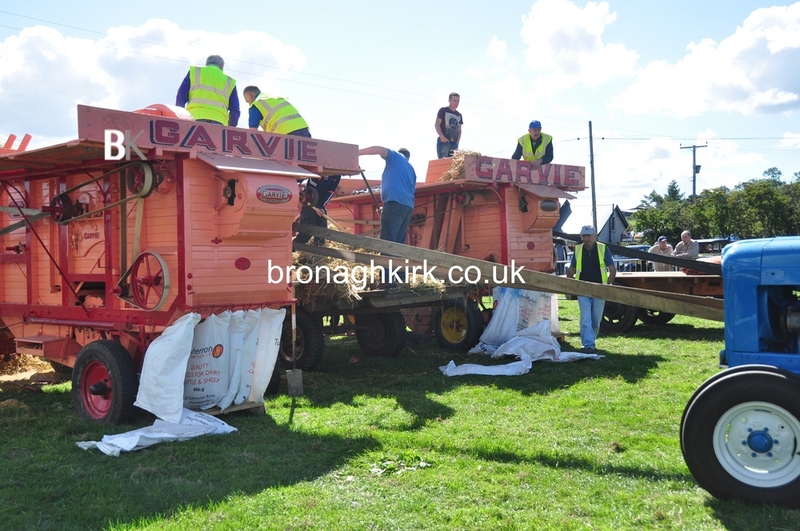 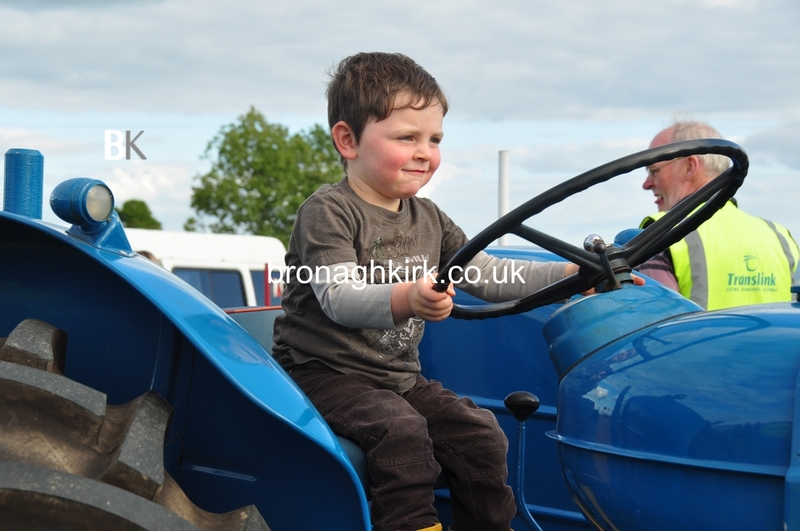 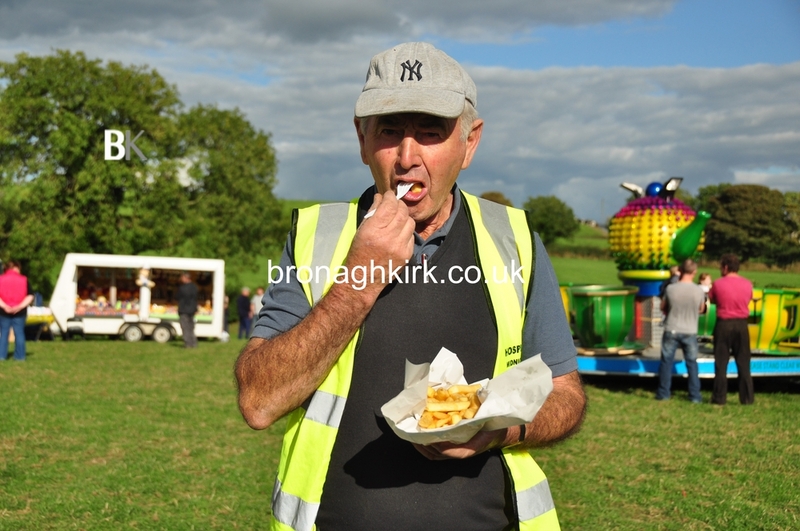 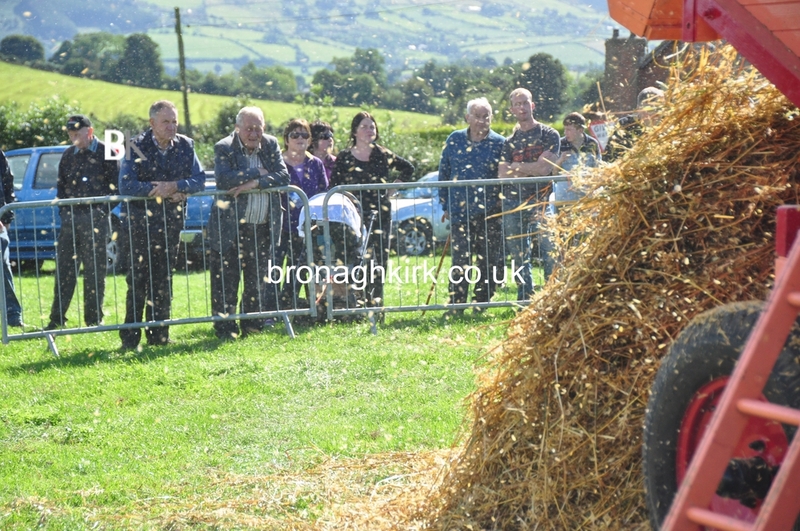 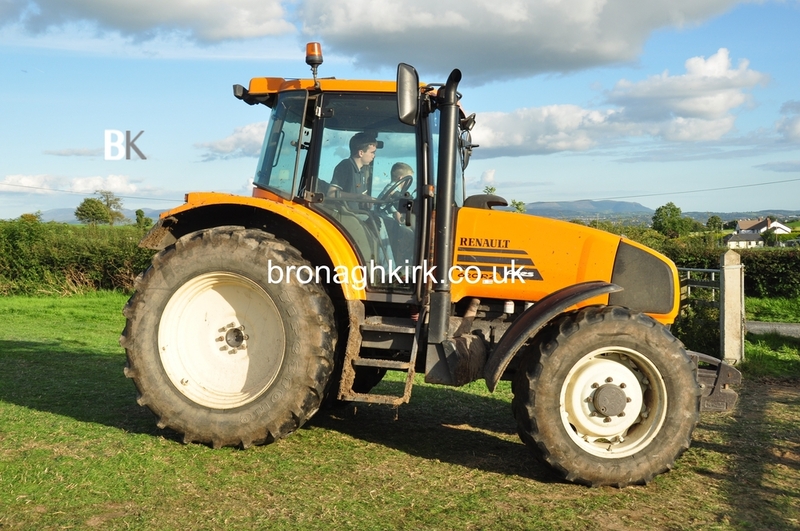 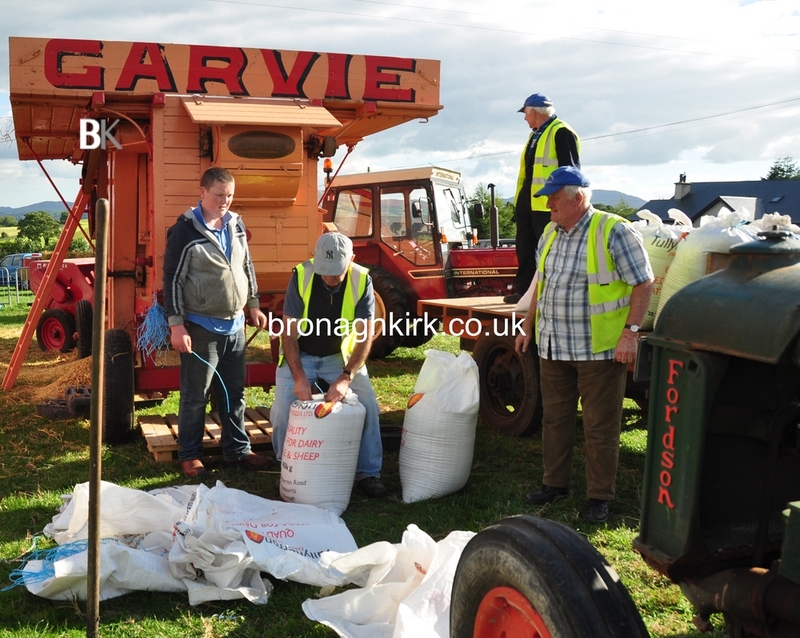 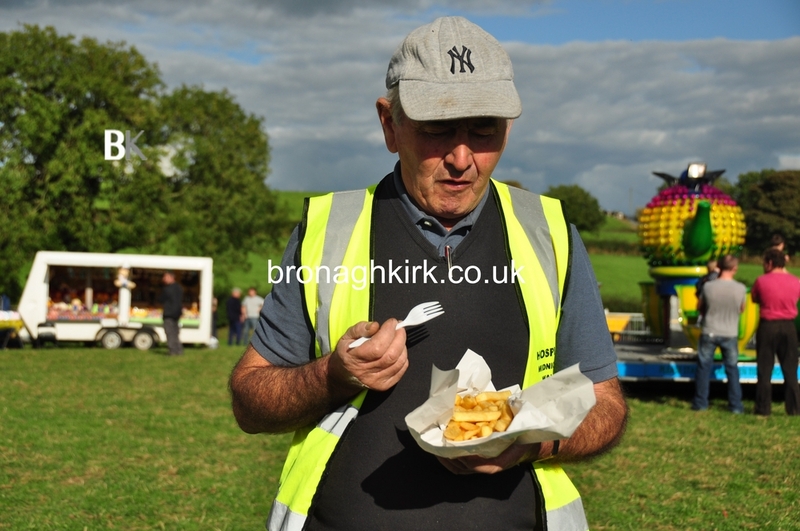 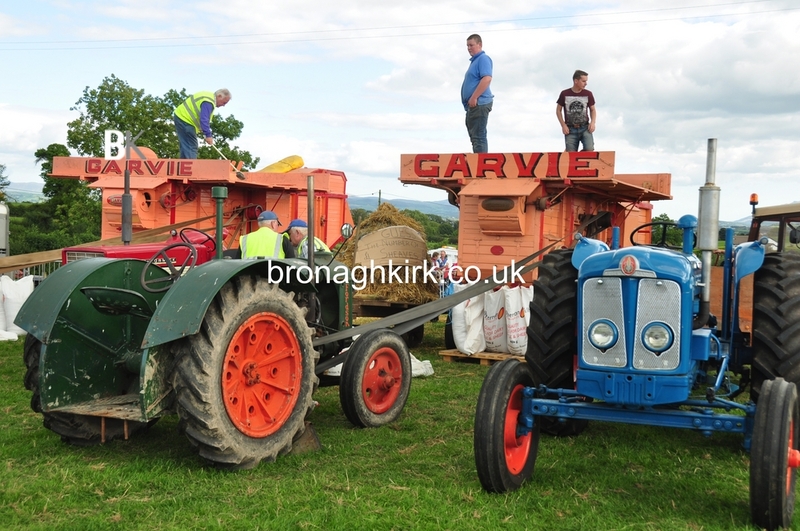 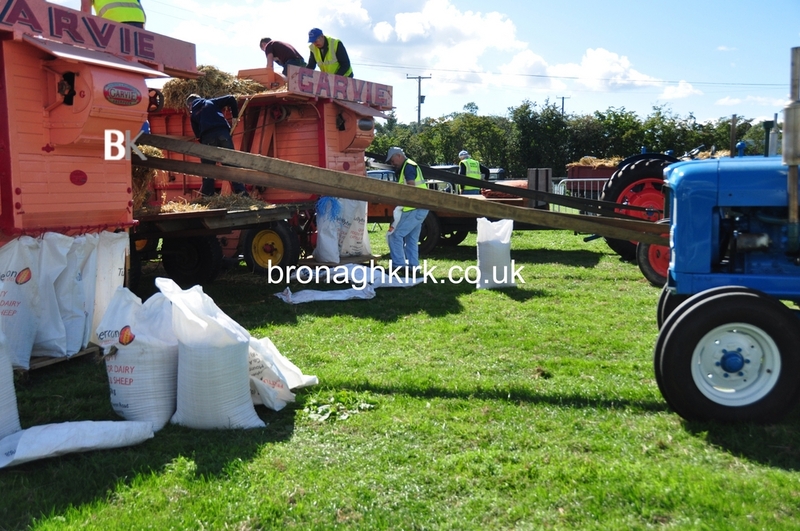 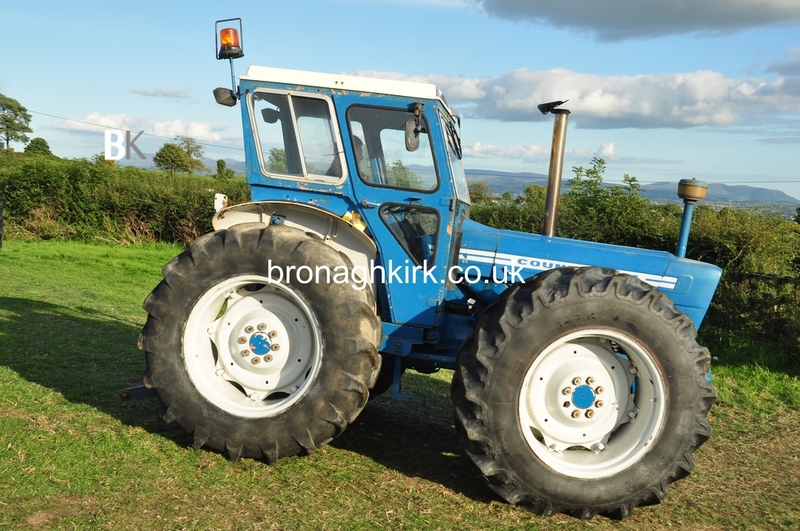 The Bessbrook District Vintage Tractor Club held their Annual Fund Raising Day. 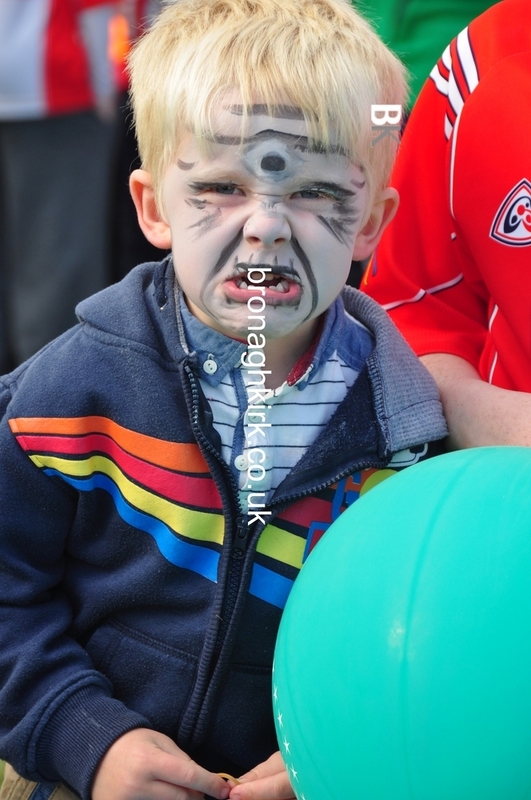 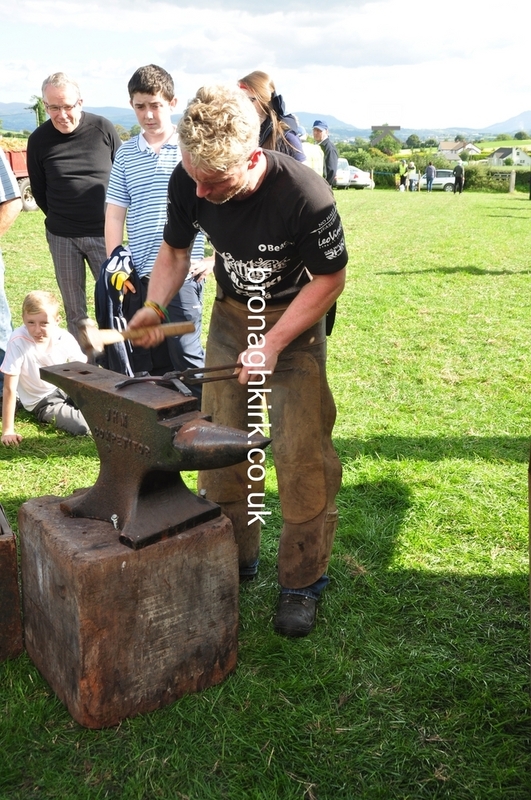 All monies raised are donated to the Southern Area Hospice Service, a most worthy cause. 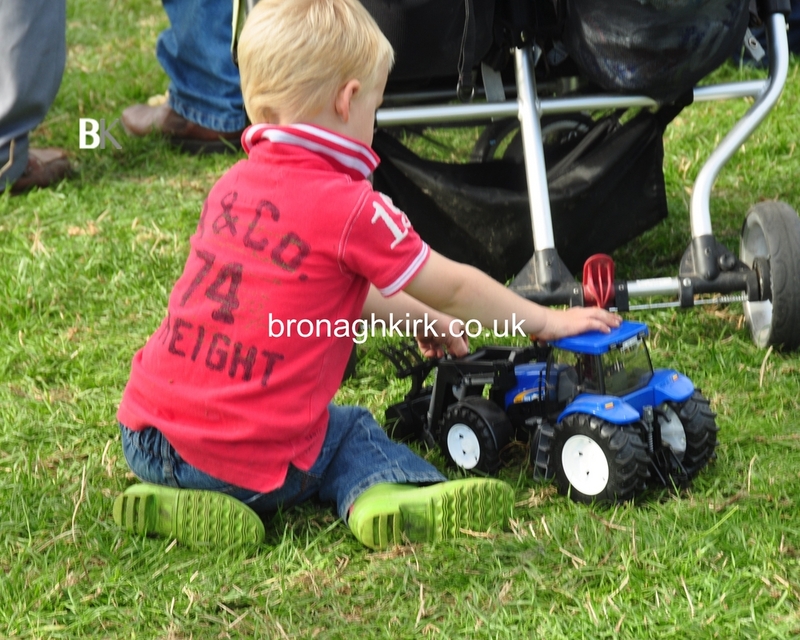 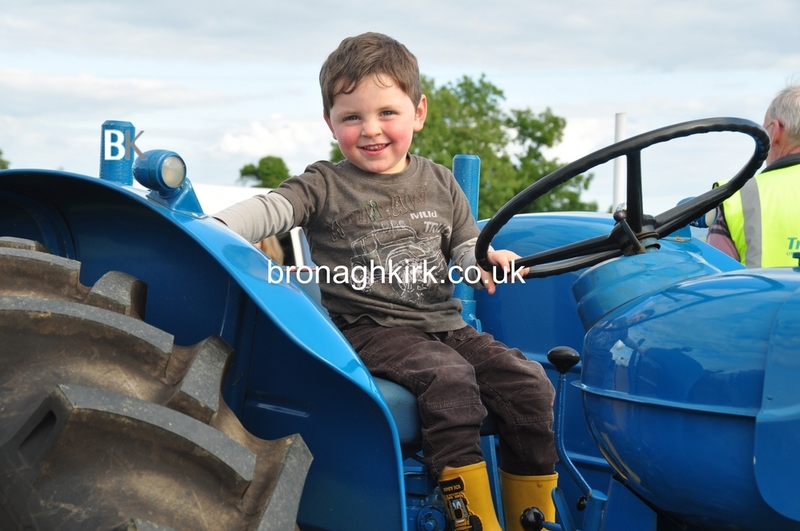 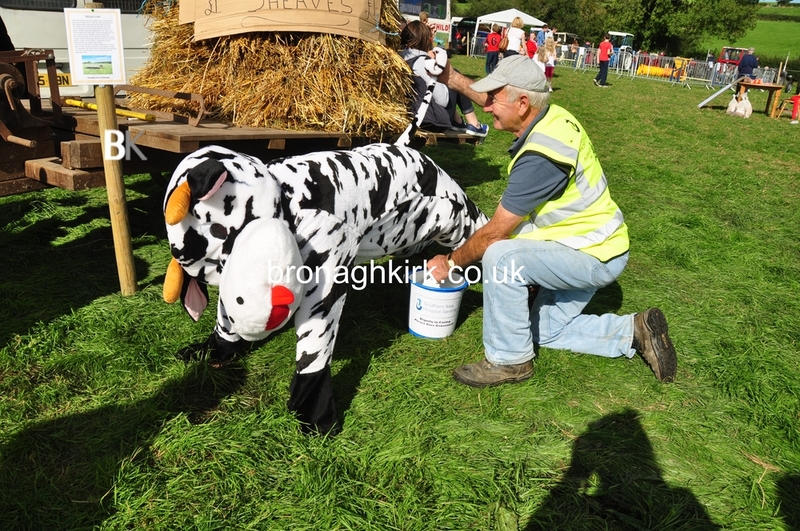 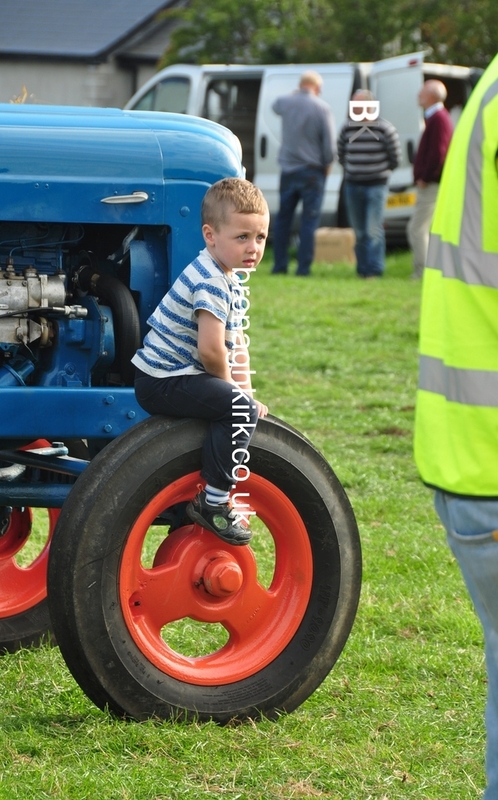 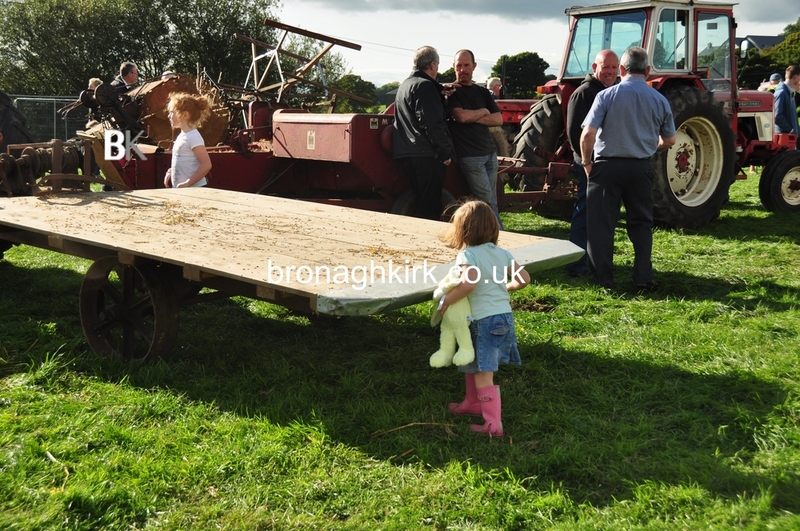 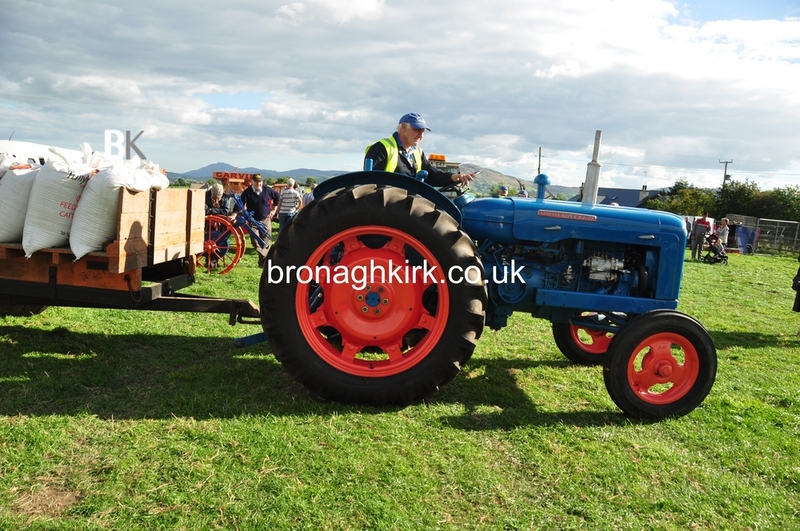 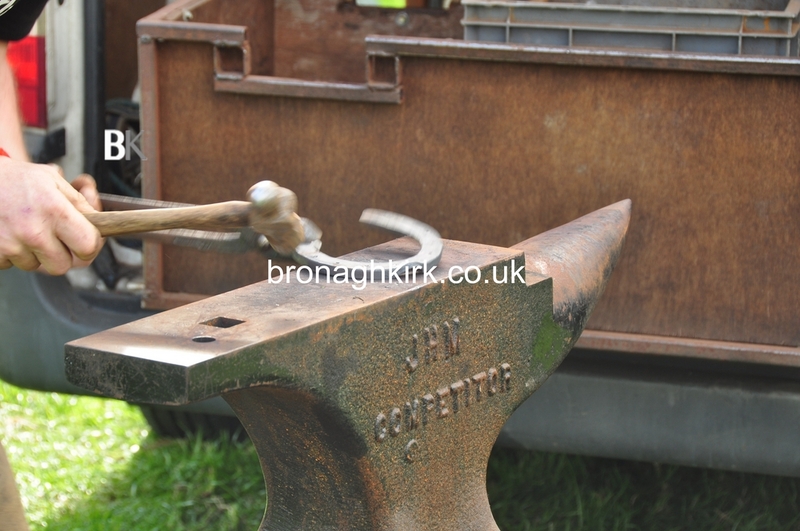 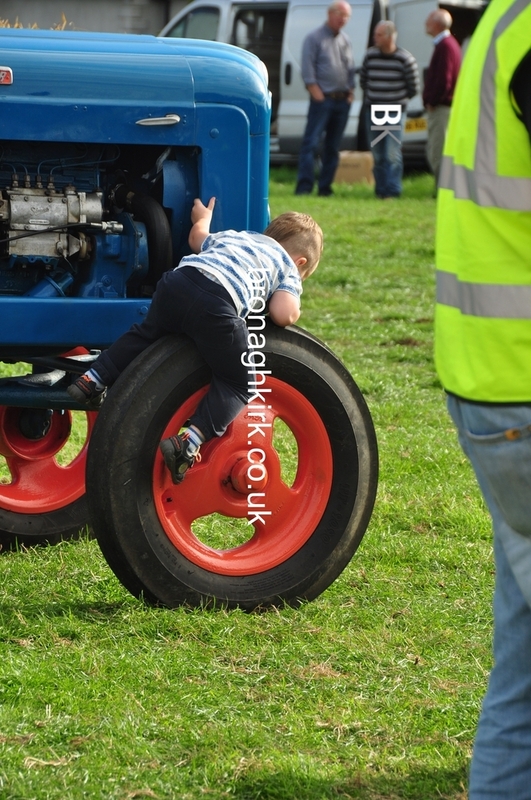 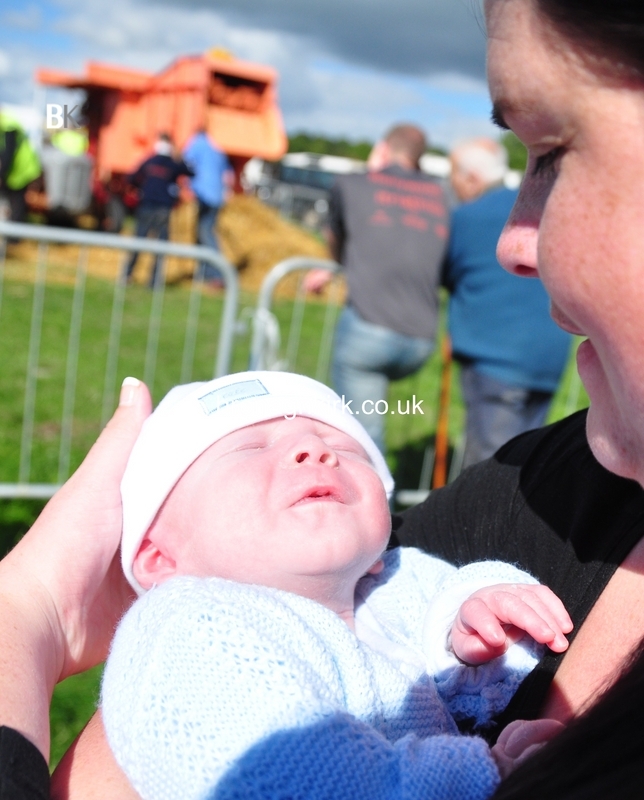 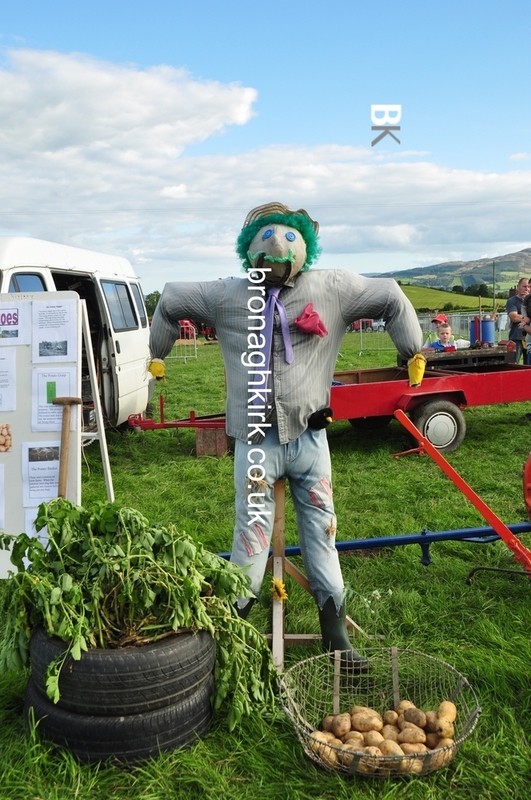 The day of fun included a display of vintage tractors and farm machinery. 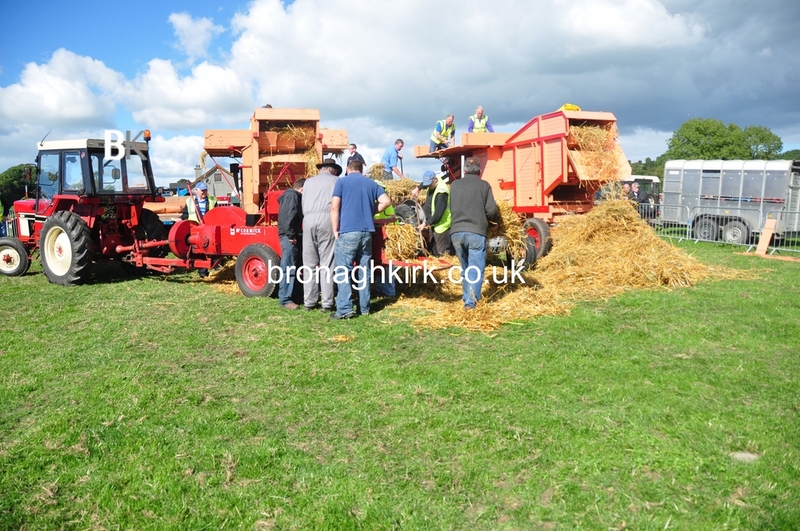 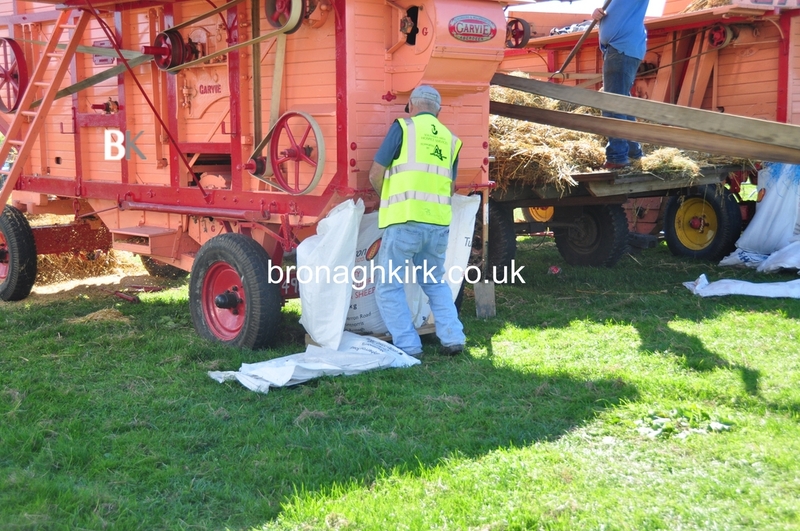 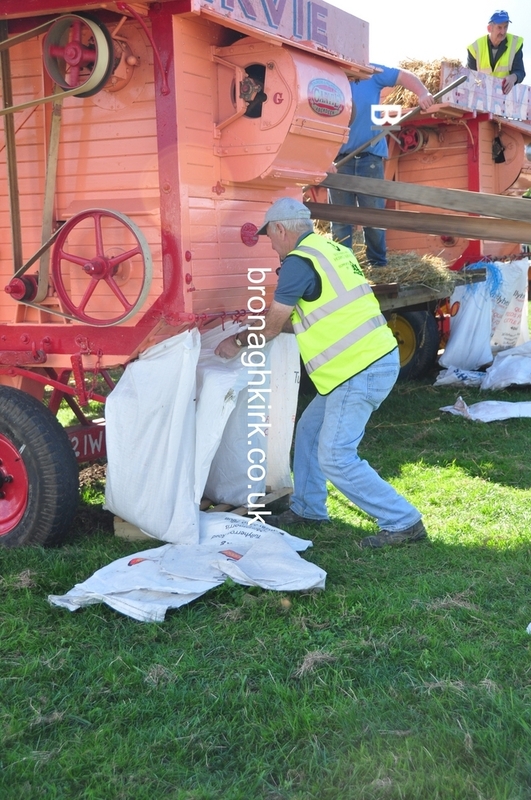 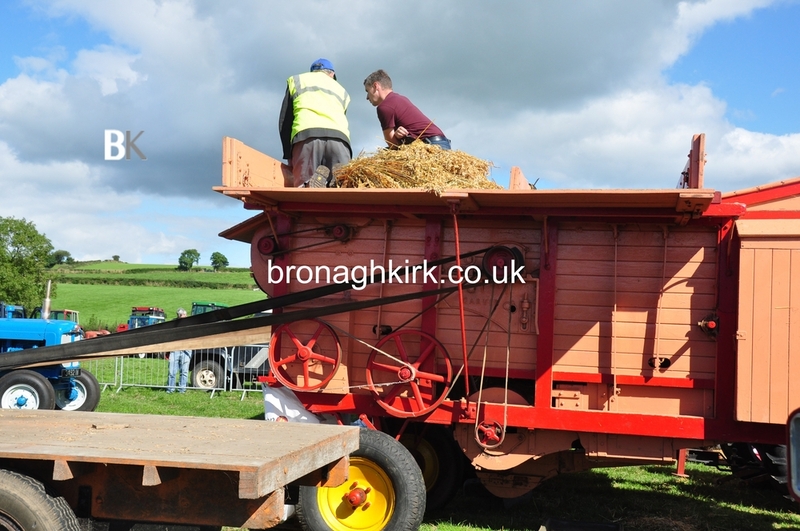 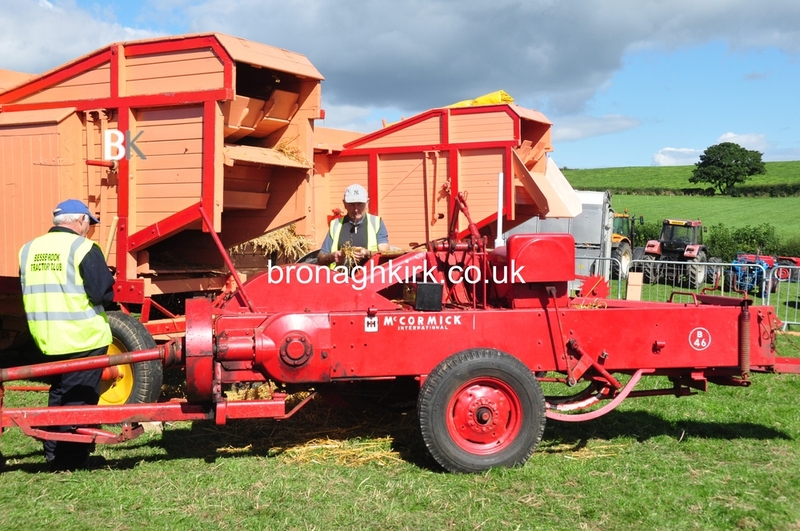 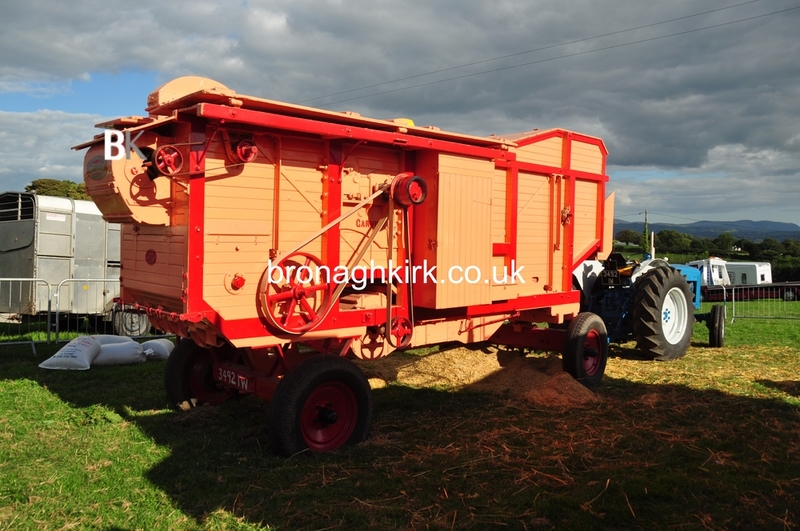 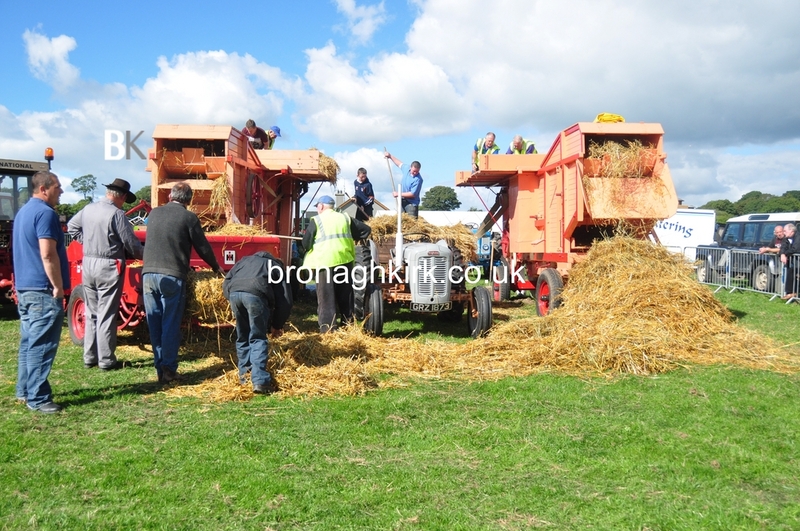 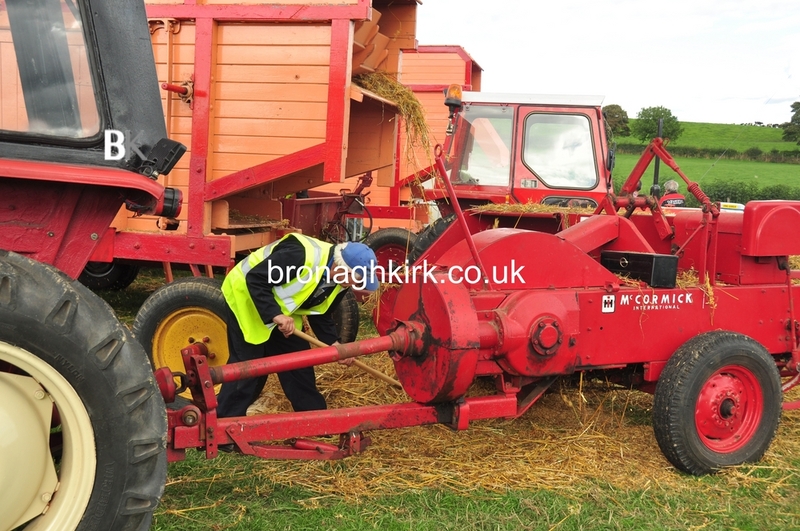 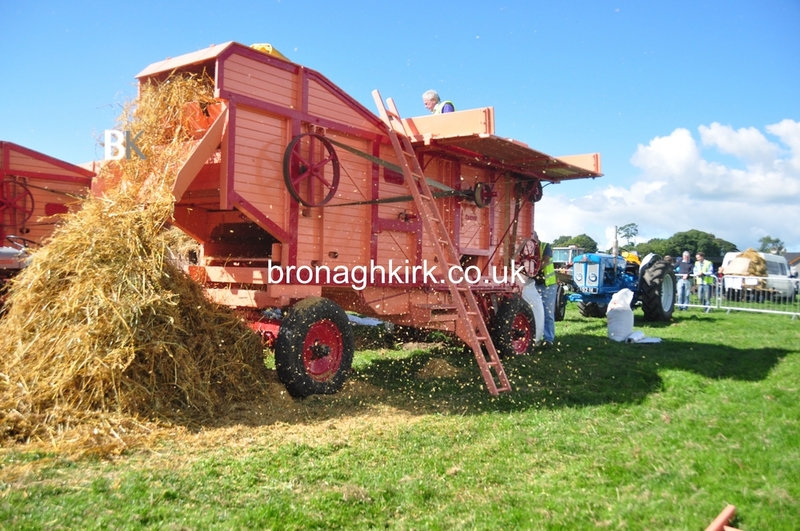 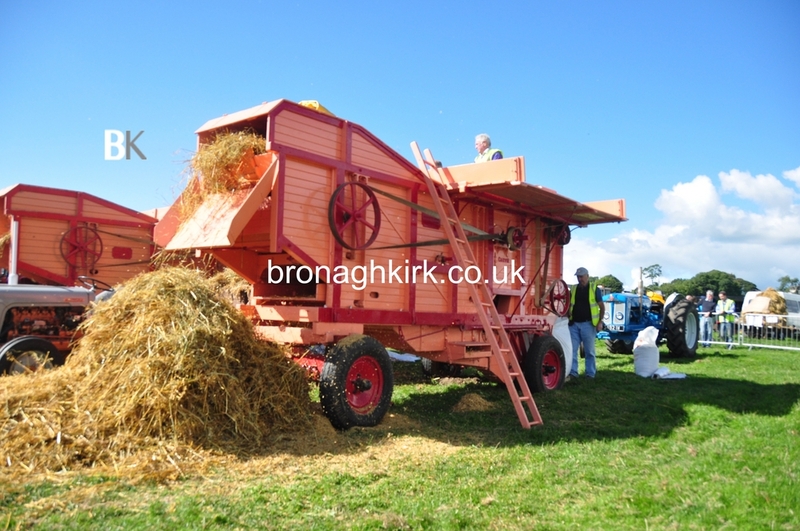 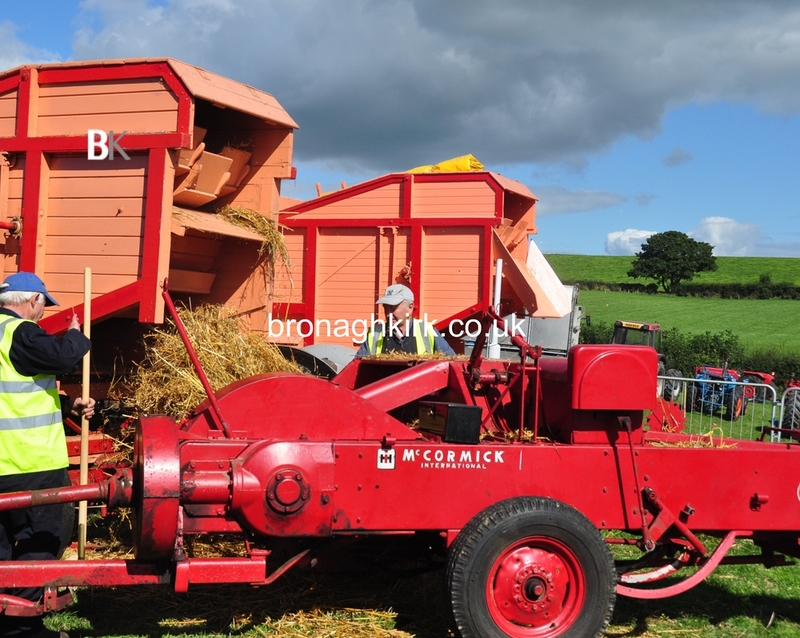 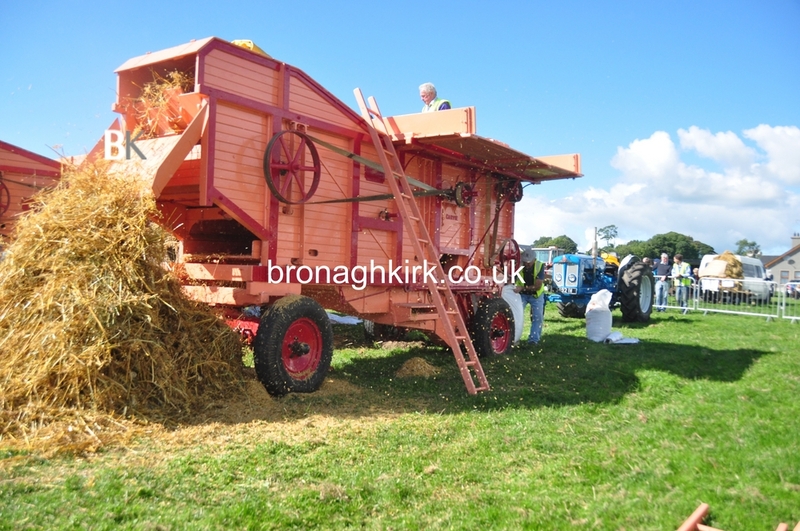 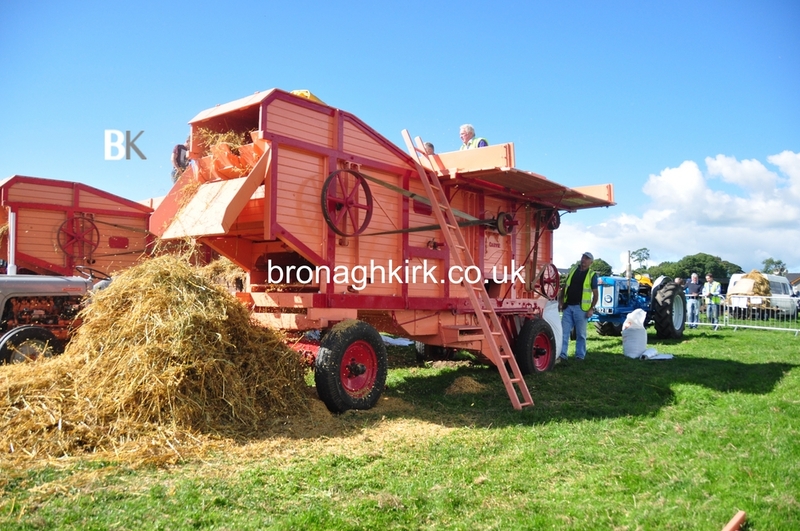 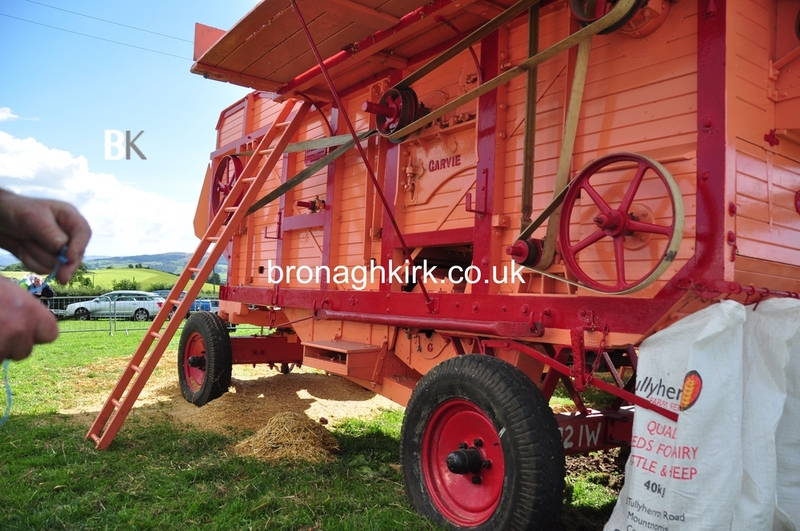 Most notable being the 'The Thrashar' or the Threashing machine. 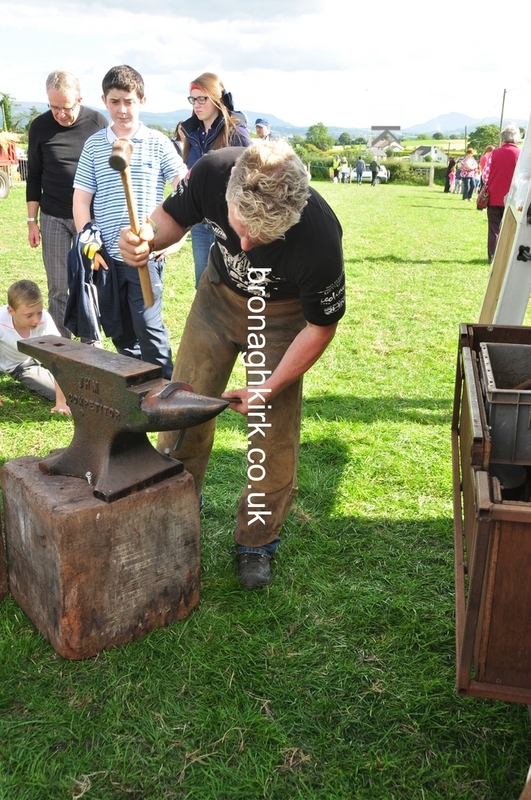 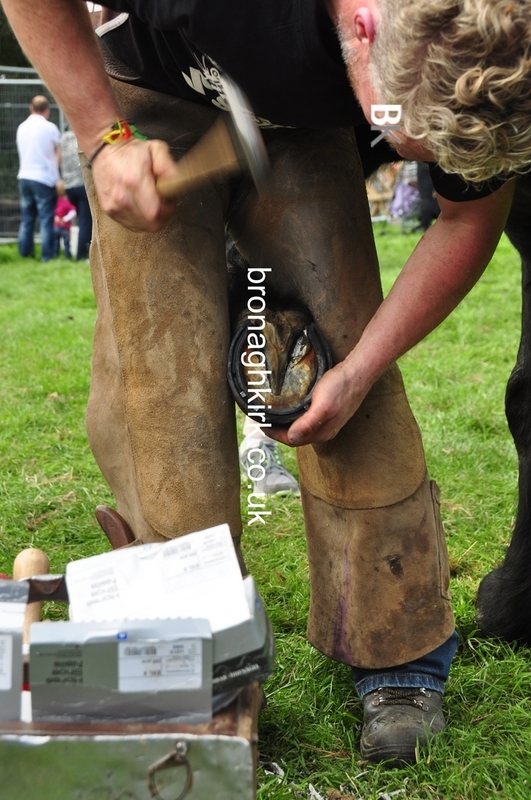 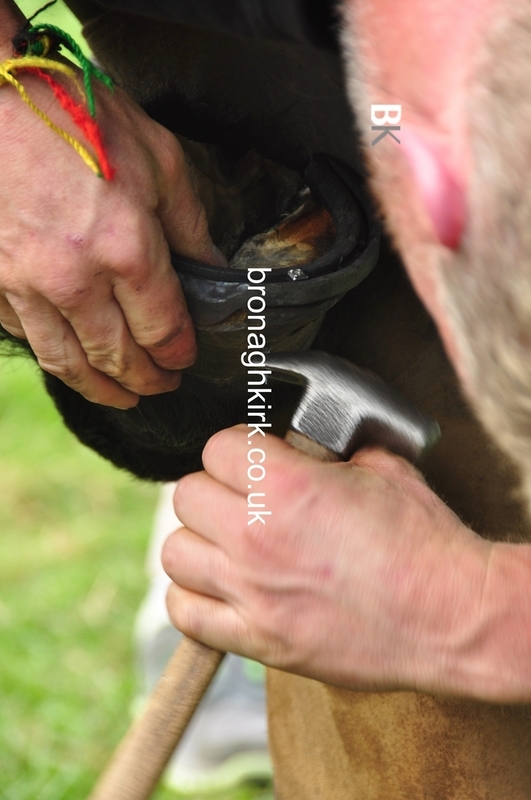 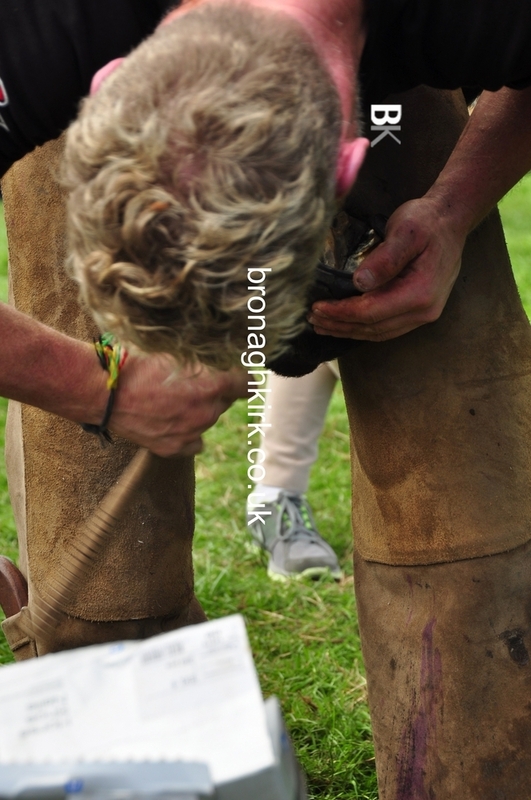 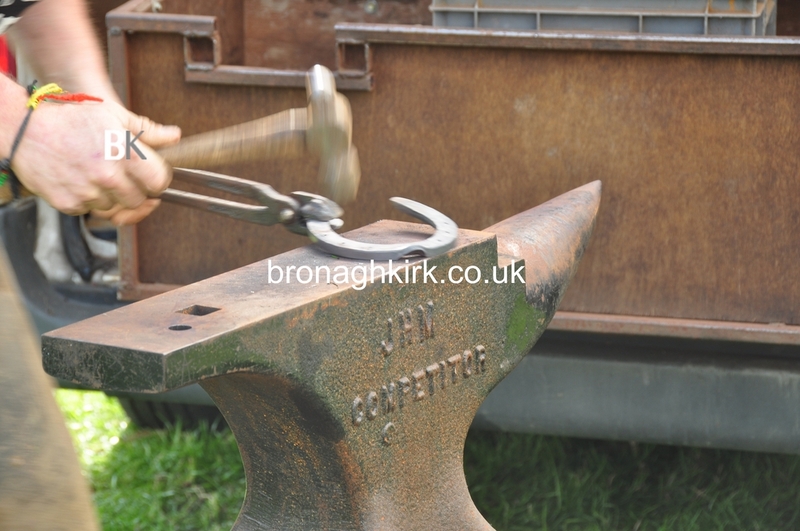 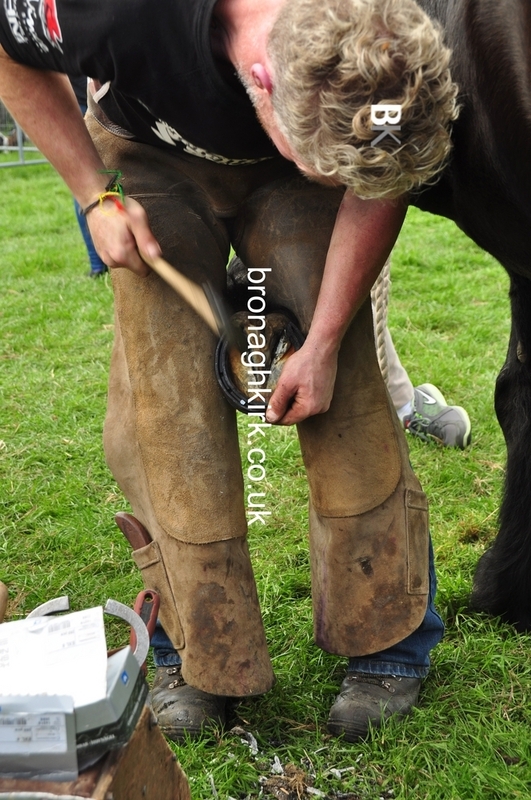 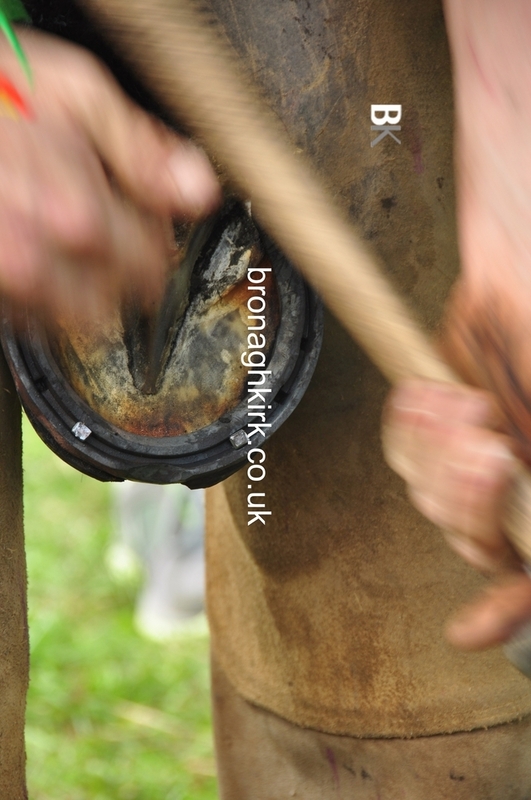 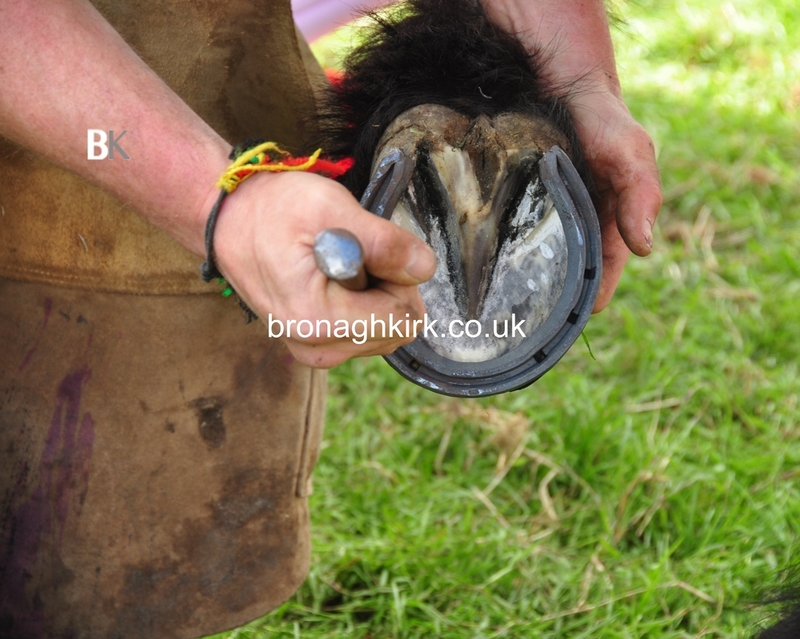 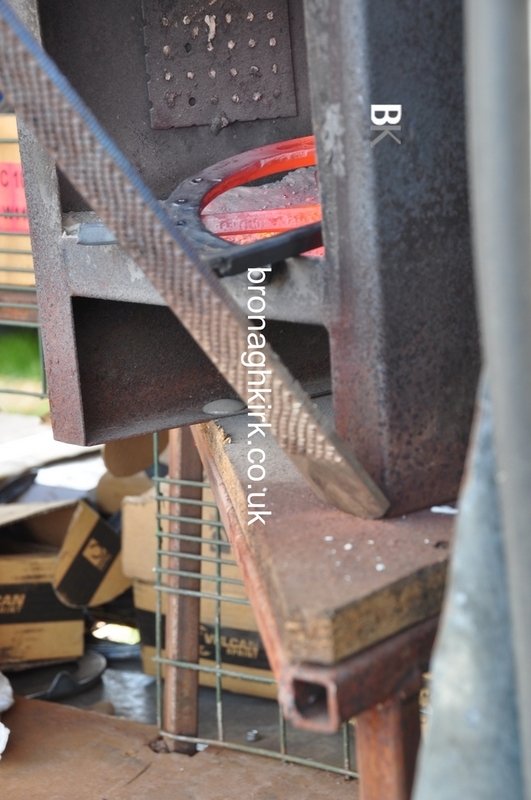 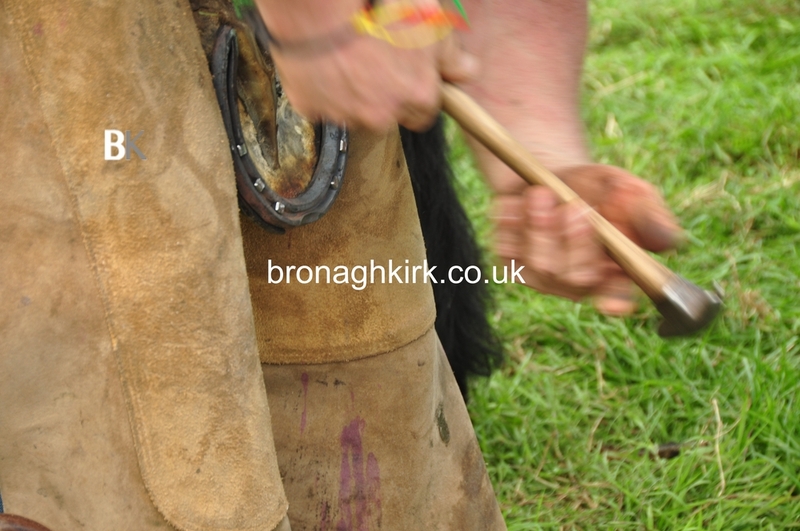 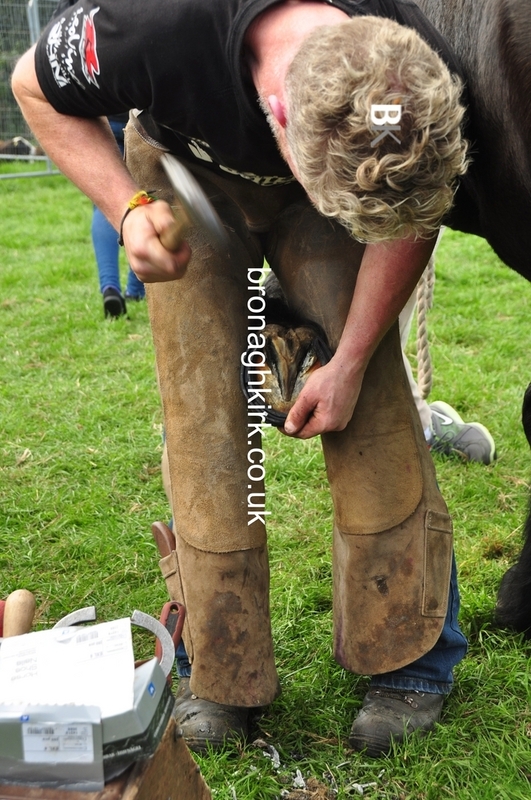 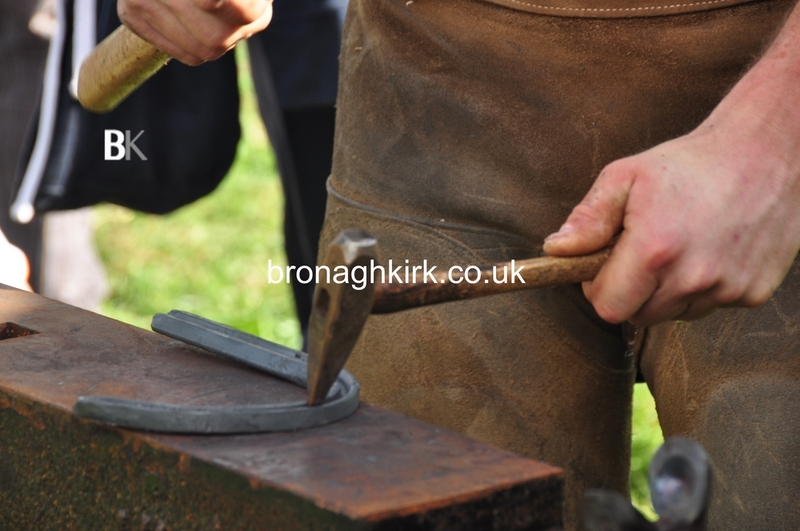 There were two 'Thrashars' and a squad of able bodied men, old timers and young ones wanting to learn a dieing trade. 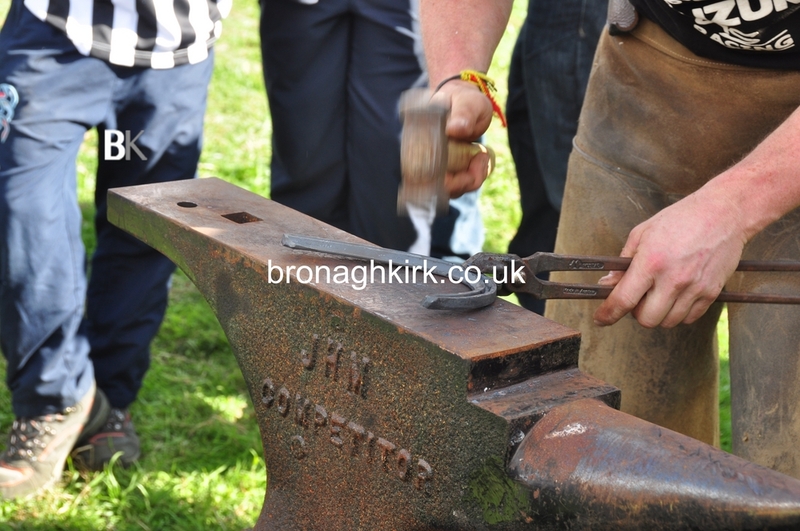 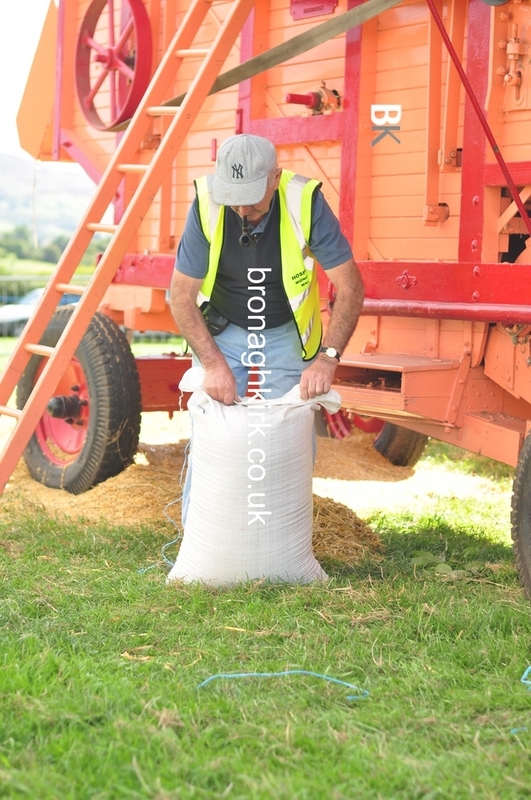 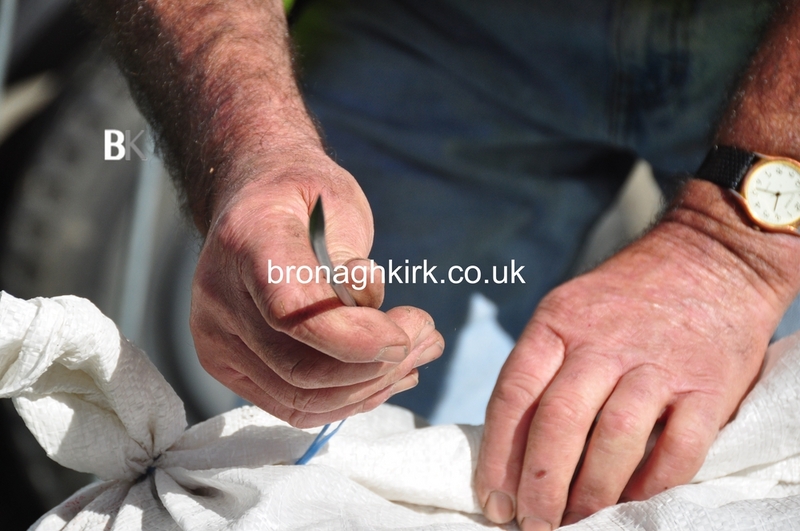 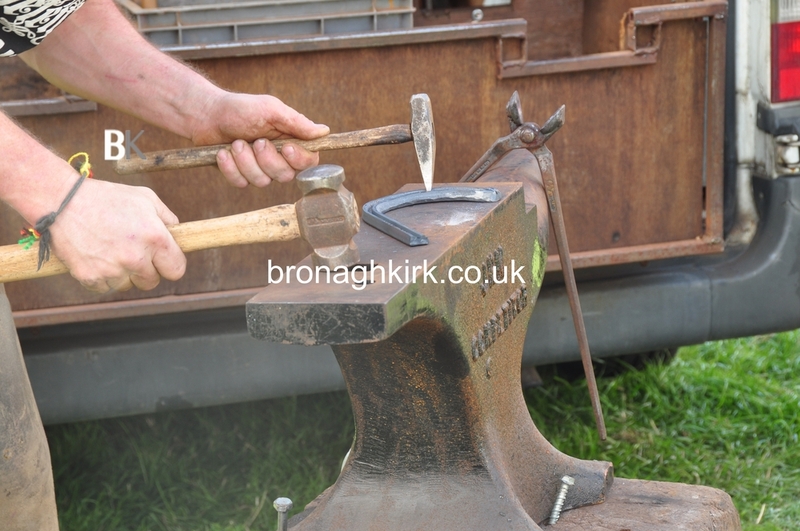 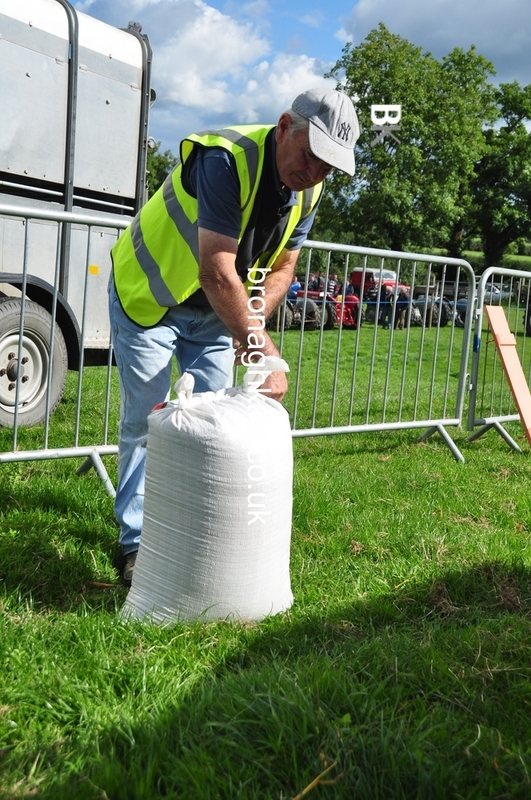 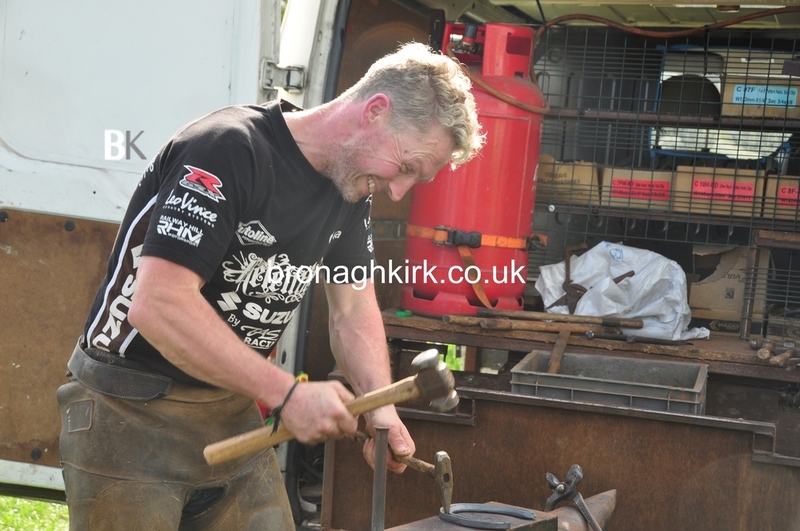 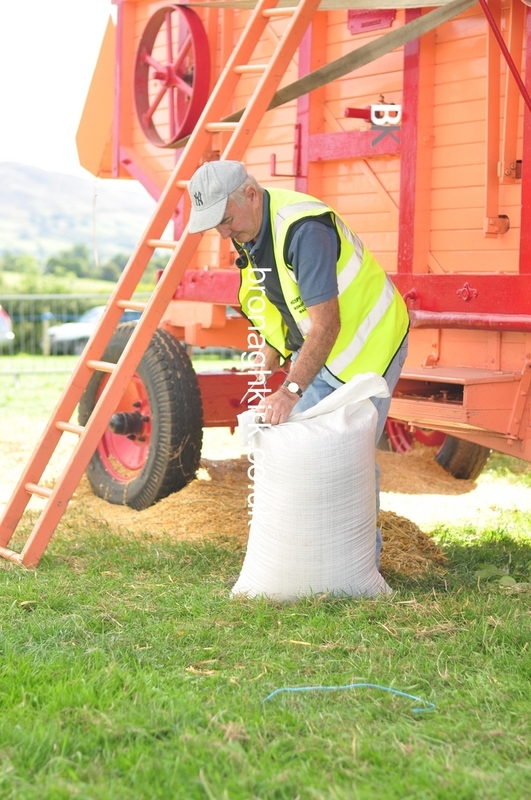 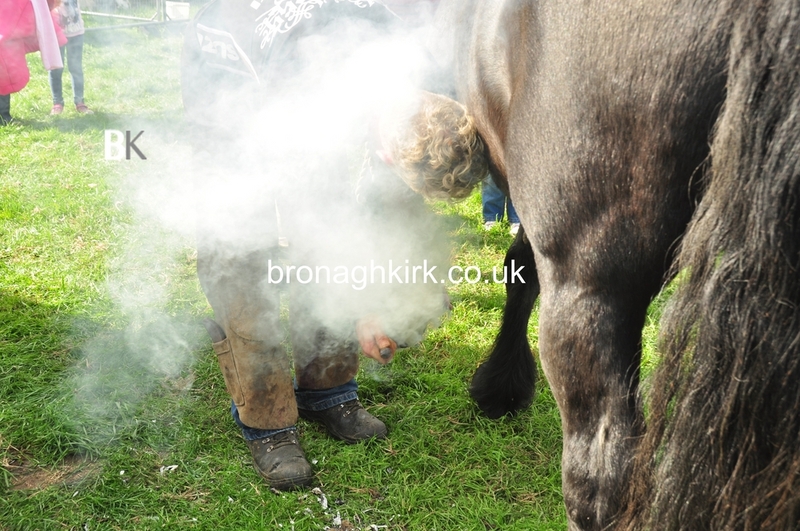 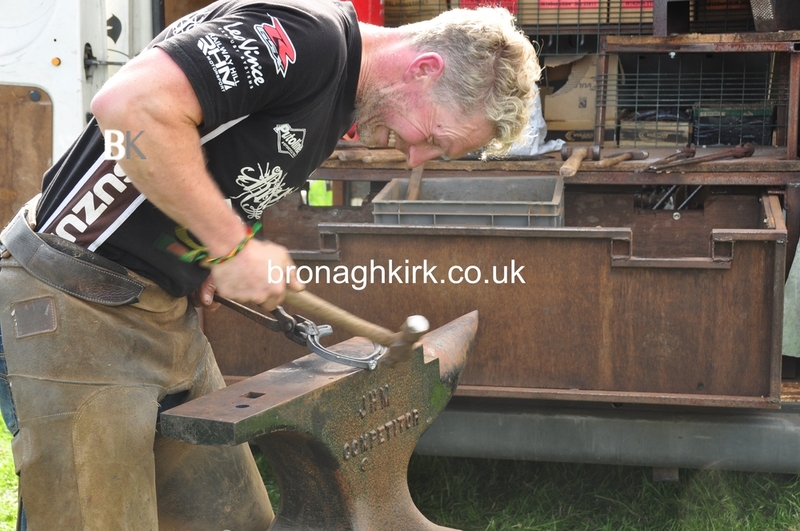 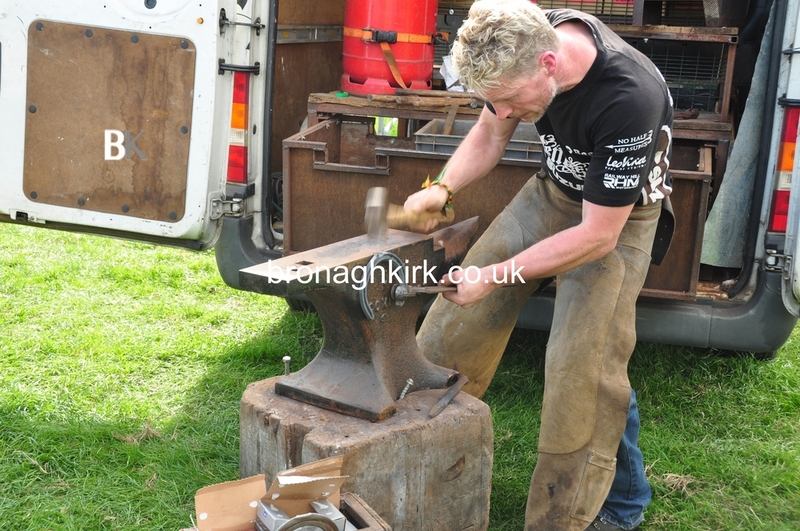 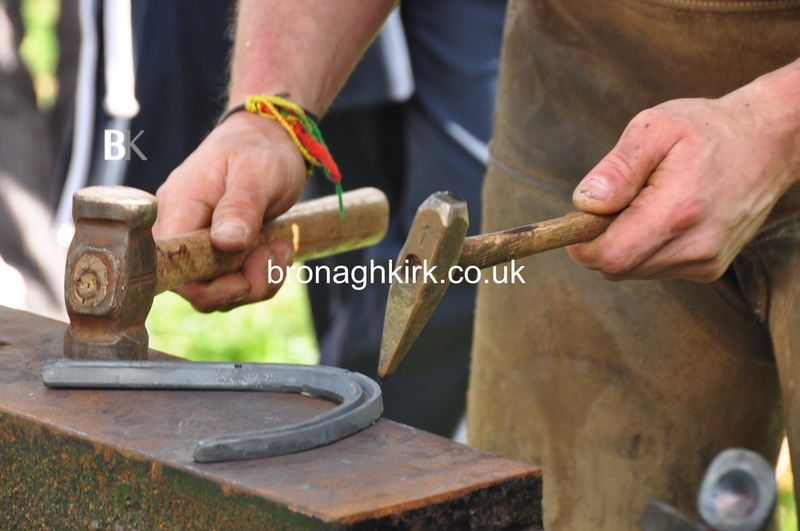 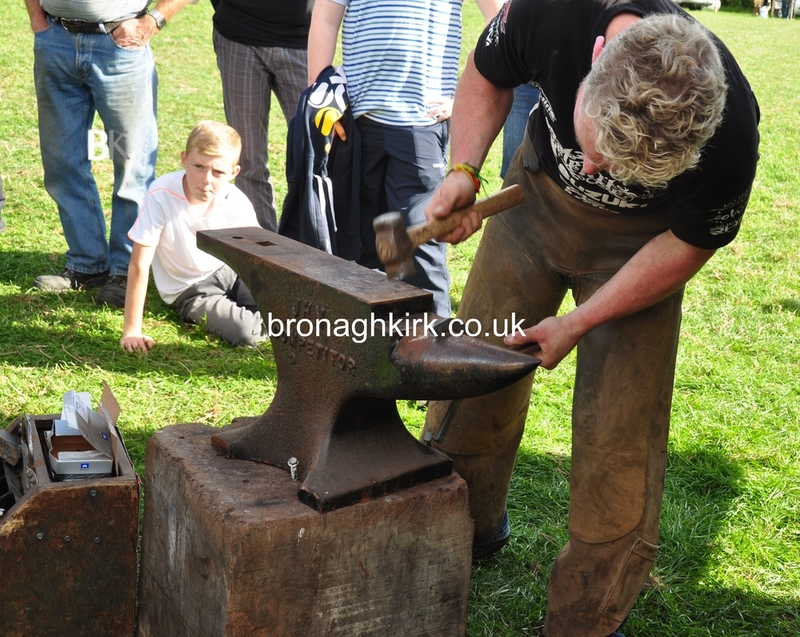 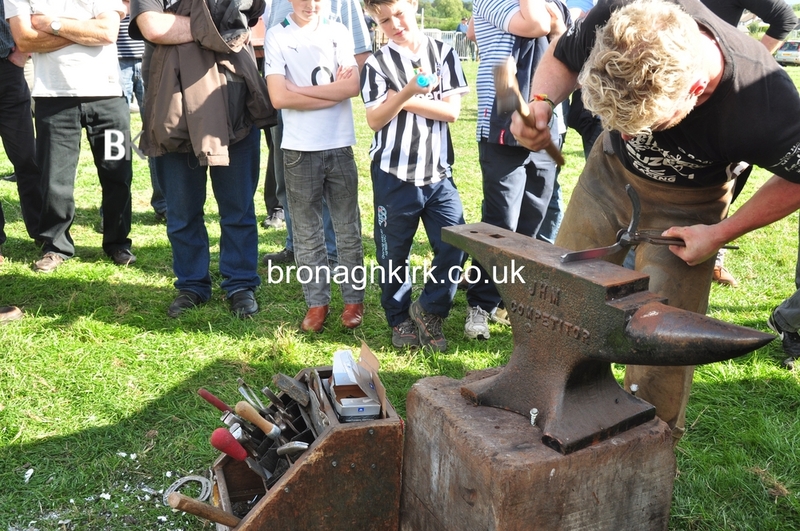 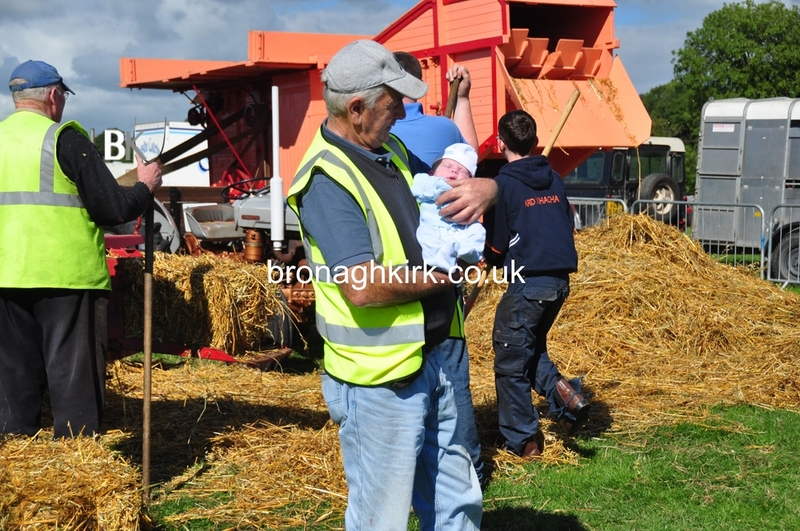 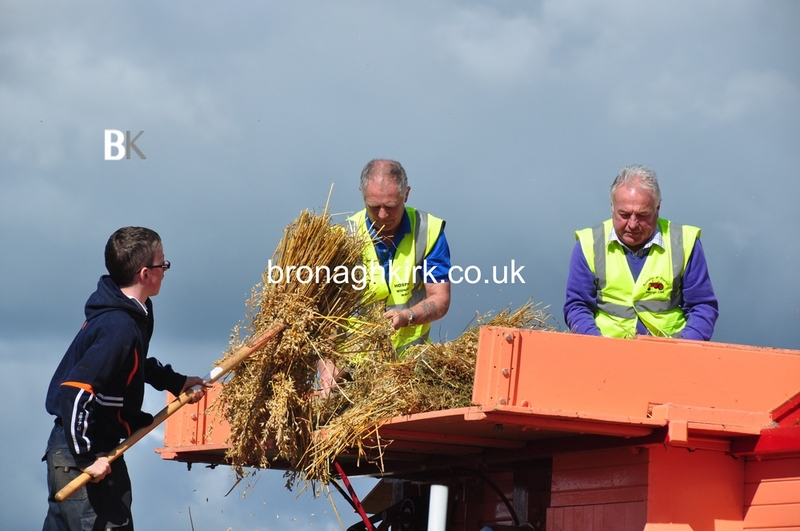 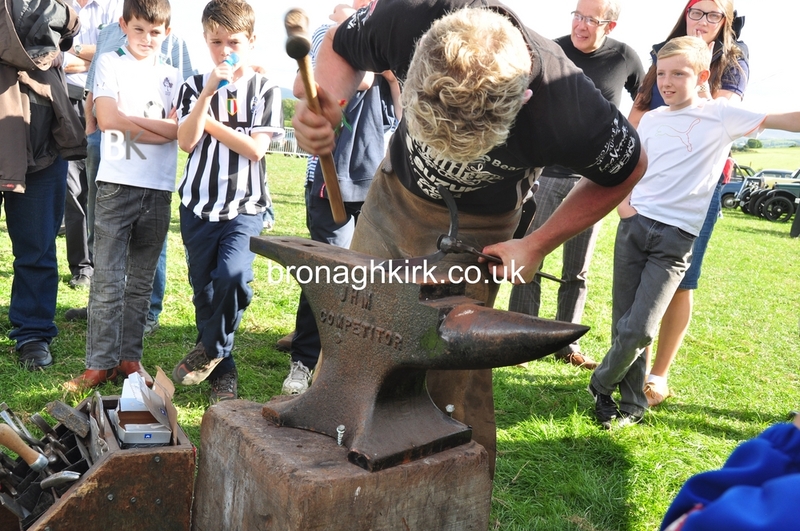 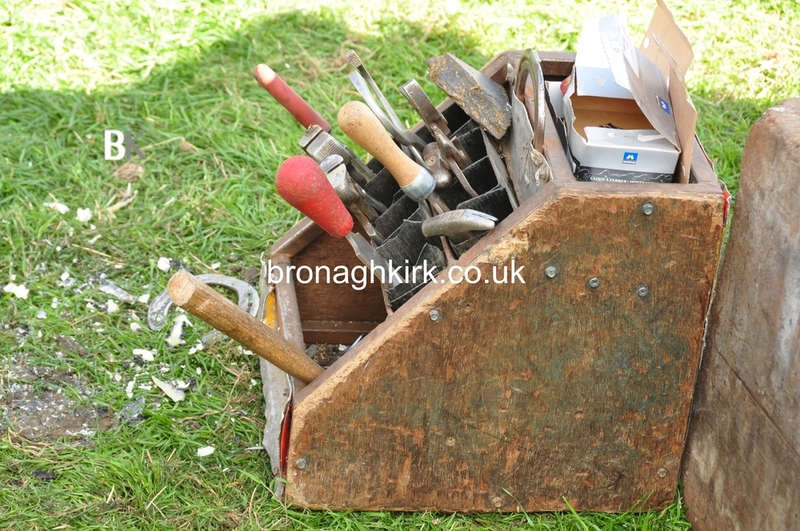 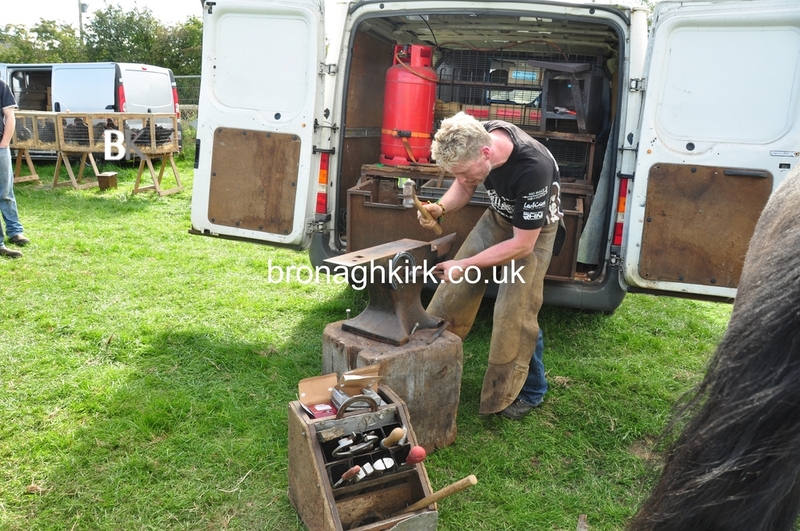 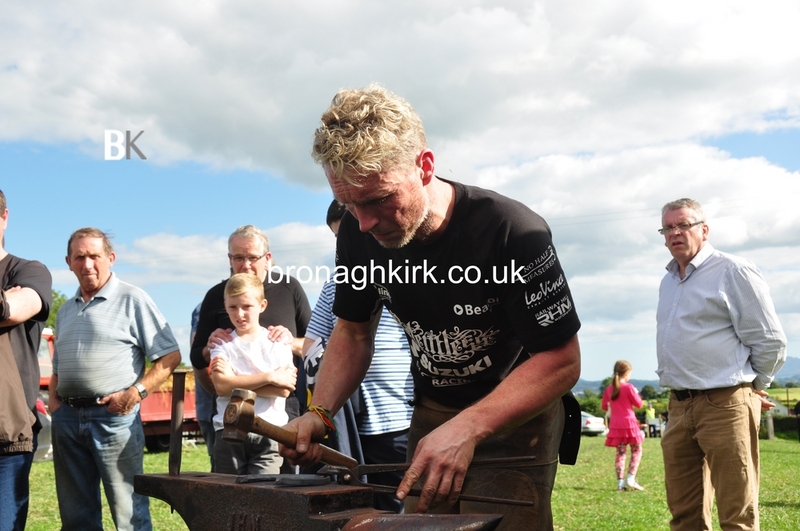 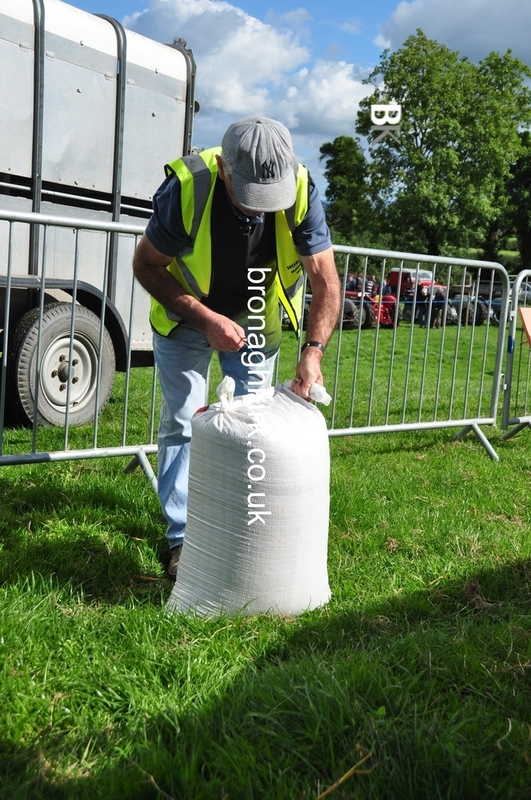 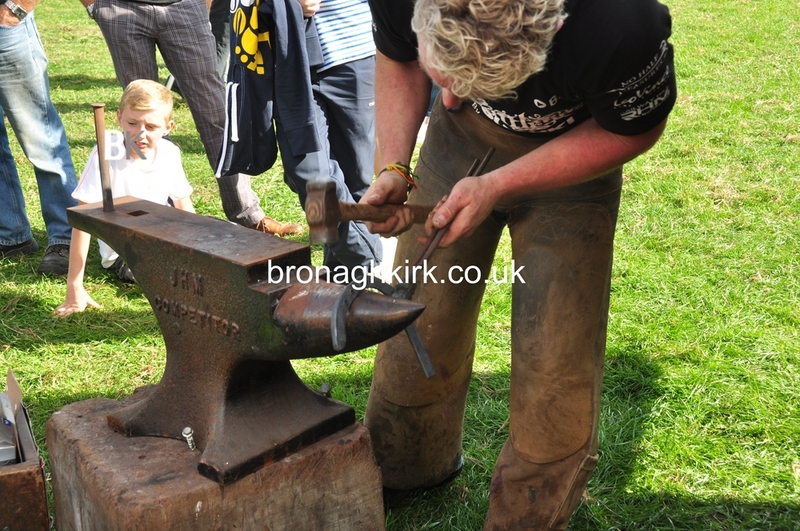 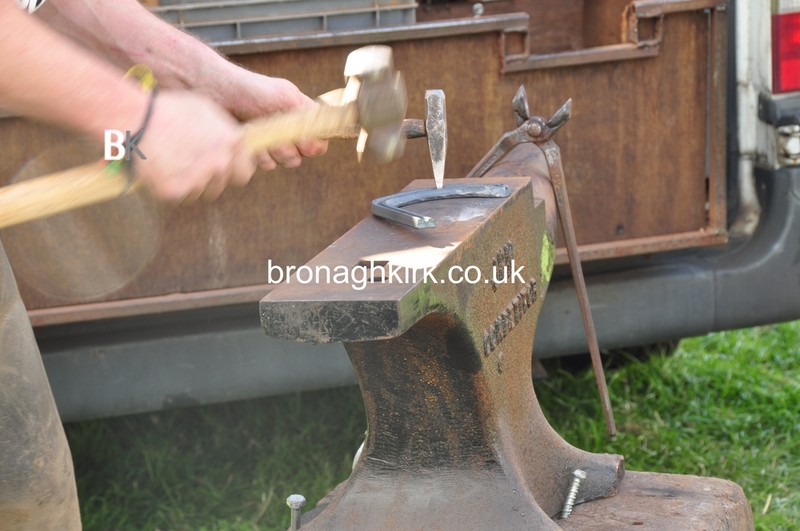 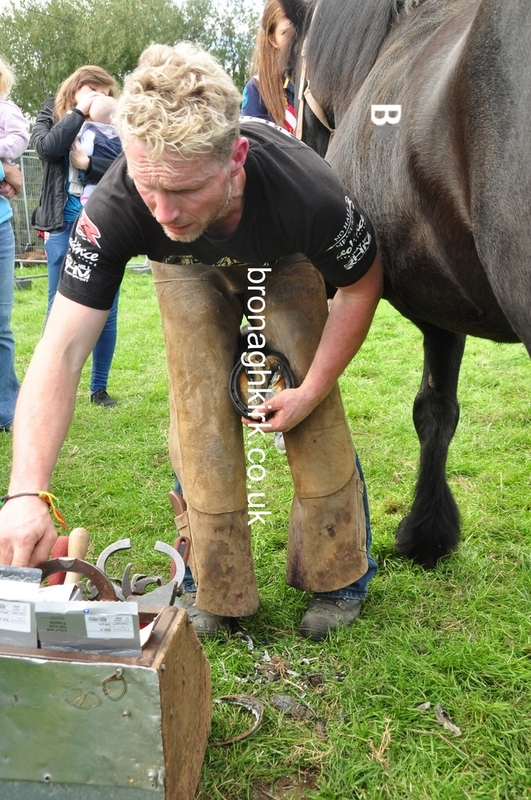 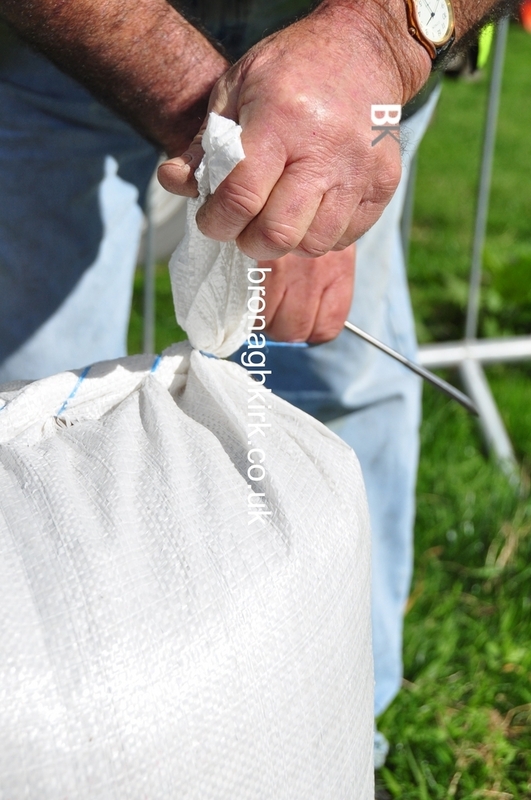 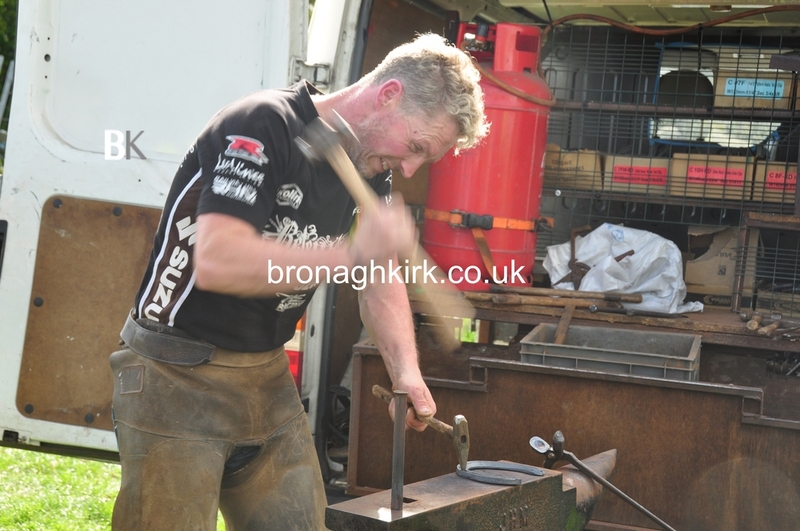 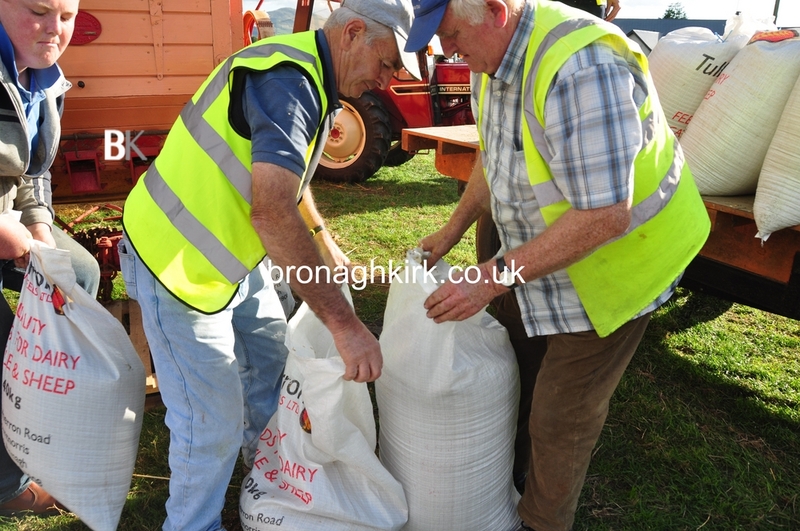 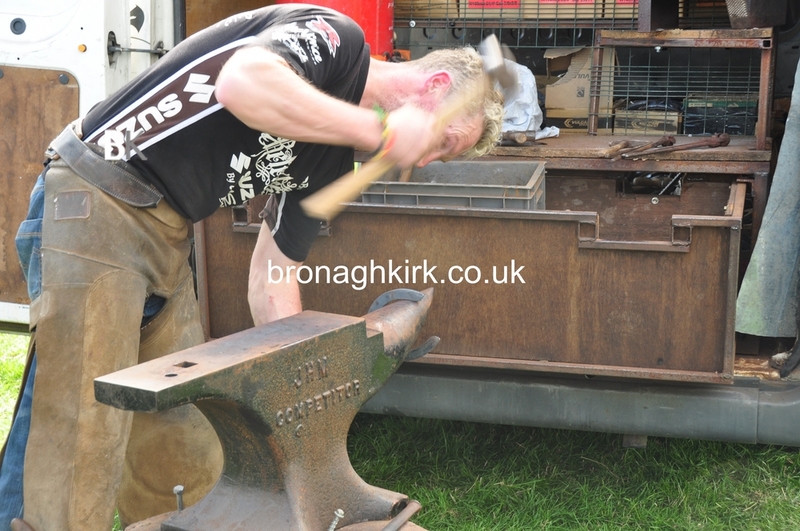 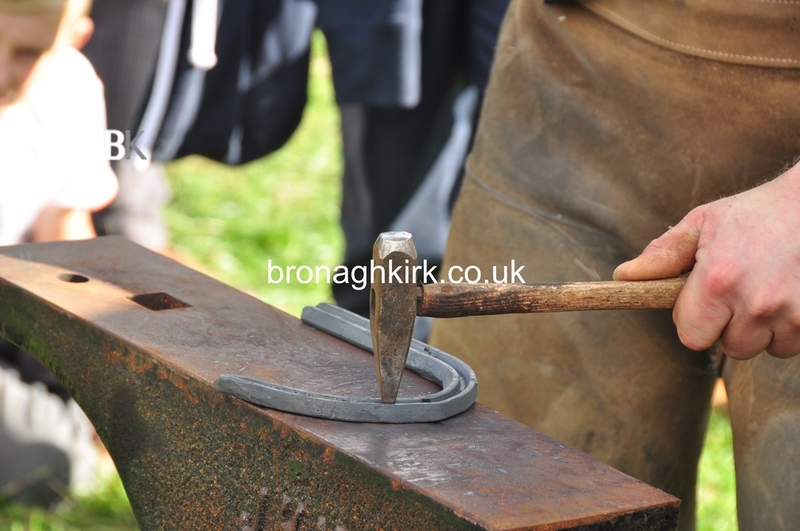 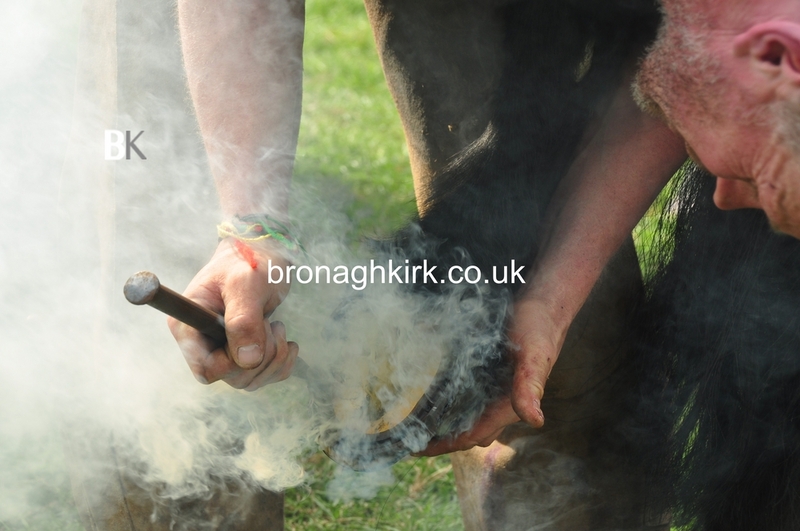 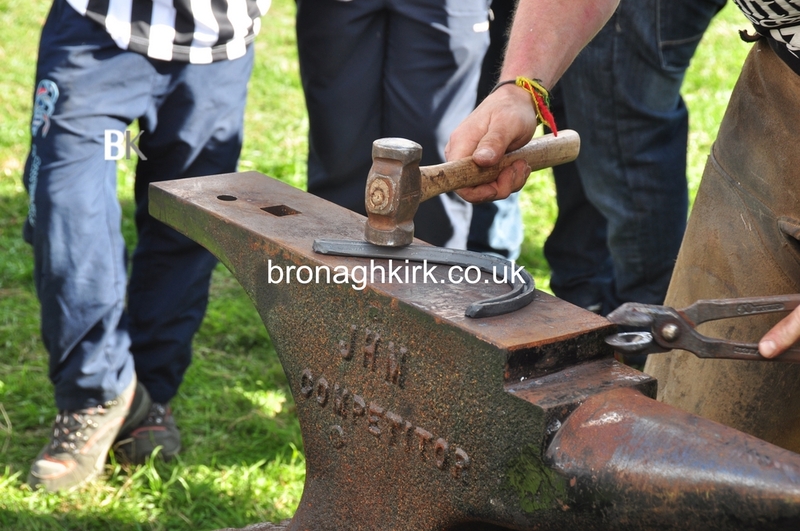 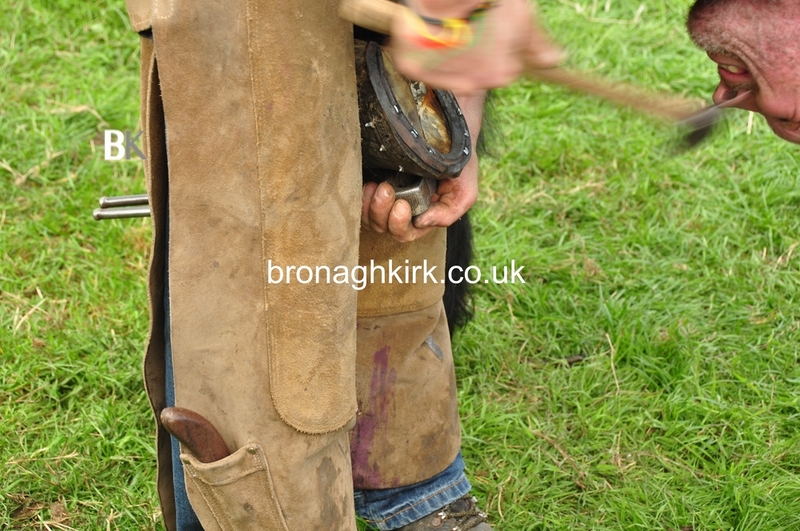 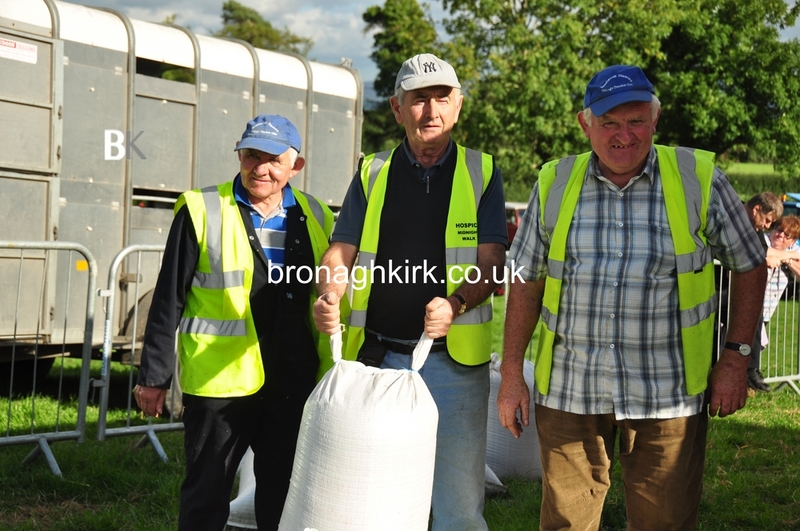 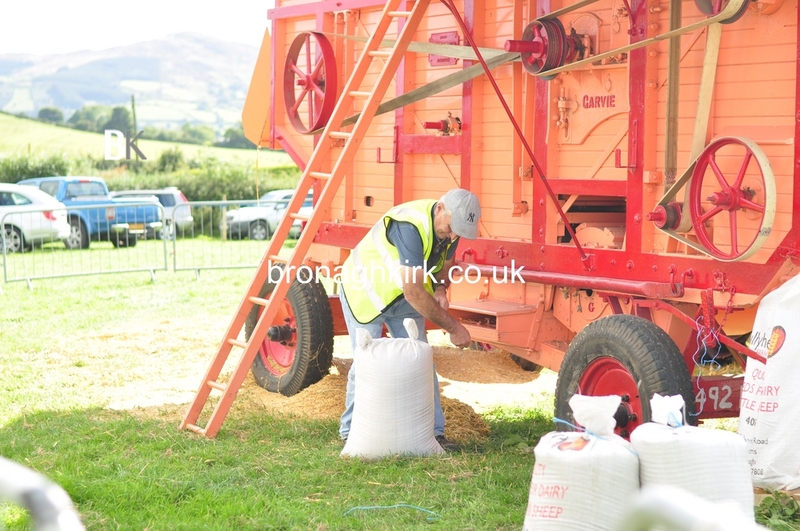 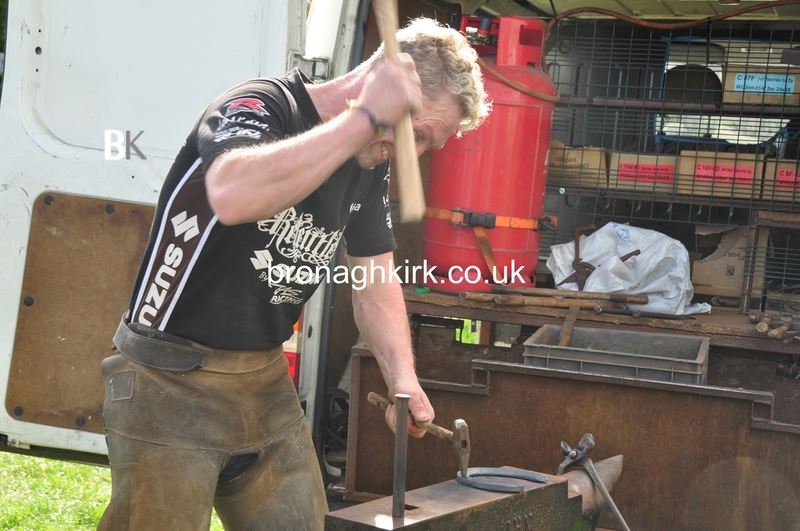 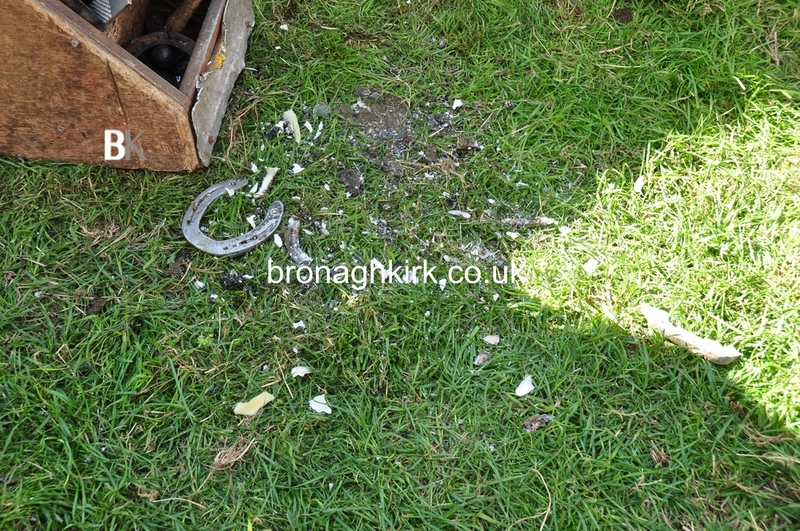 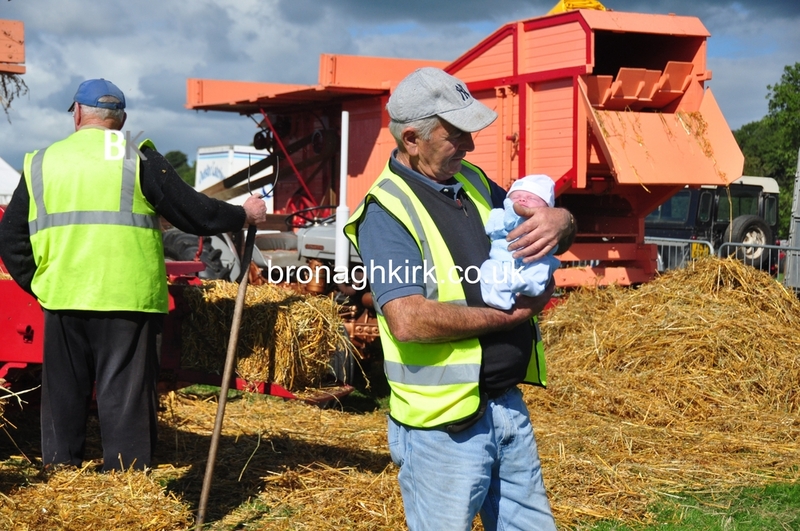 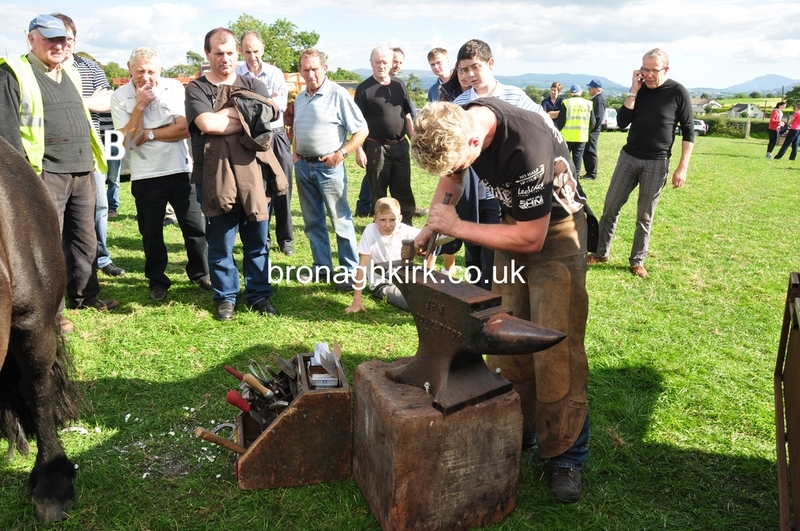 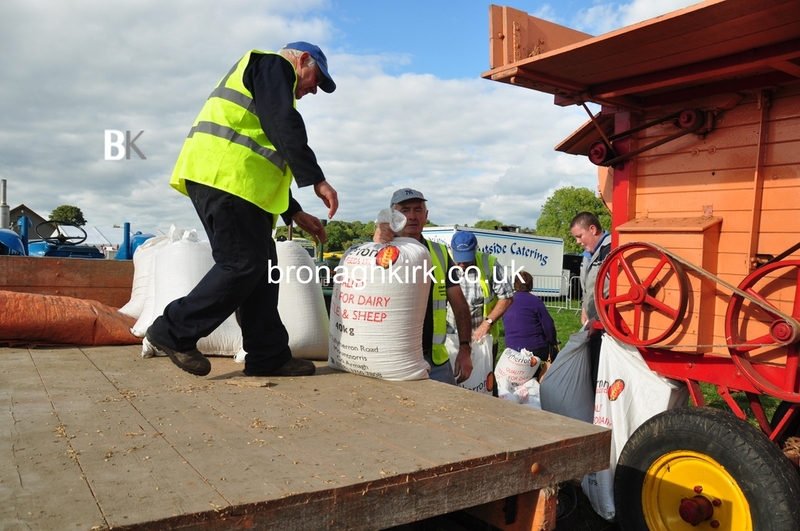 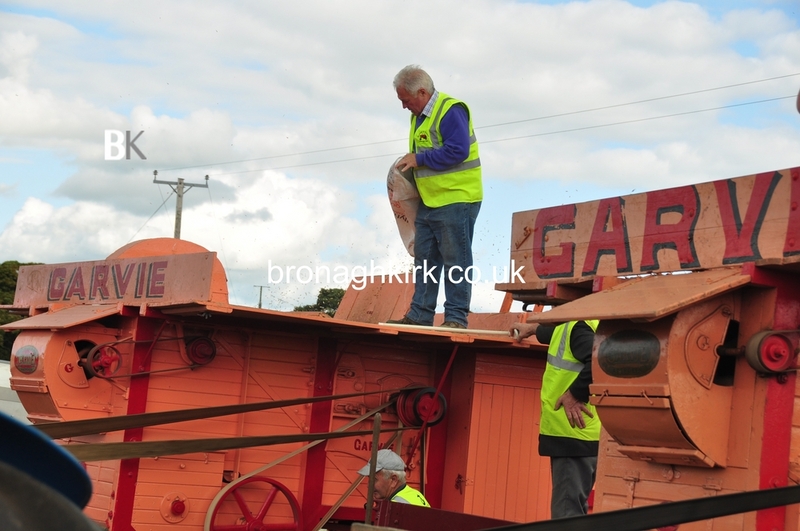 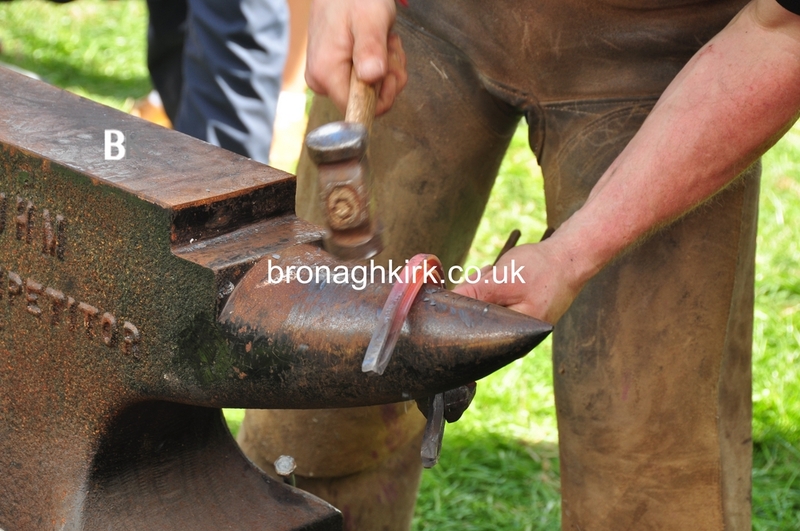 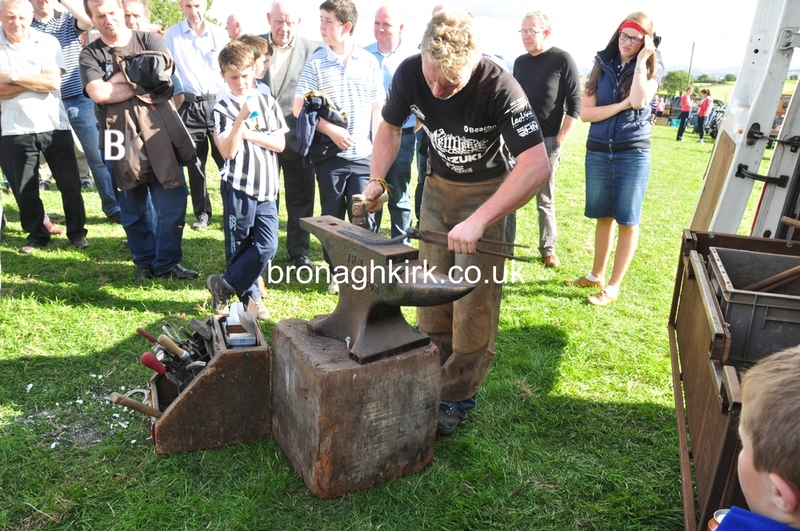 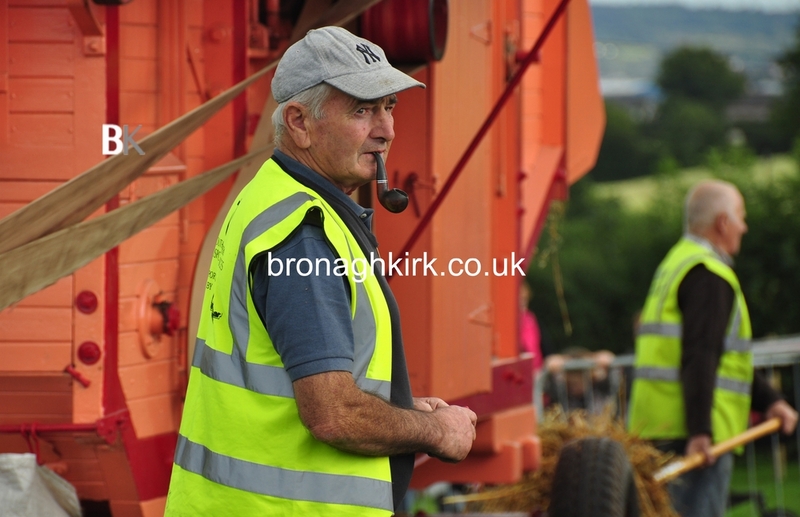 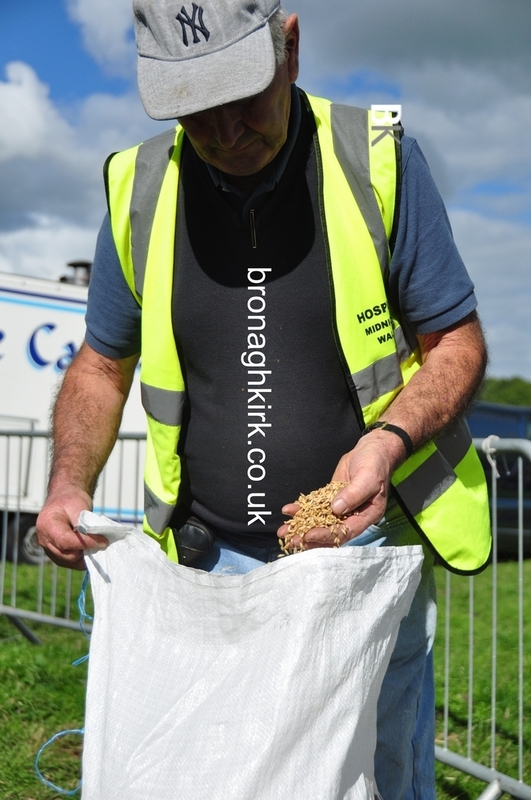 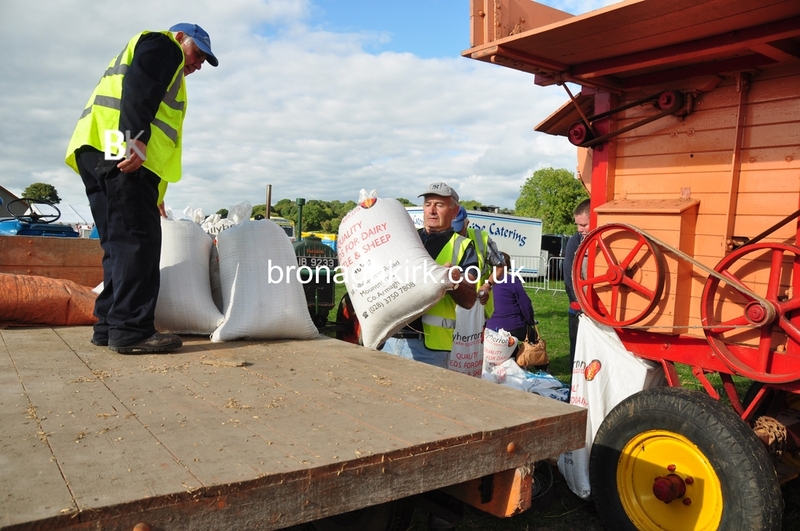 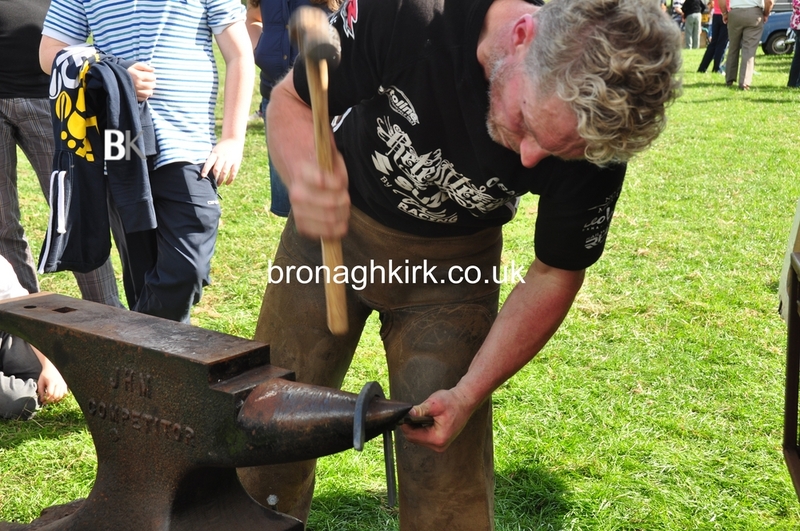 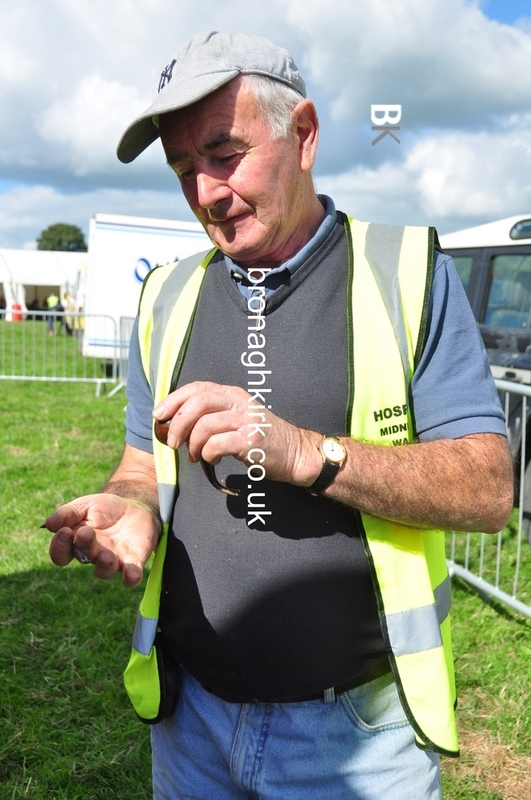 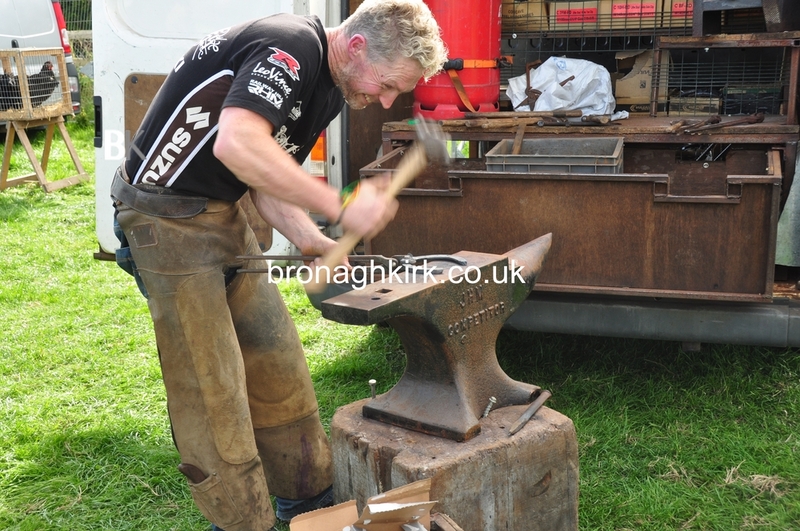 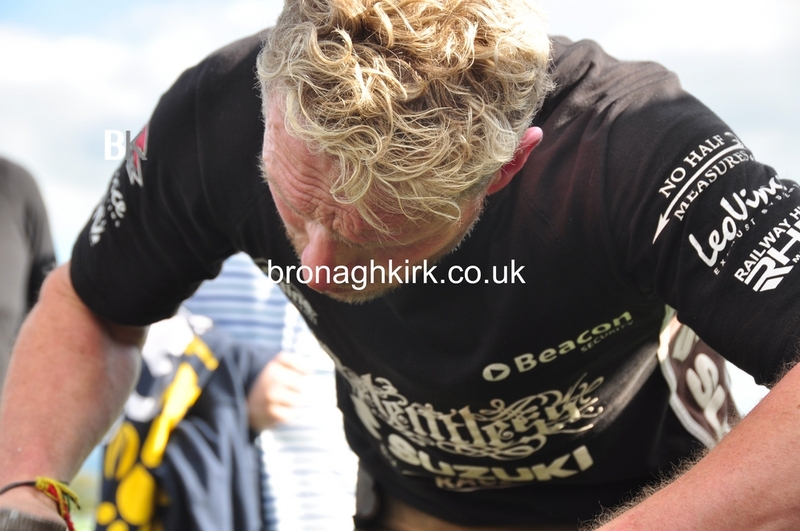 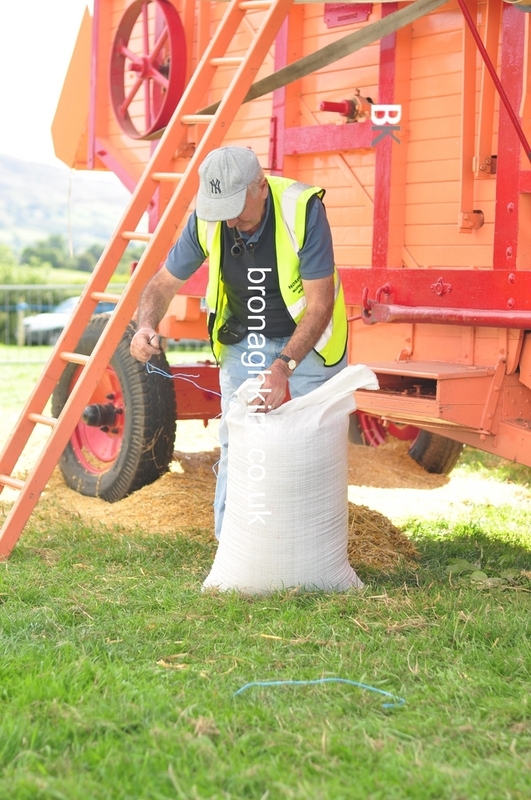 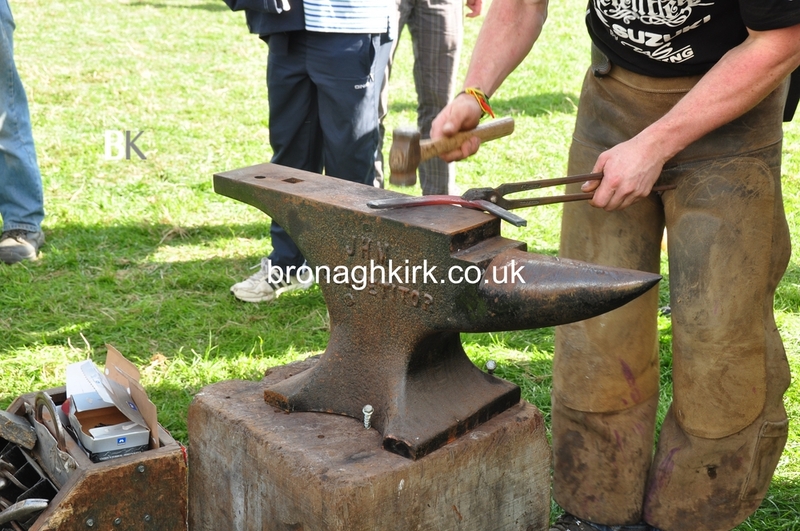 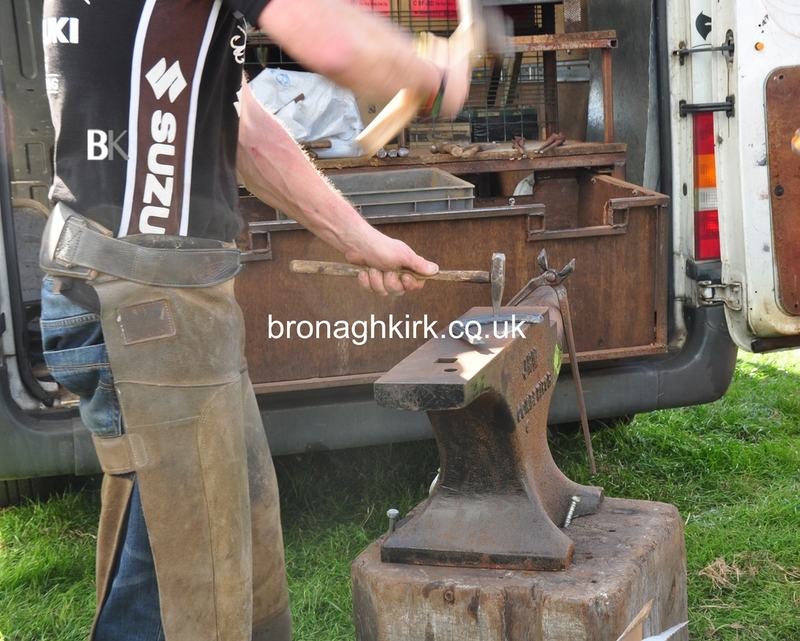 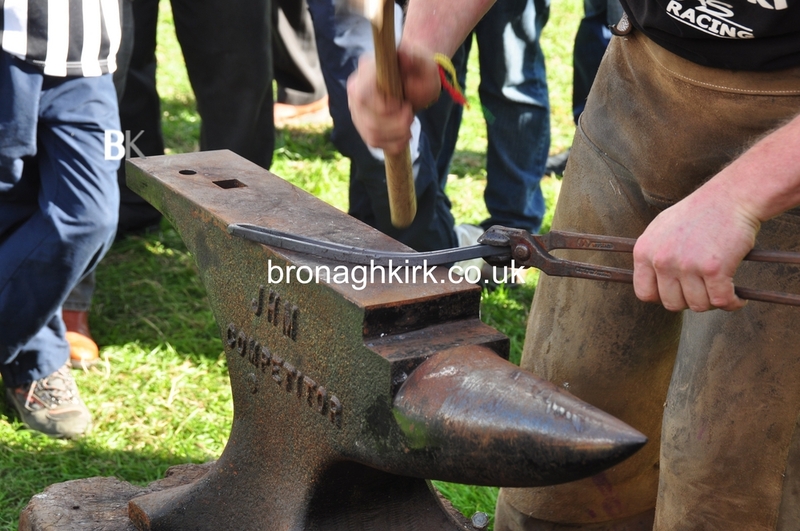 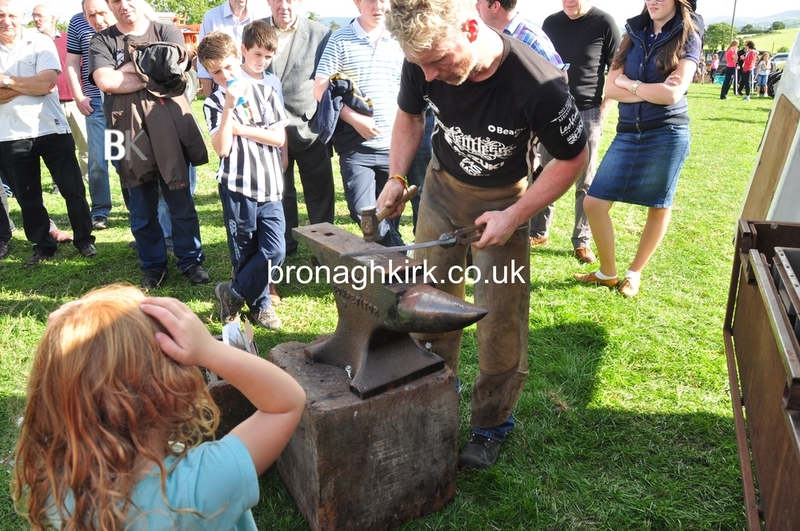 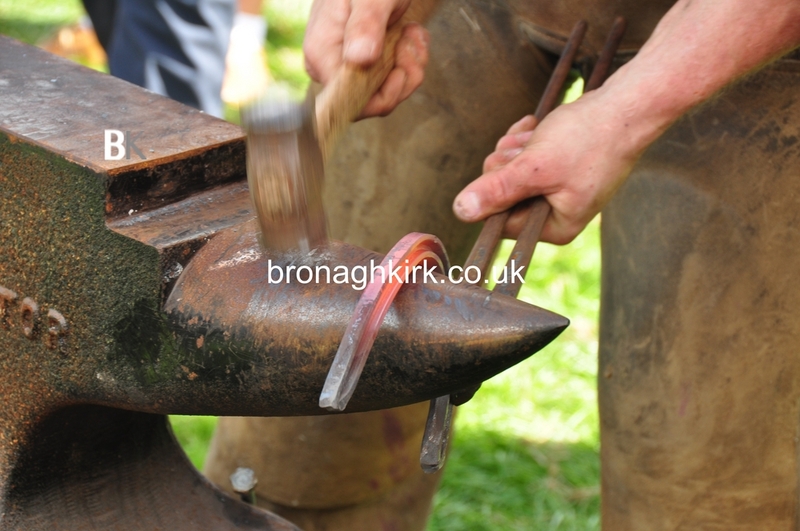 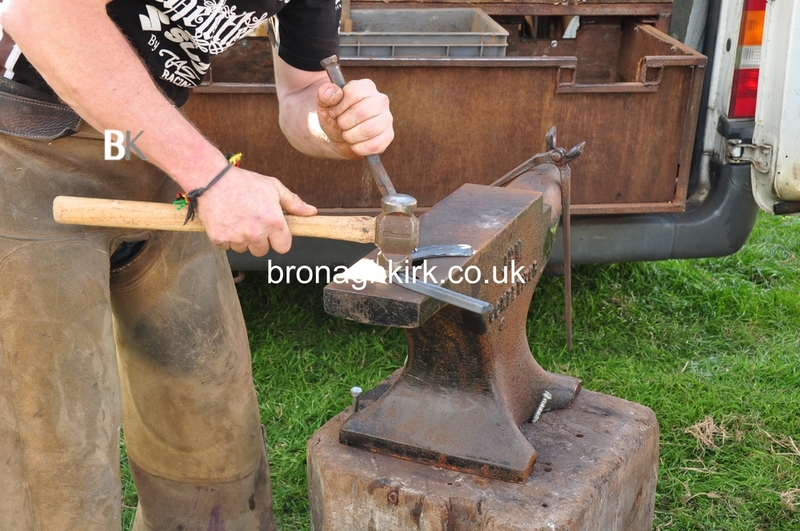 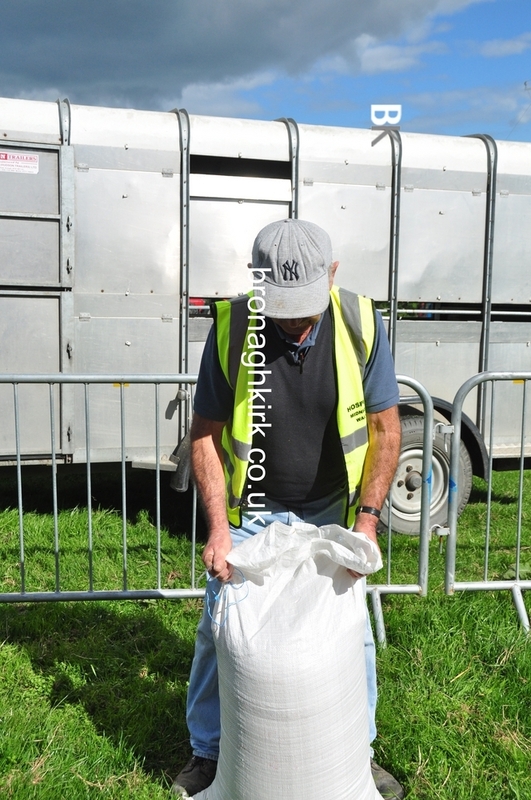 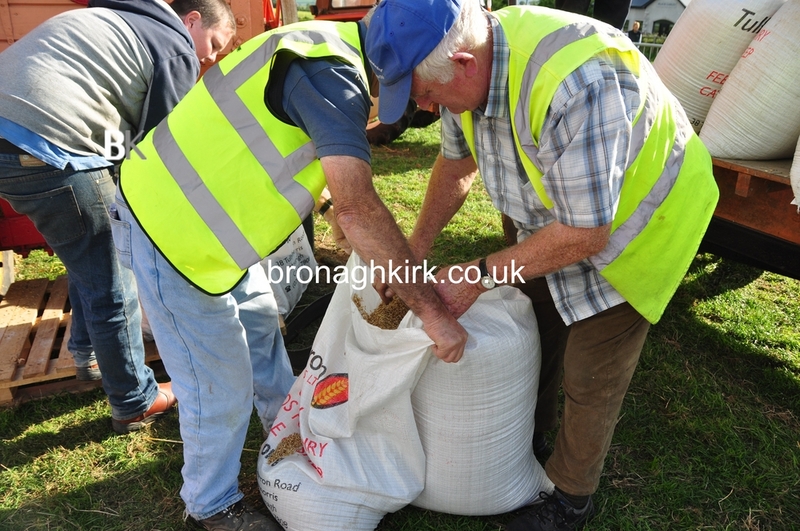 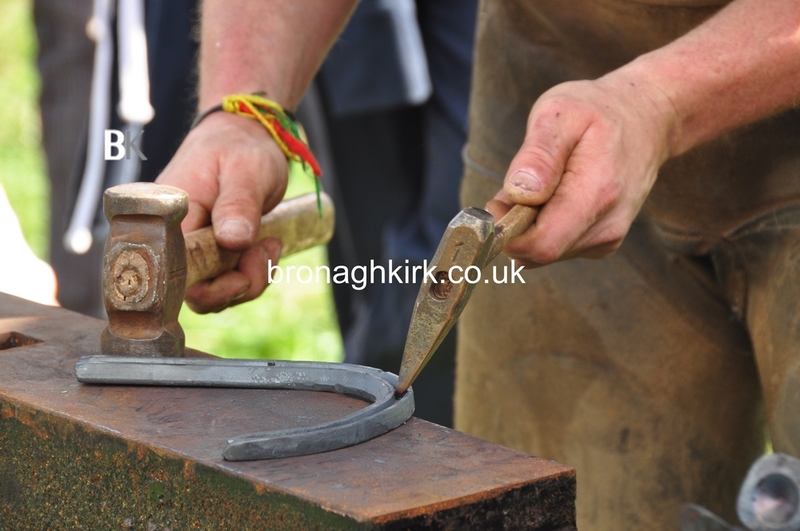 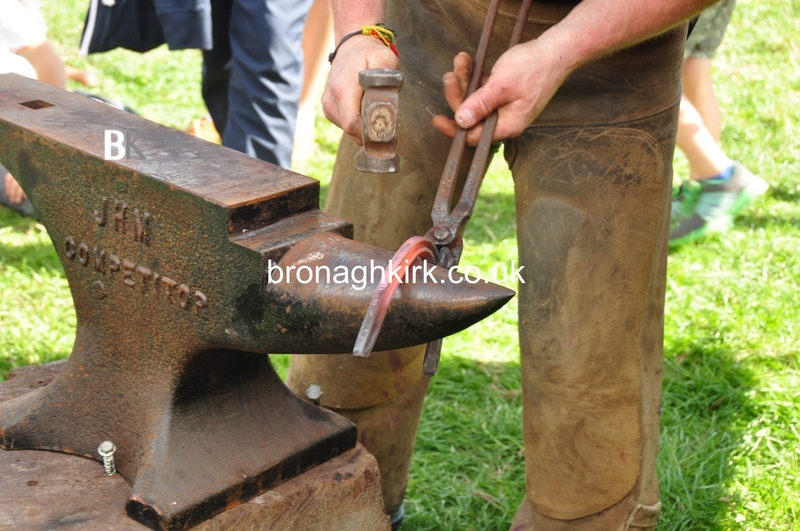 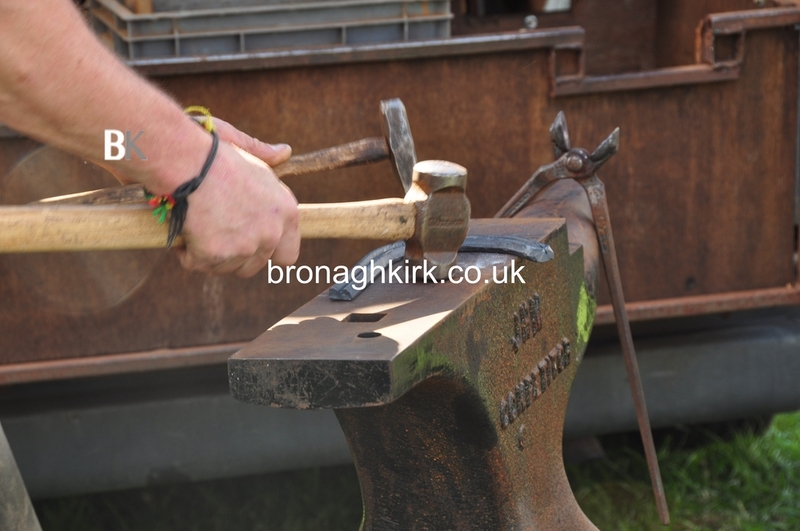 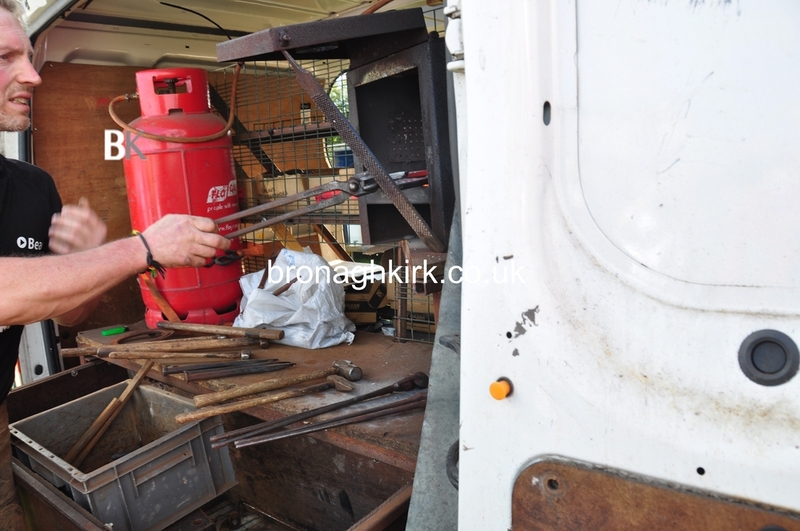 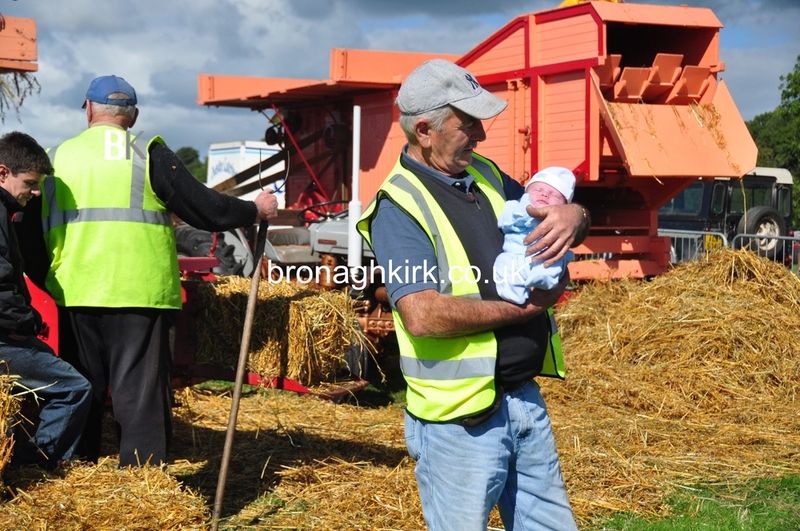 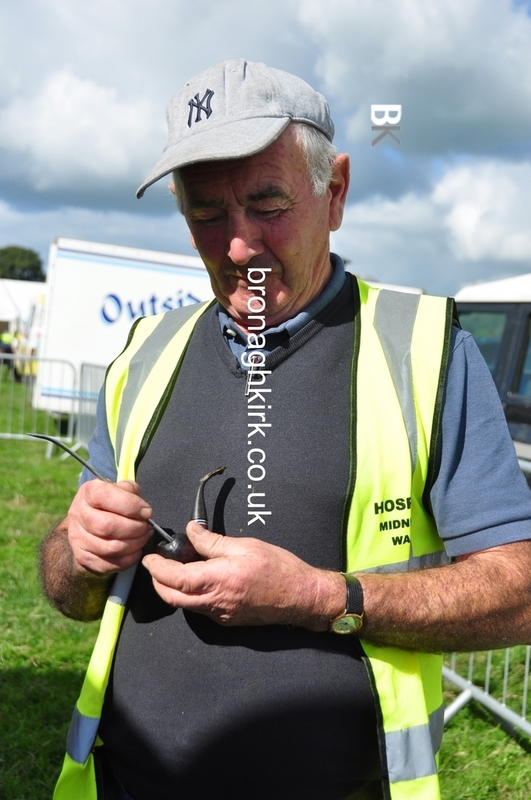 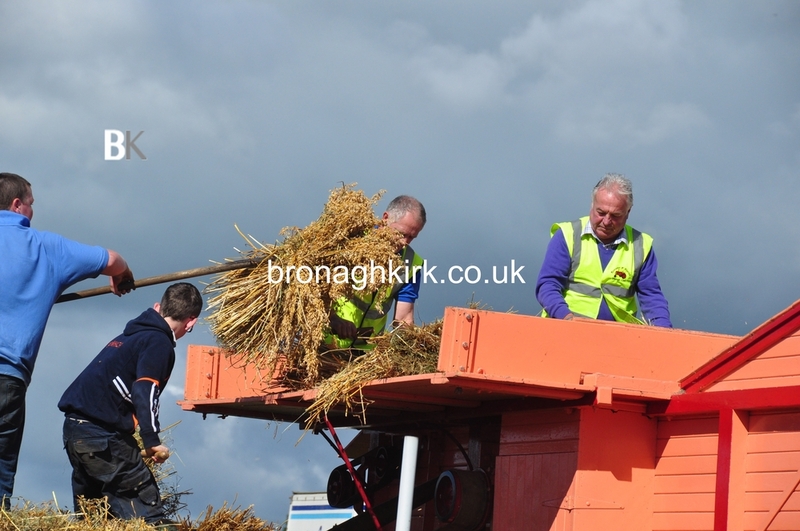 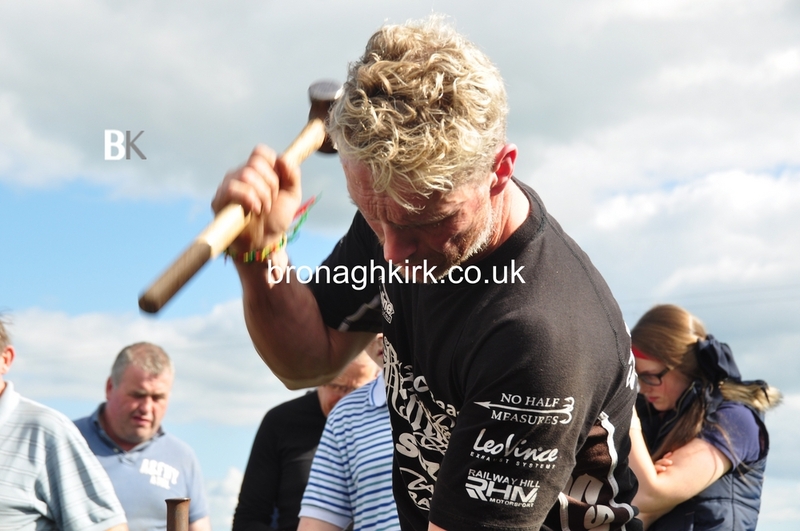 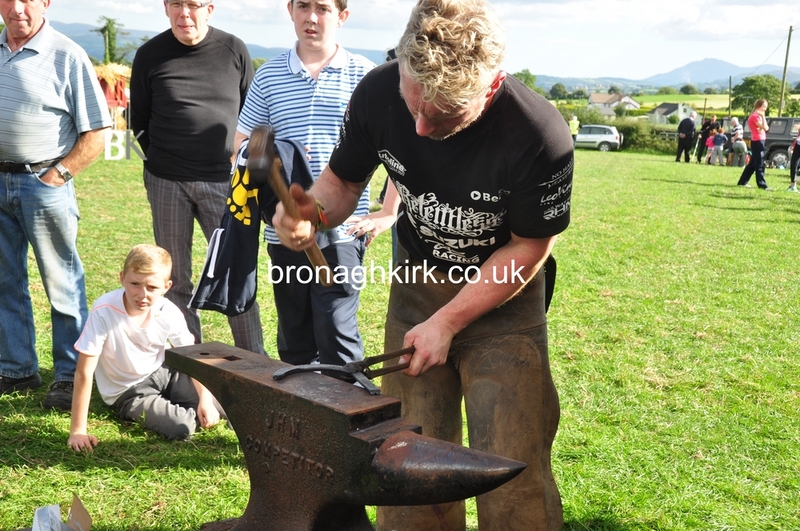 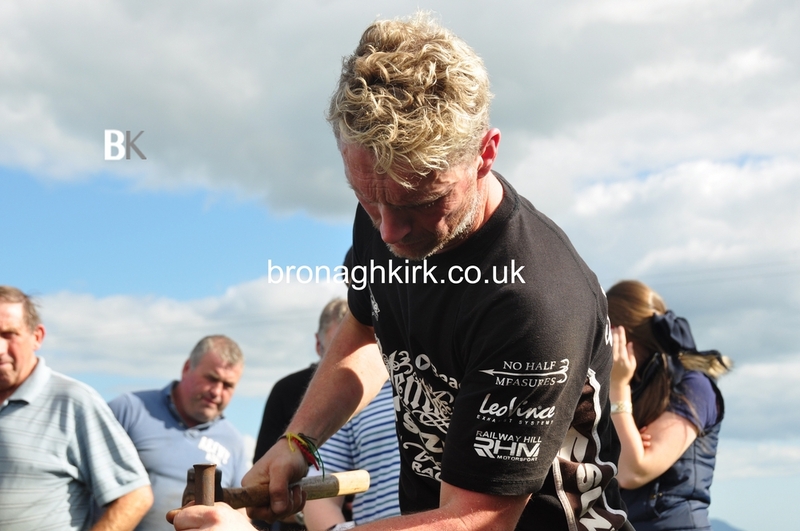 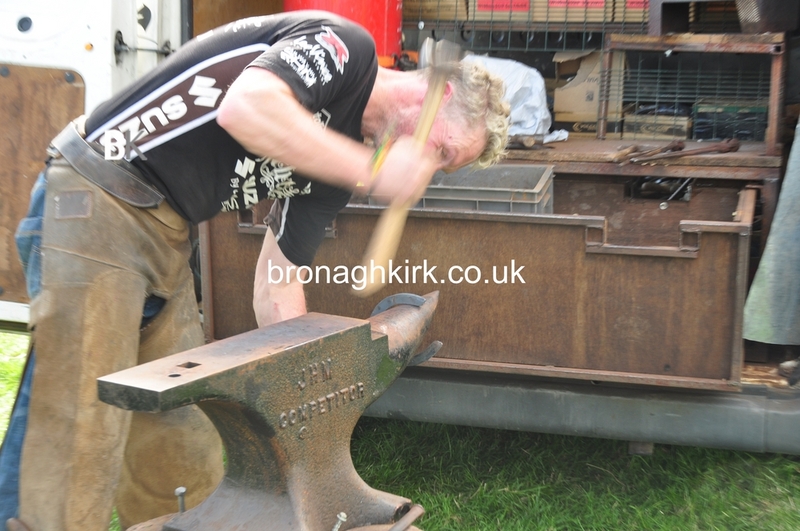 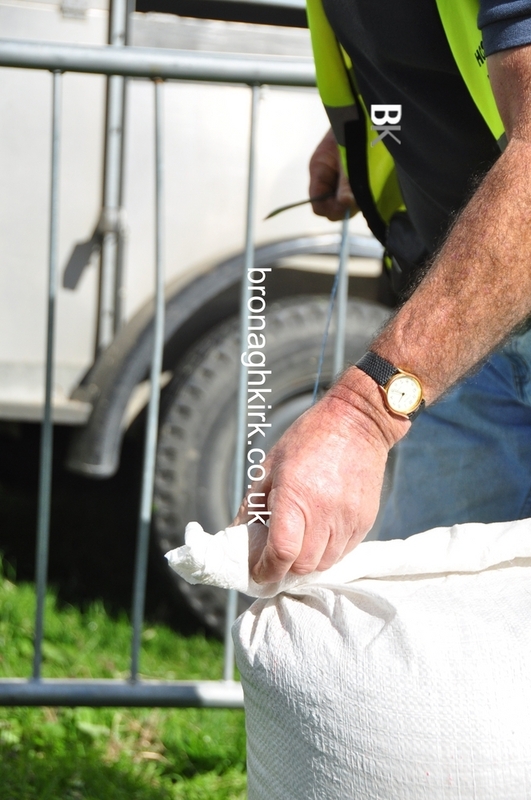 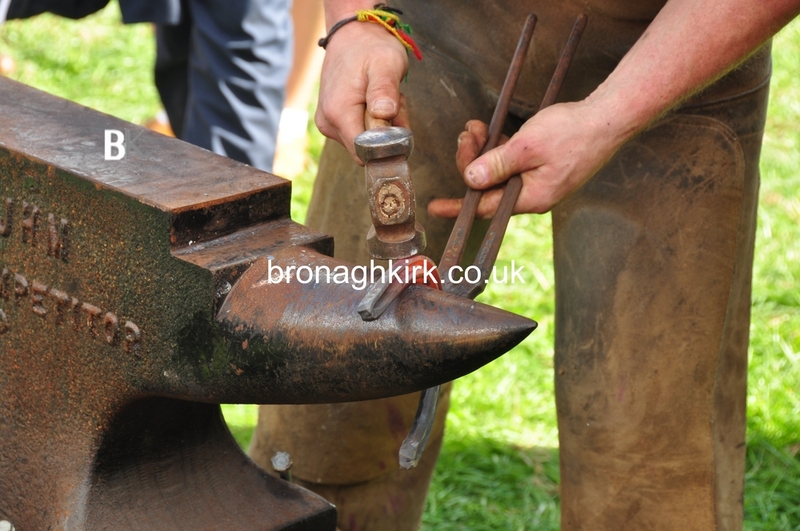 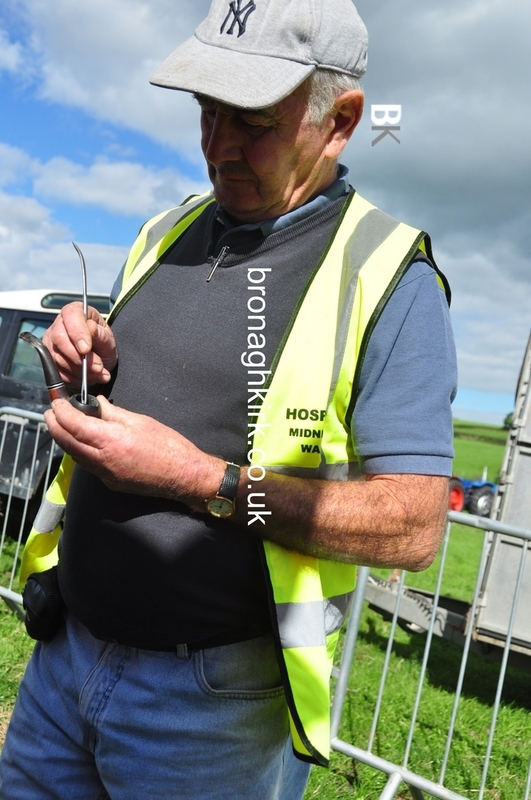 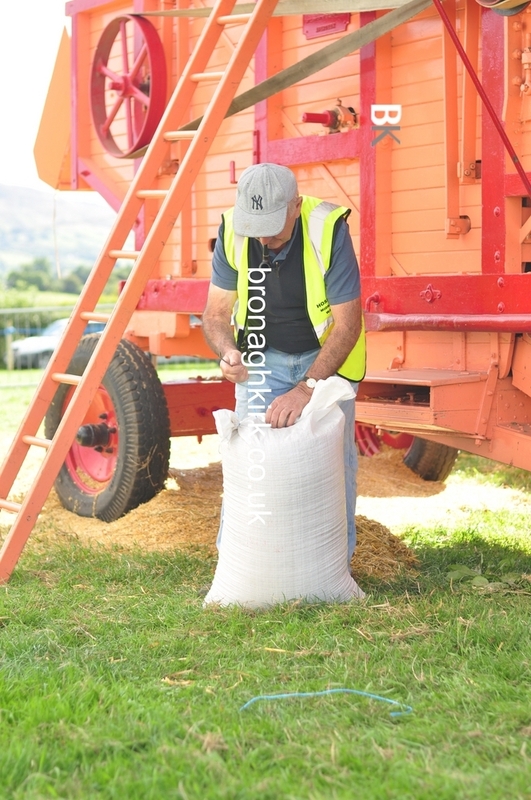 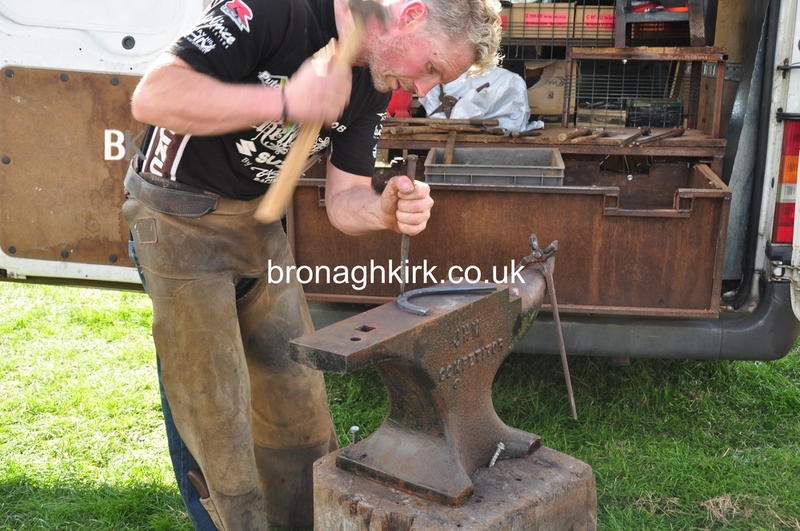 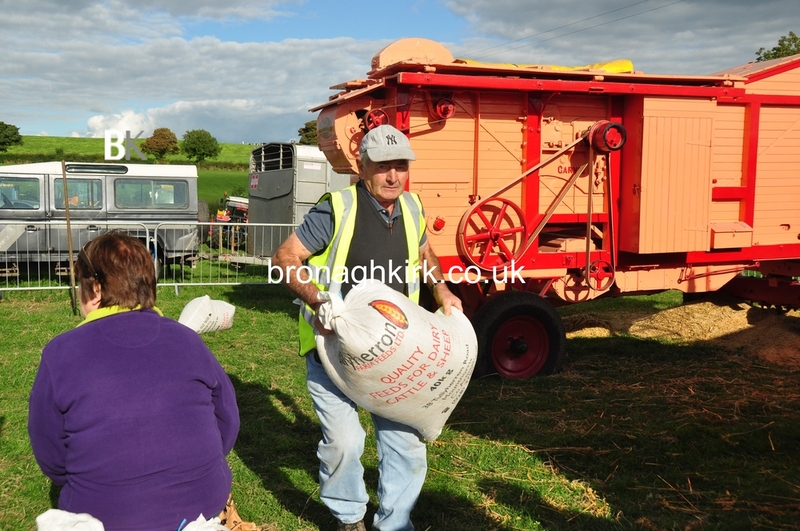 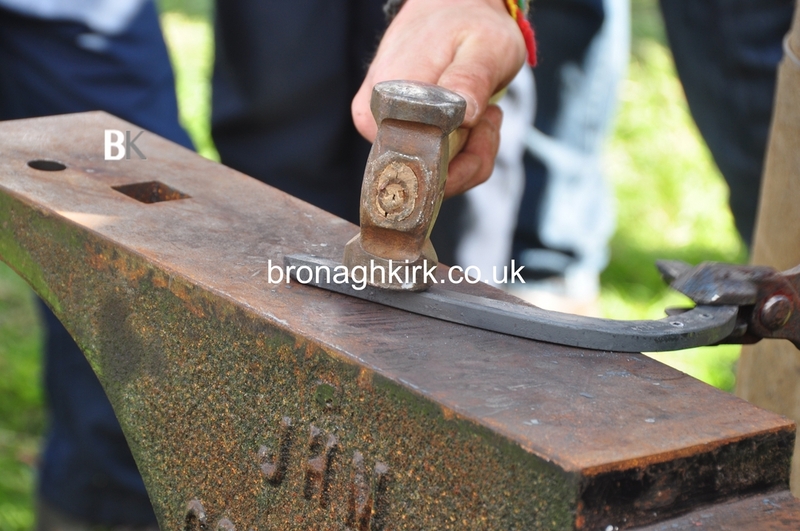 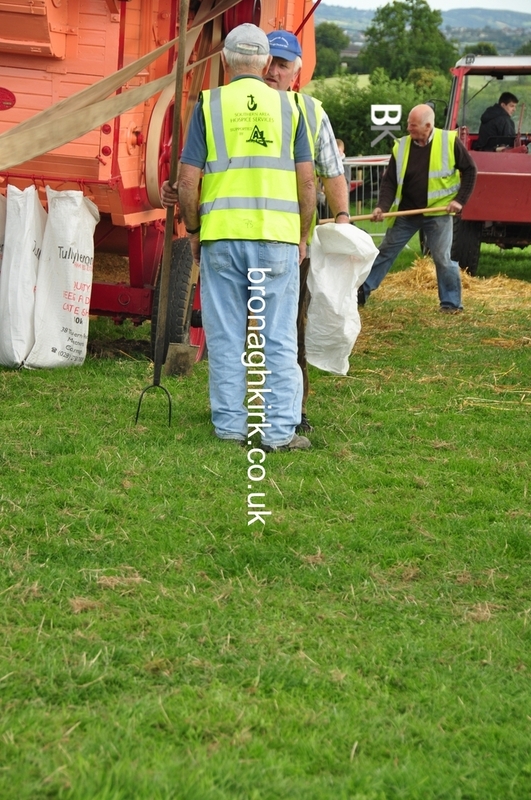 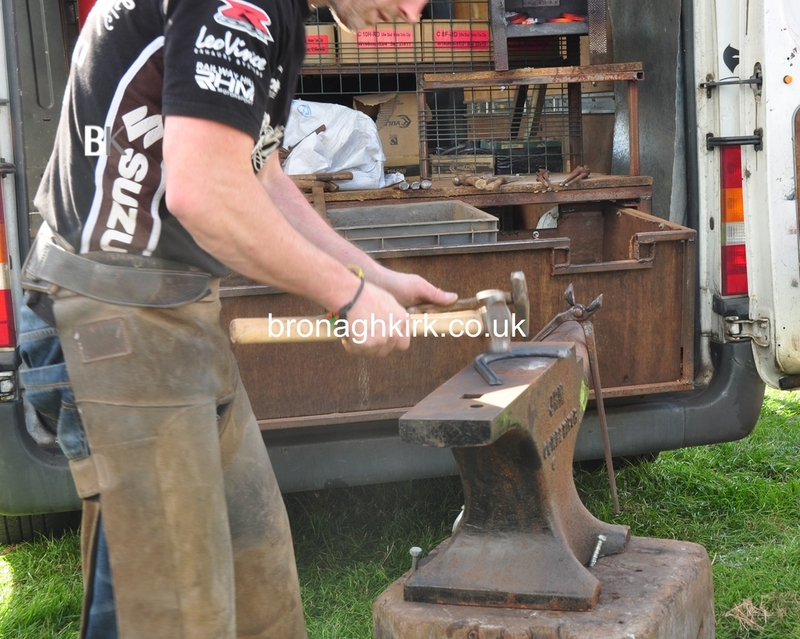 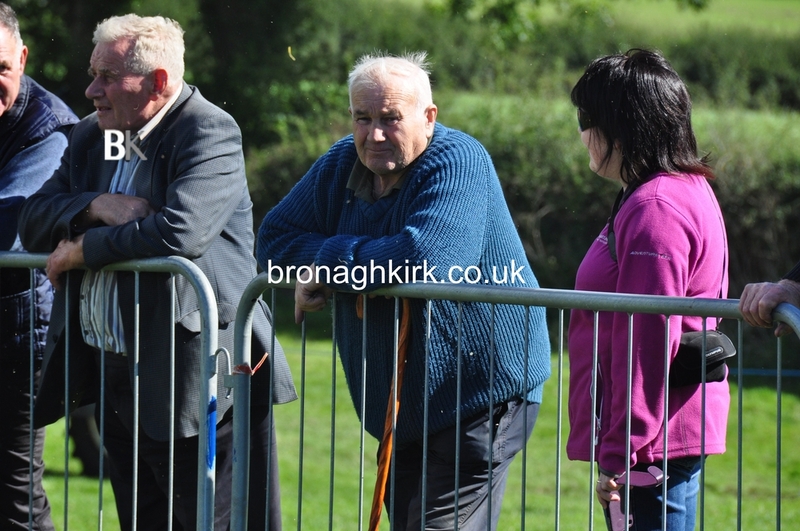 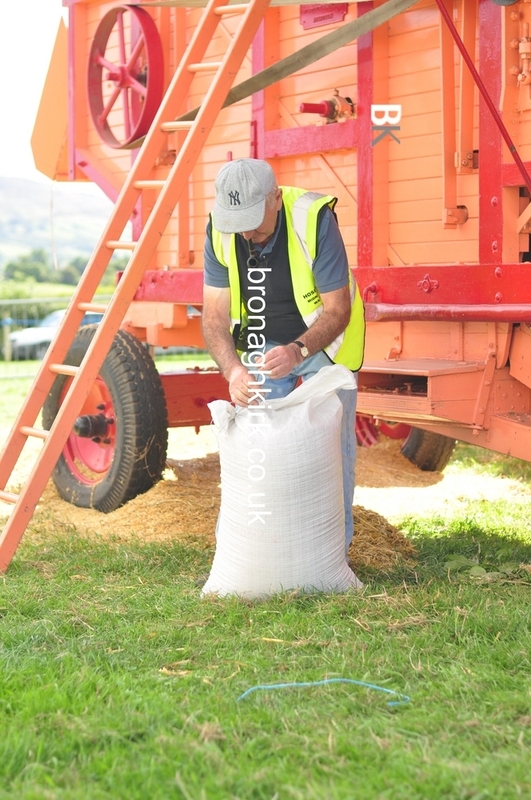 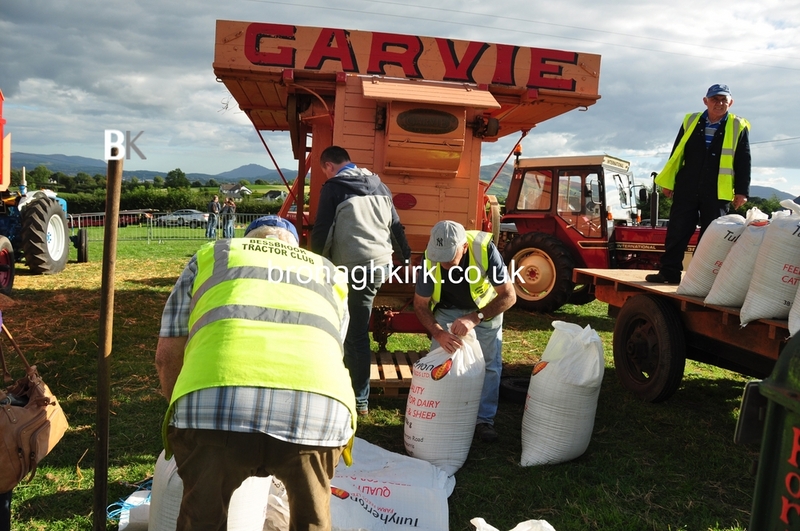 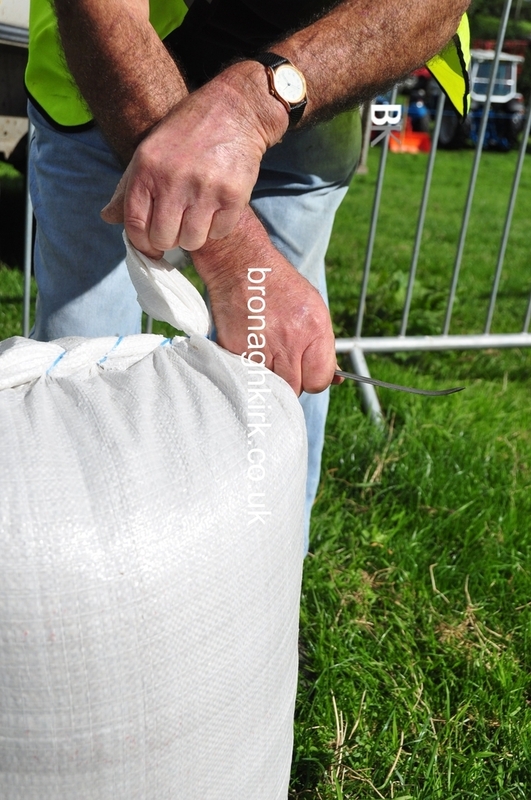 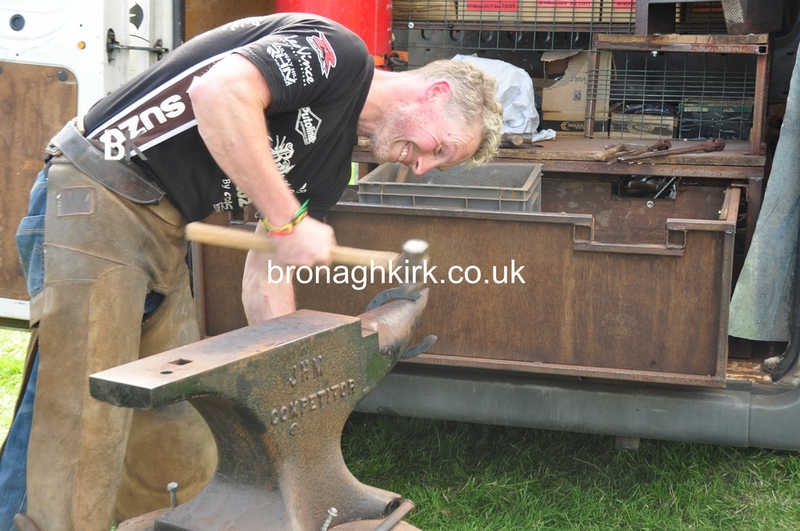 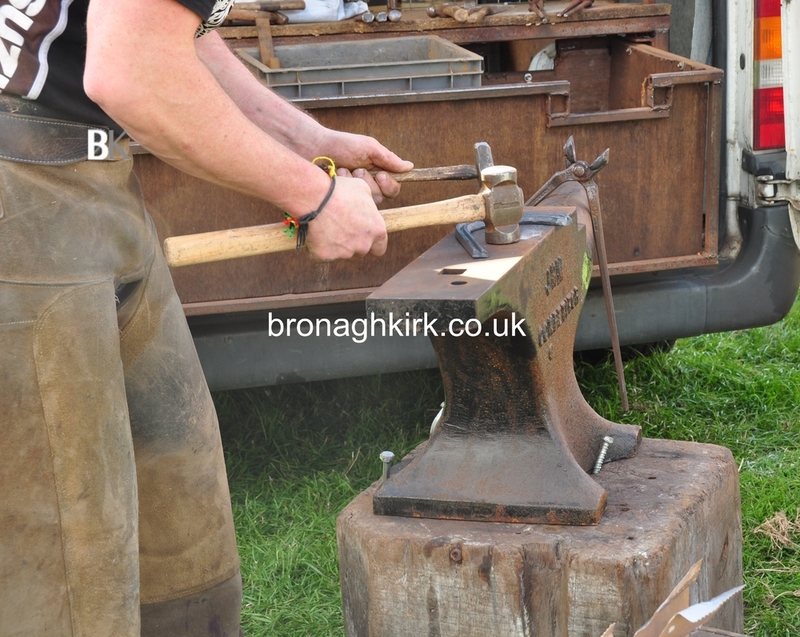 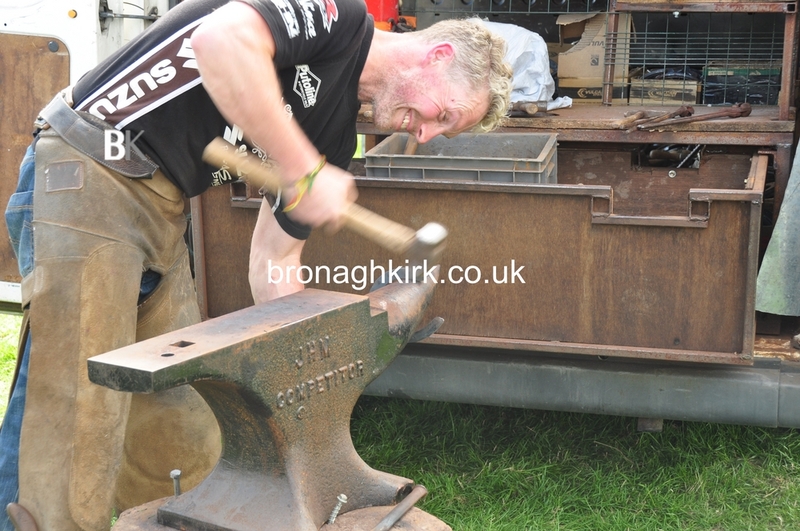 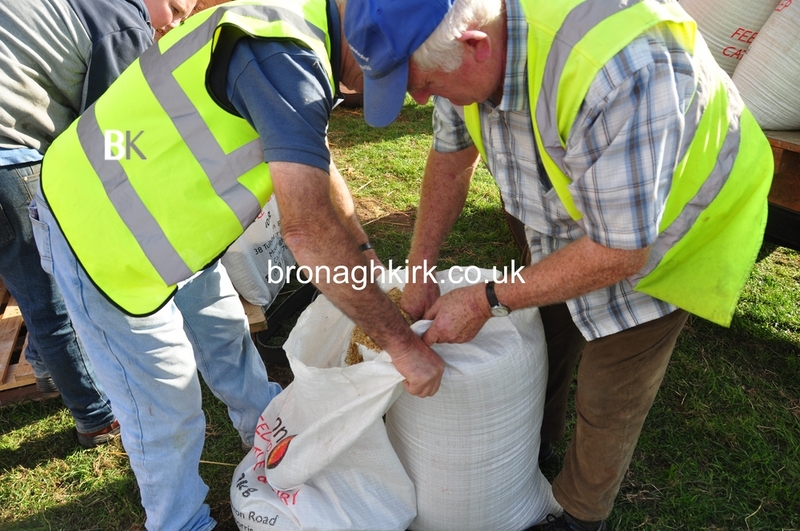 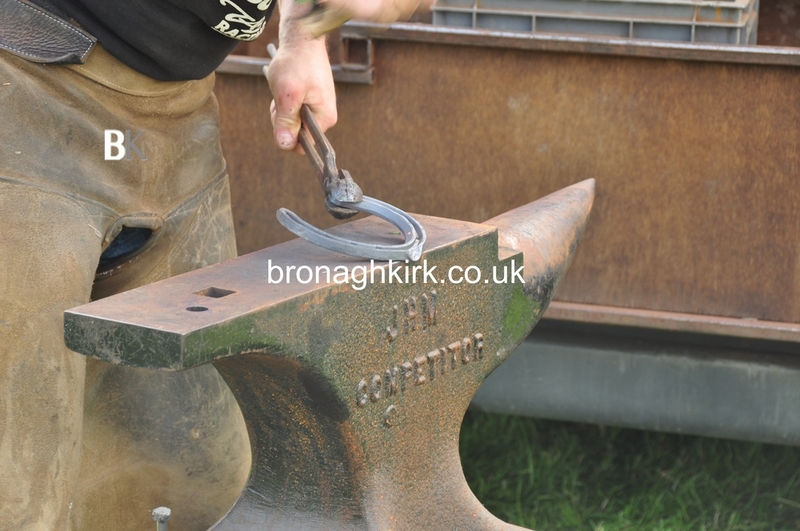 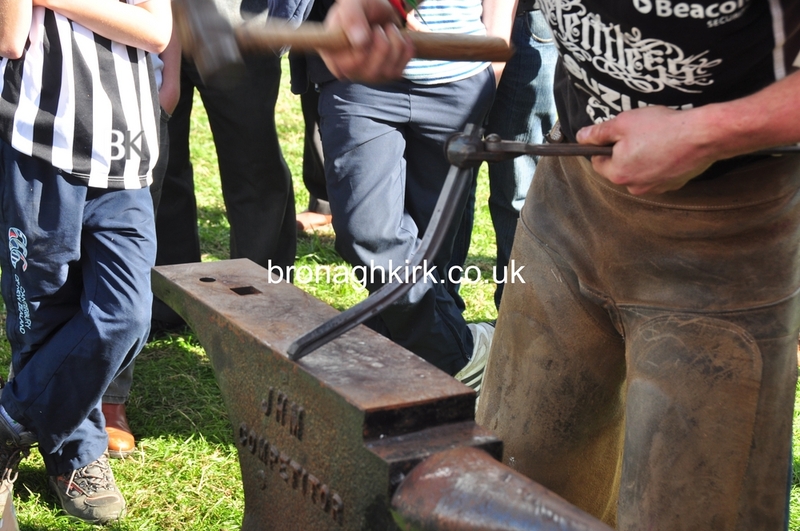 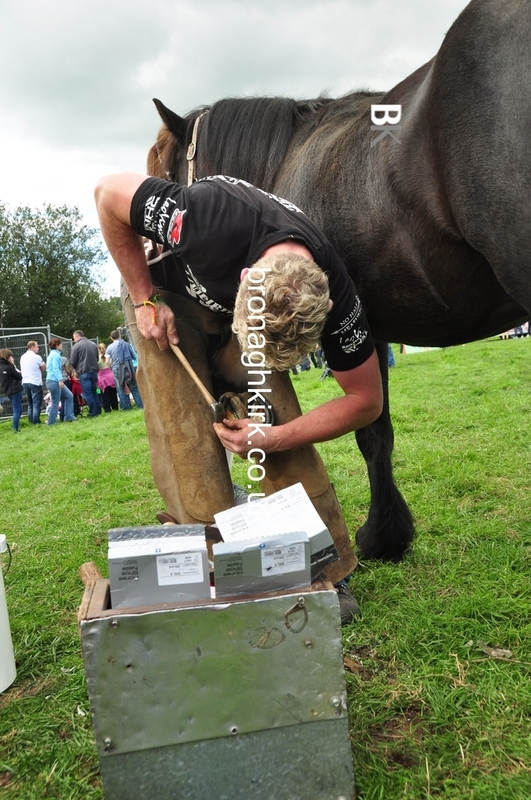 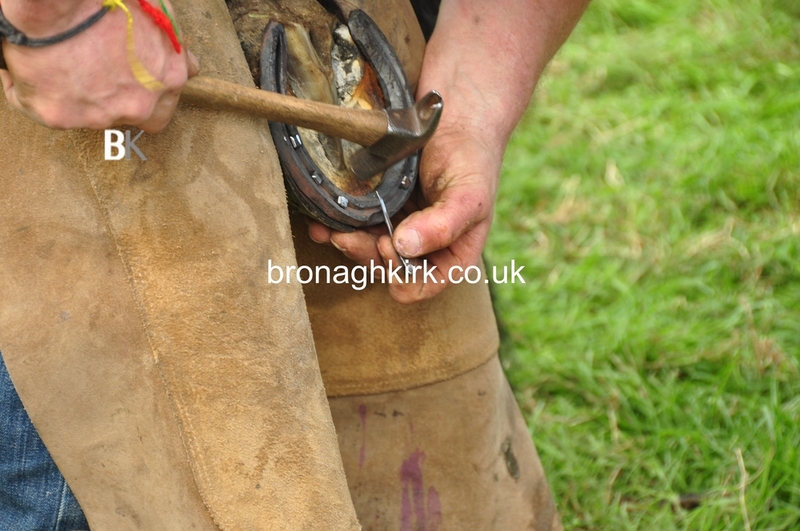 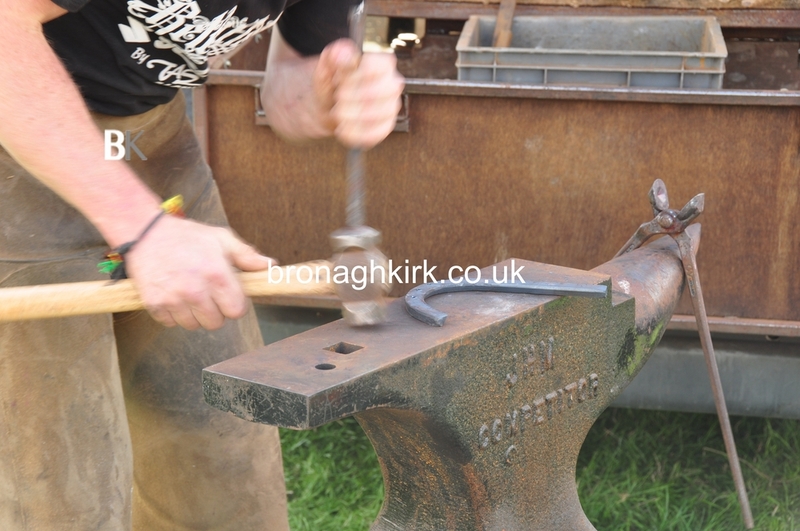 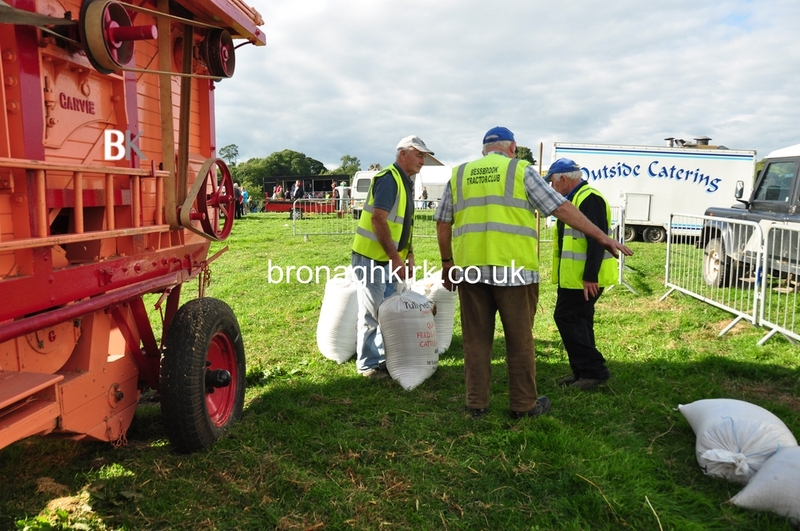 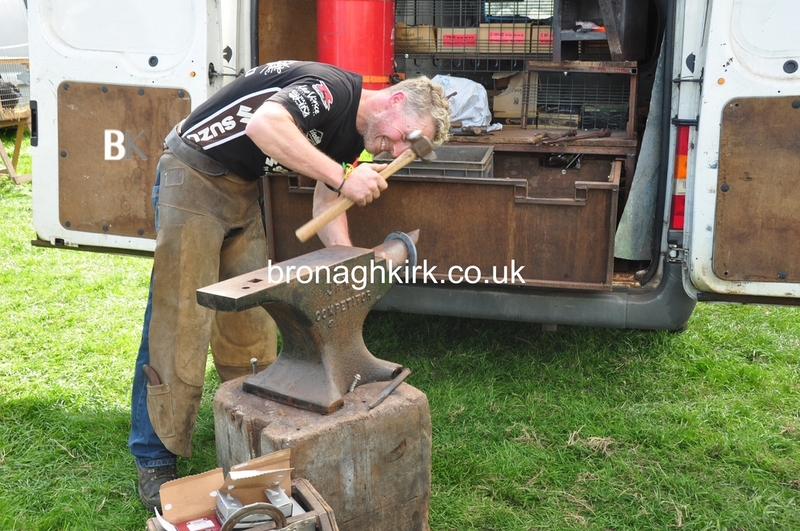 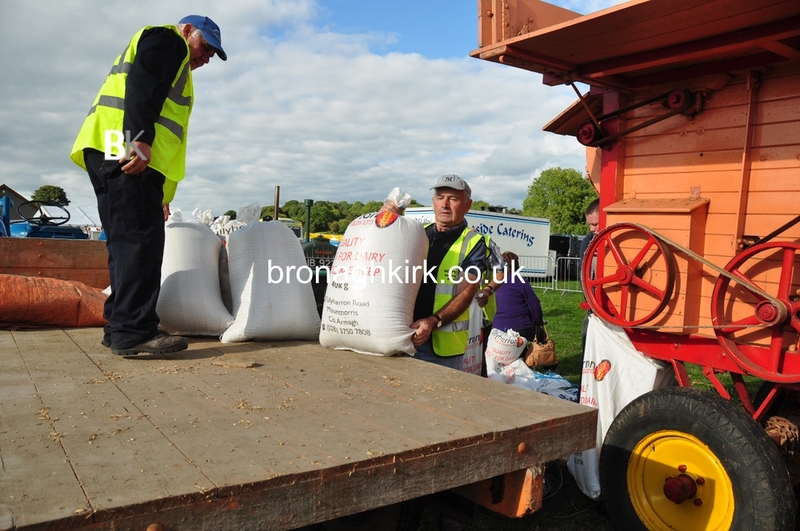 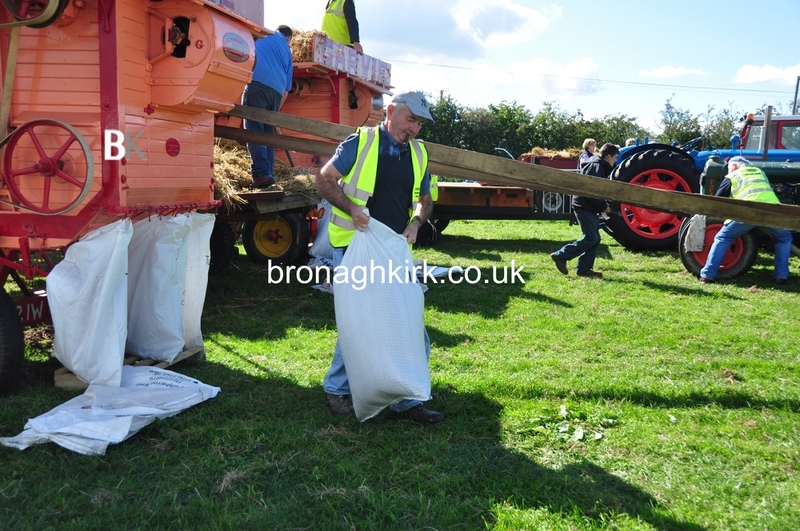 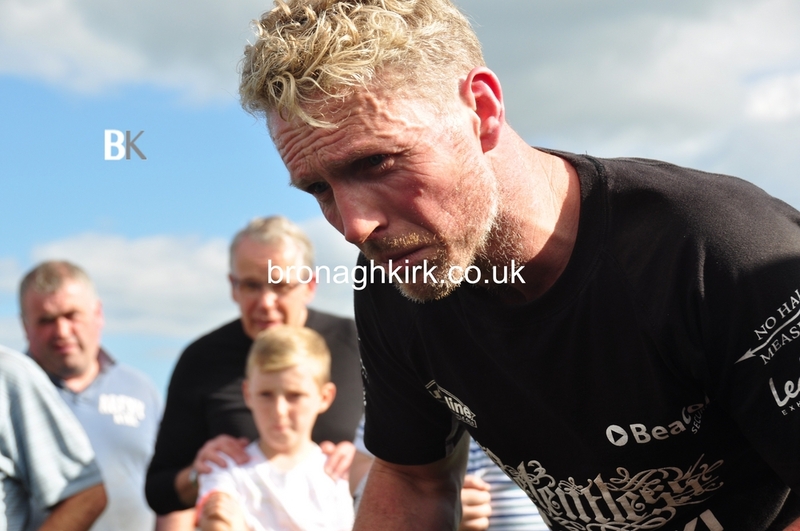 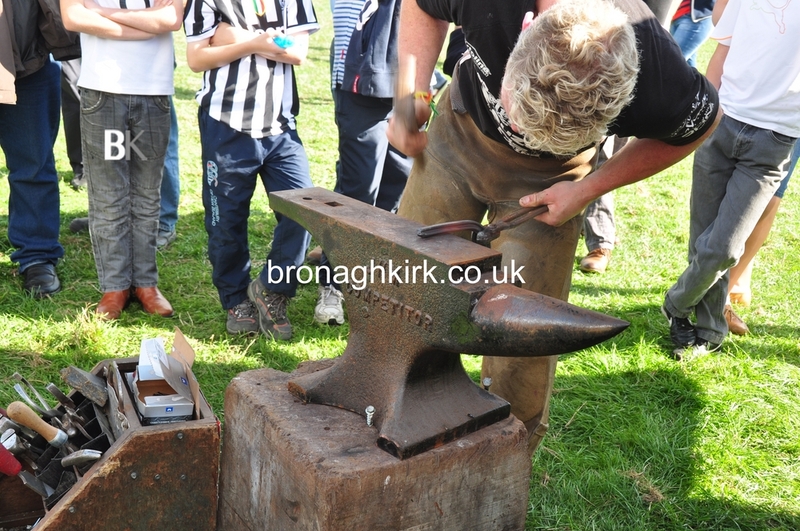 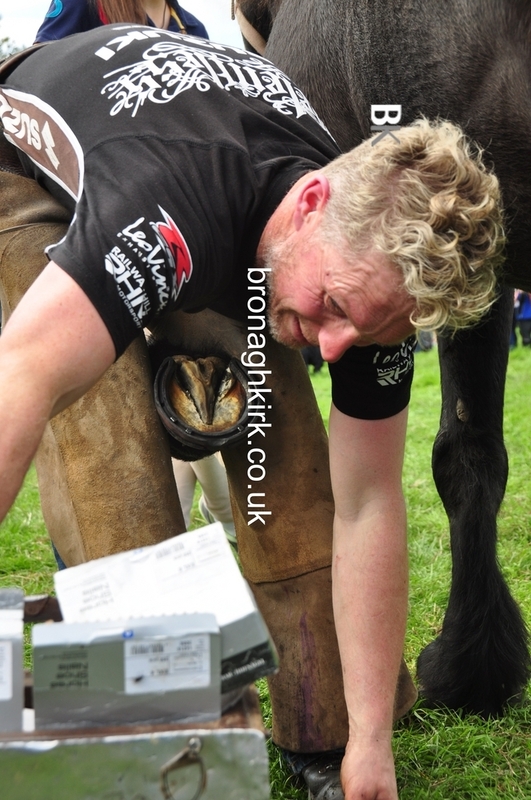 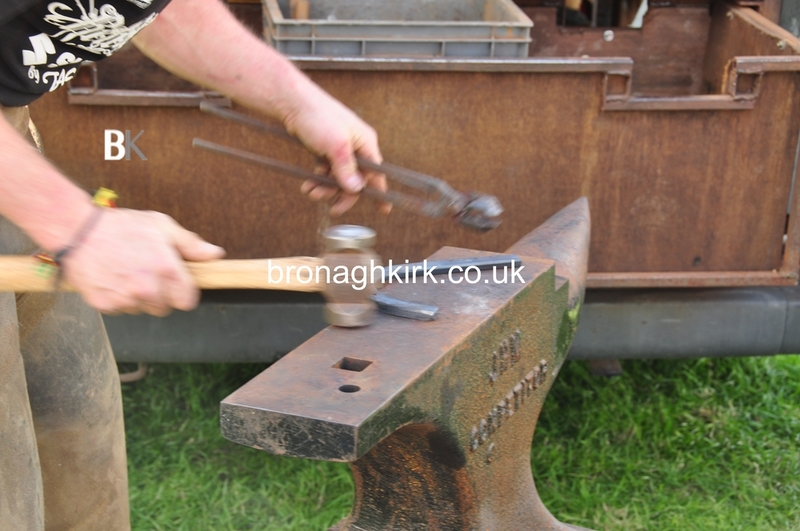 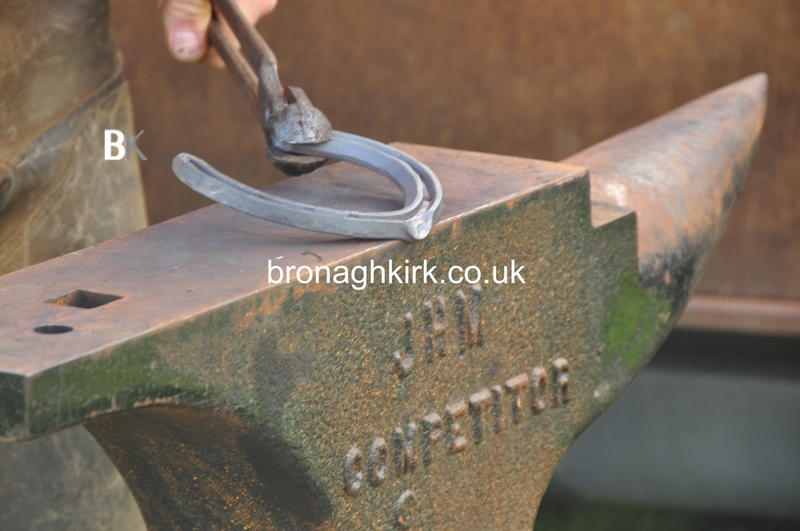 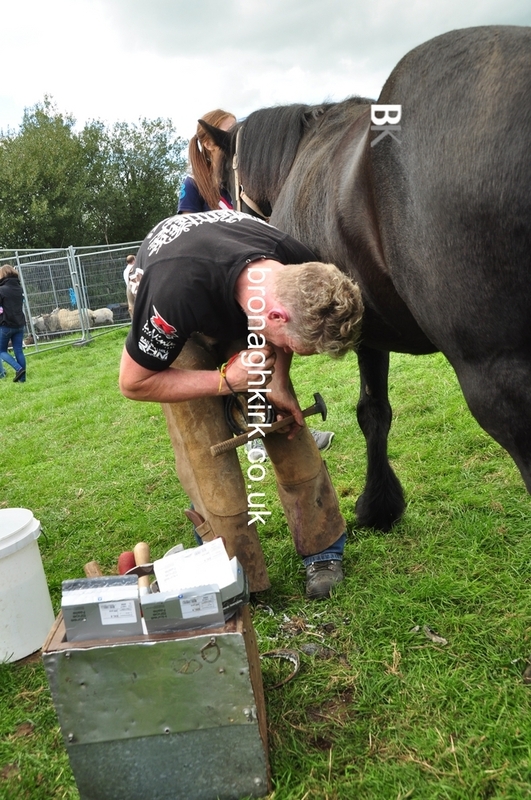 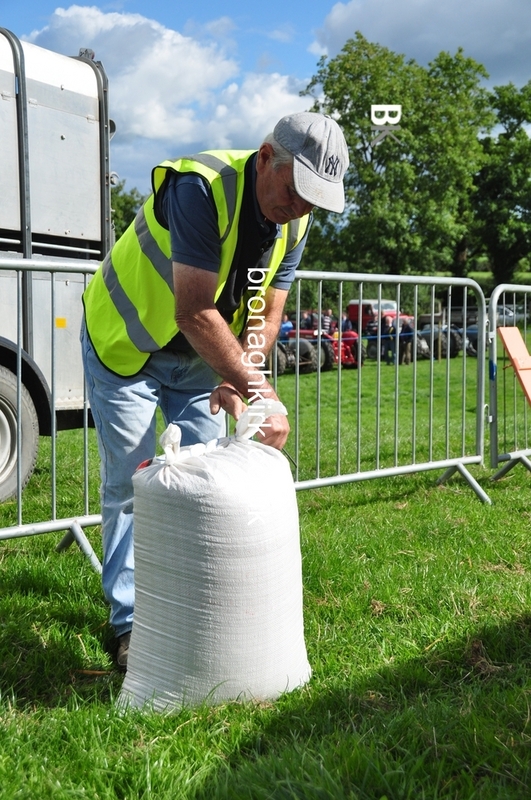 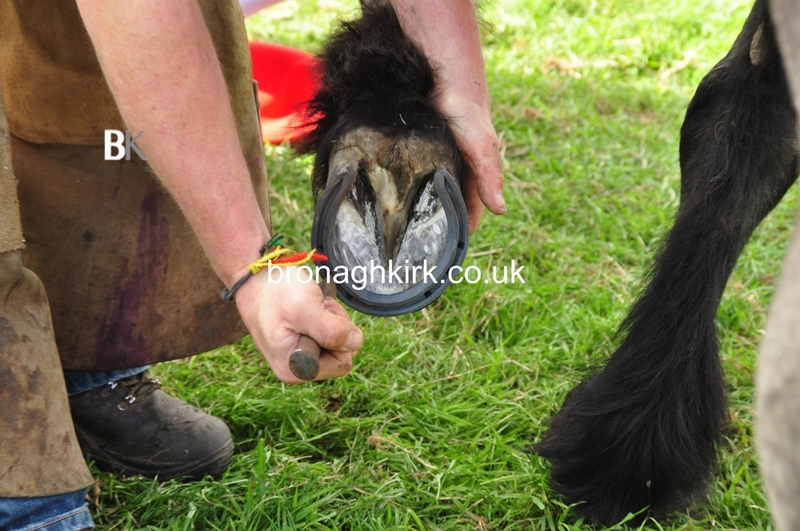 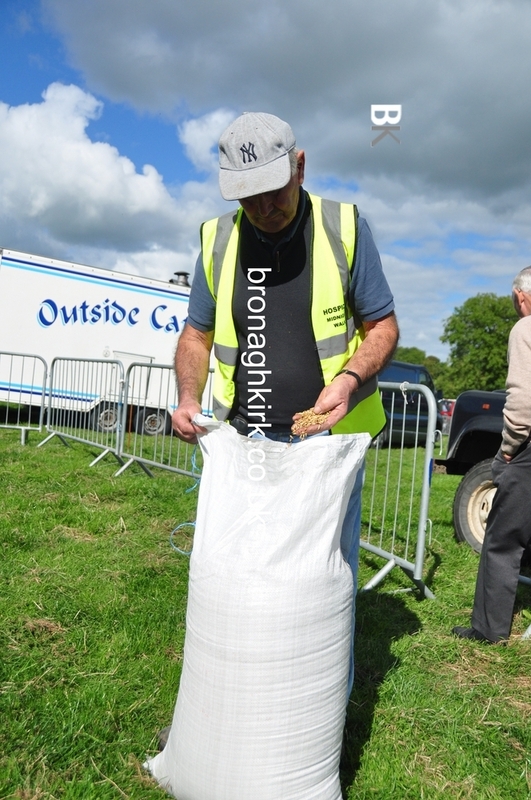 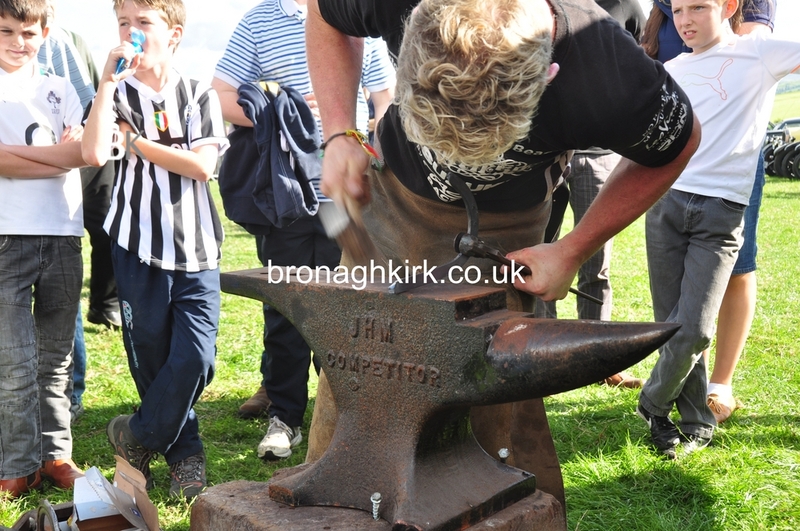 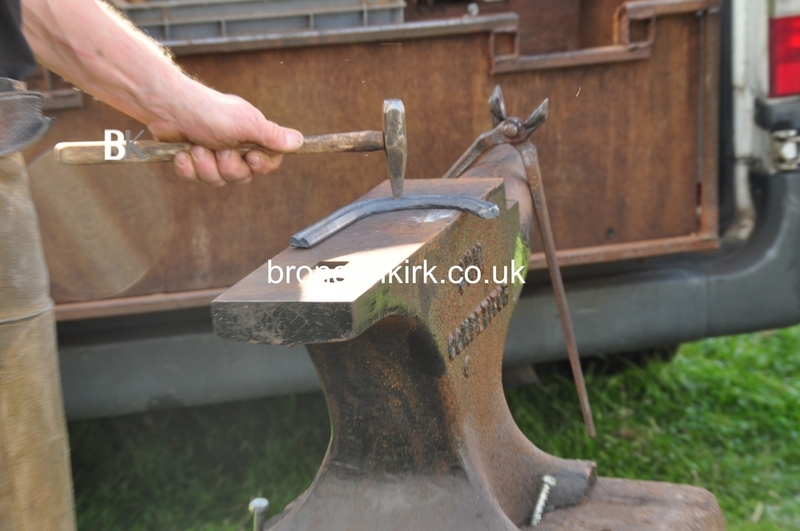 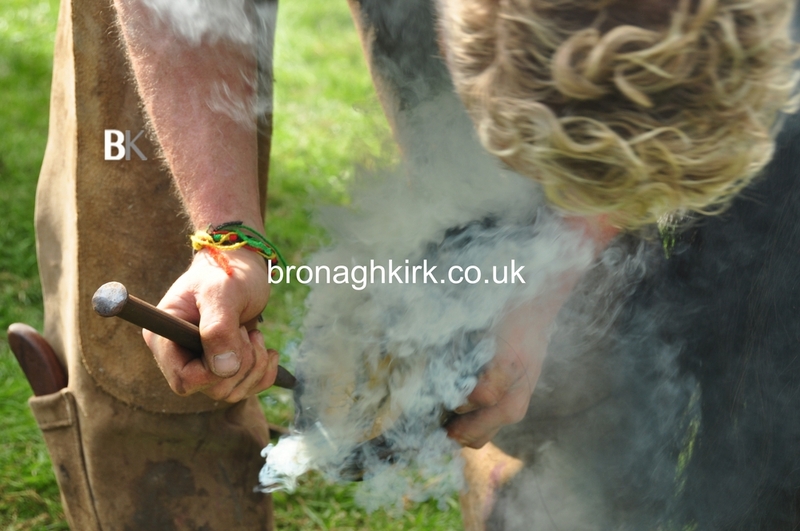 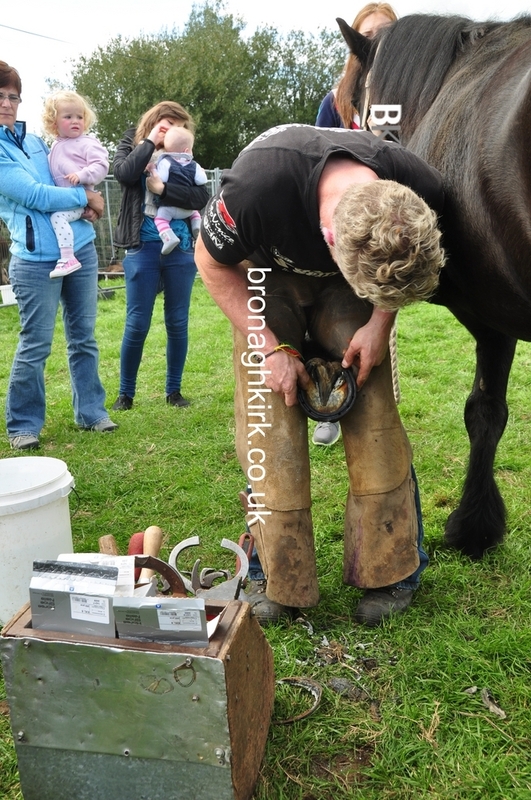 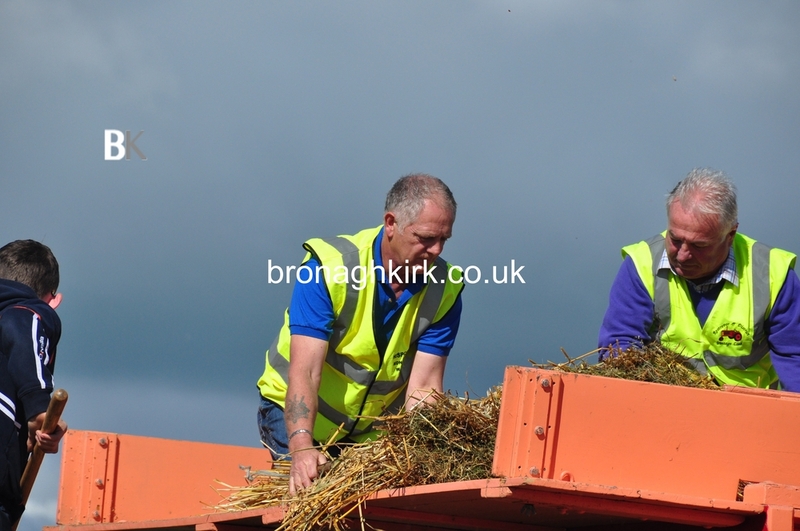 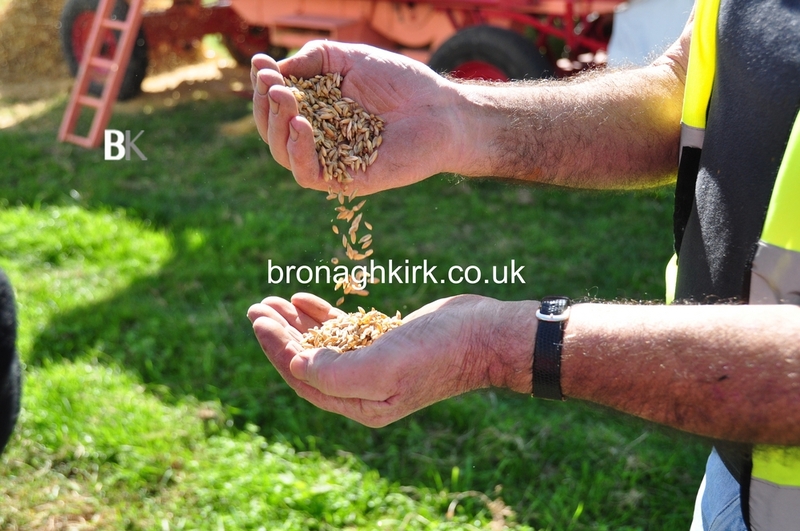 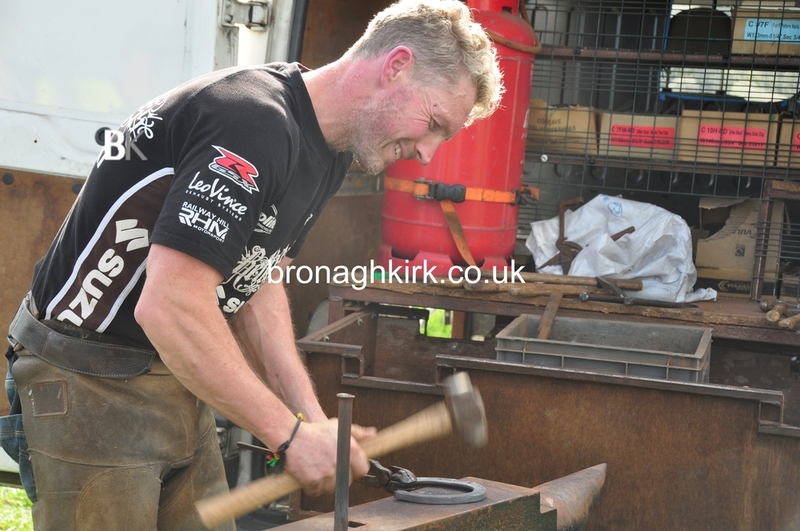 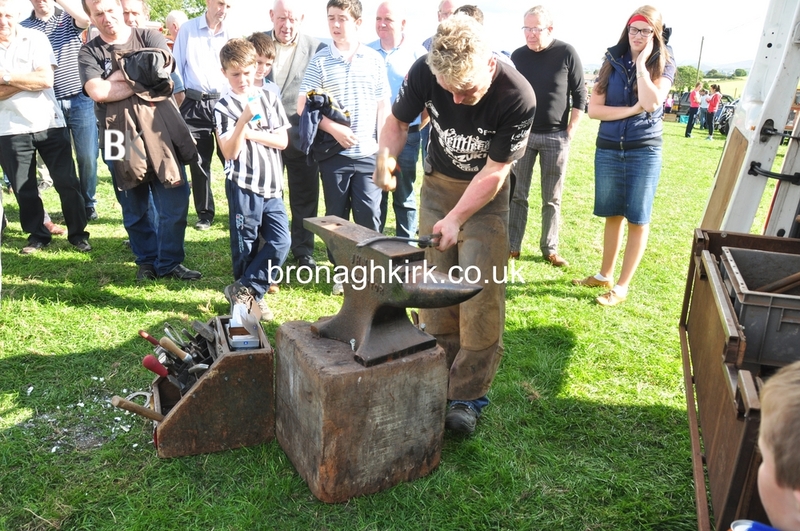 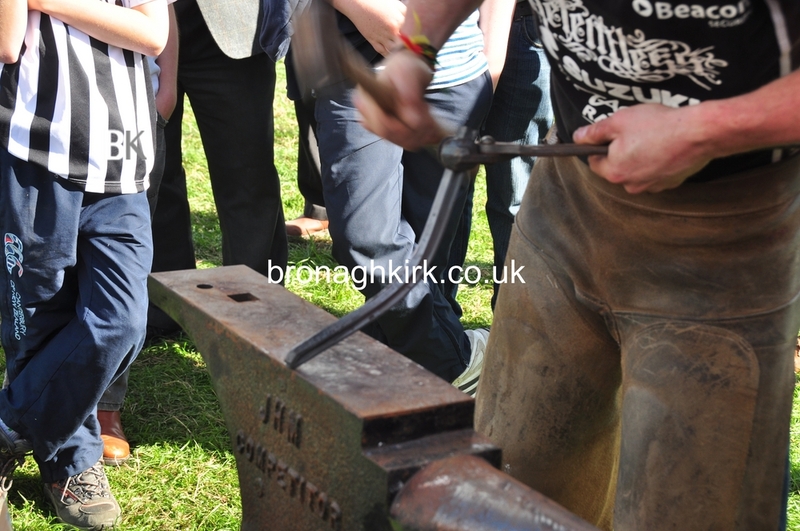 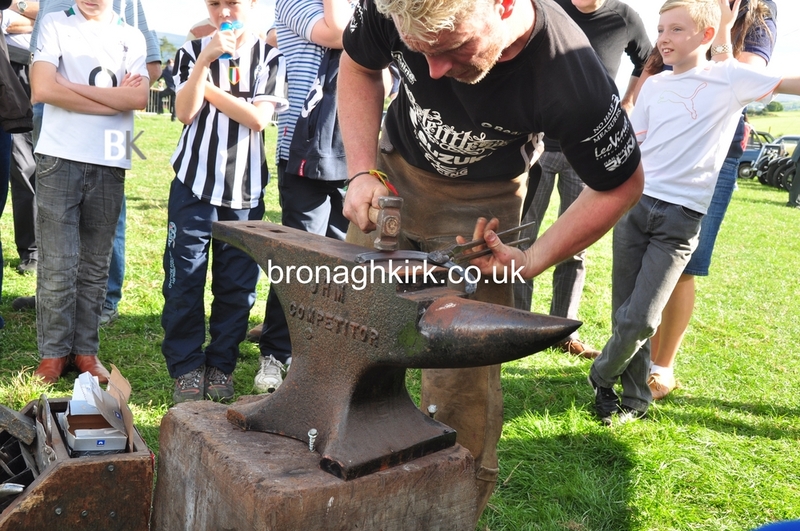 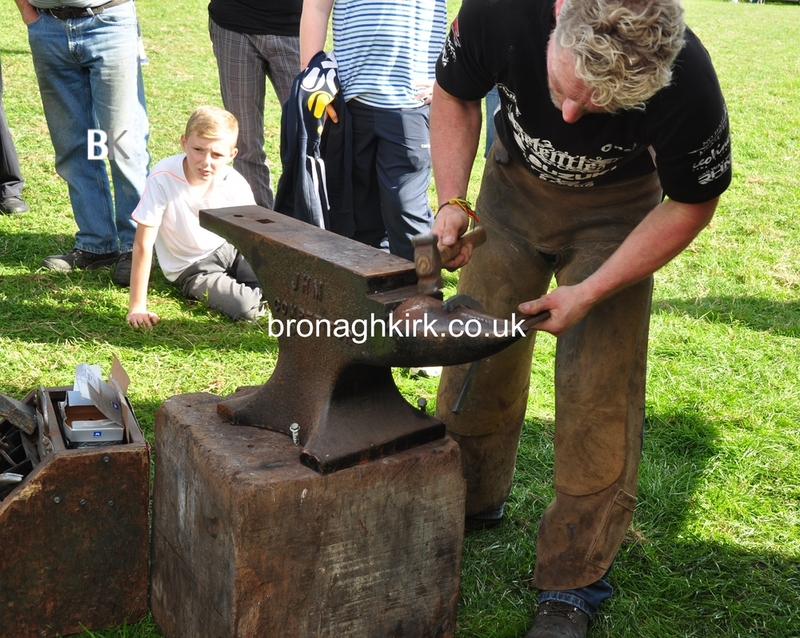 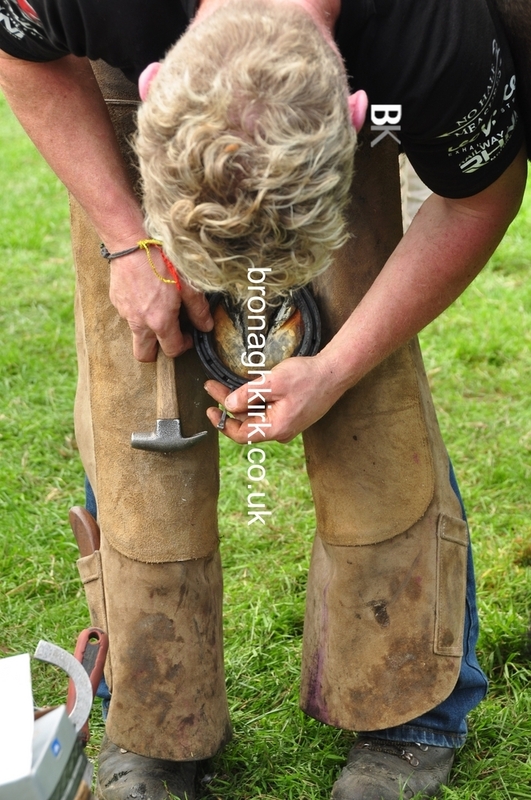 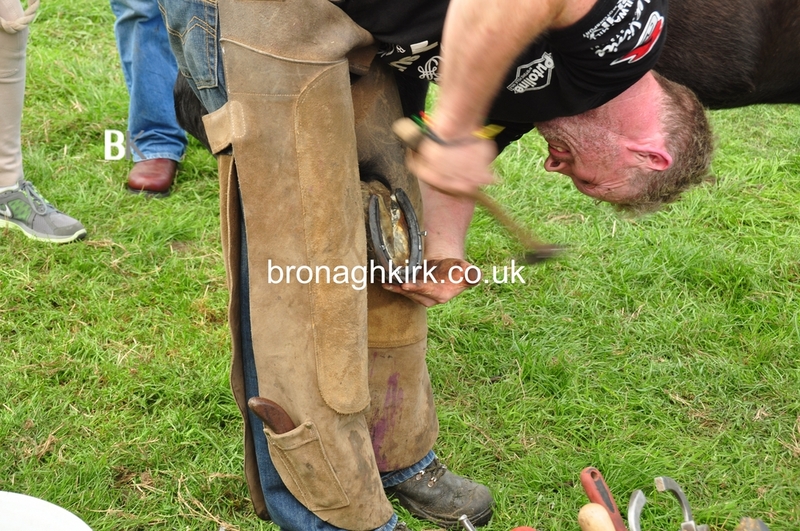 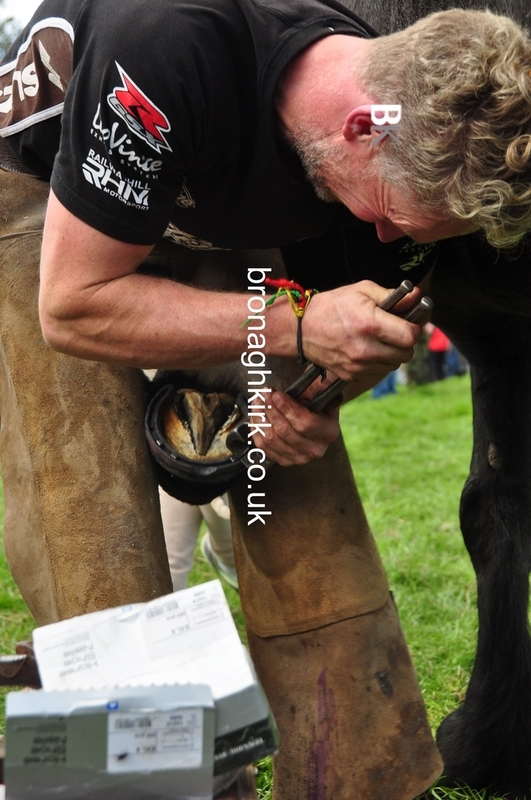 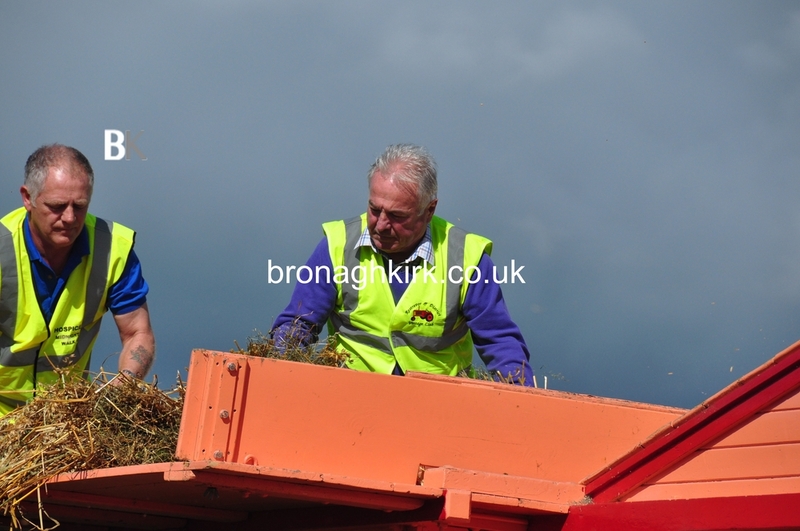 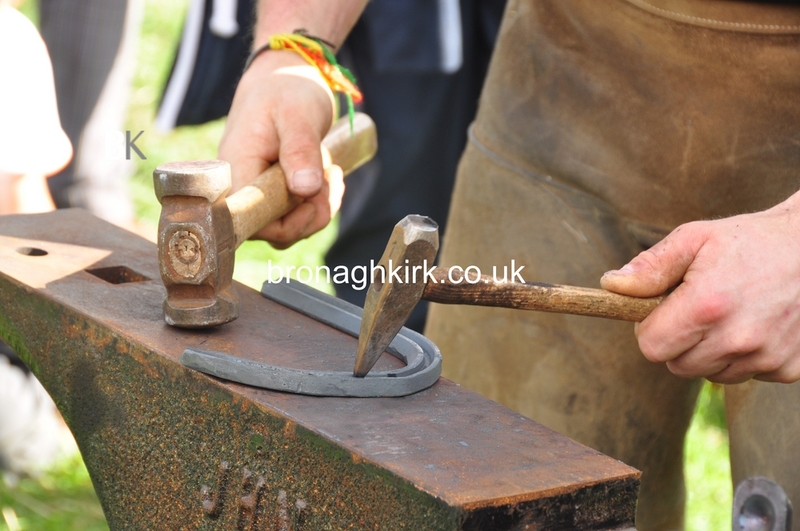 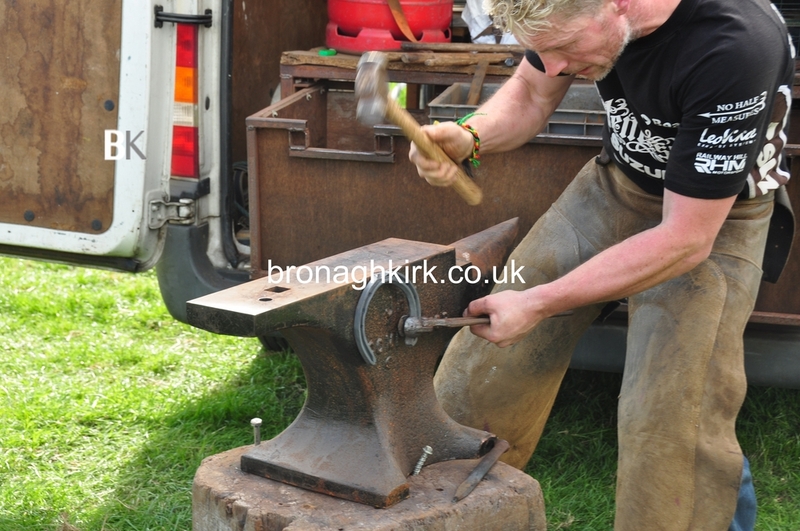 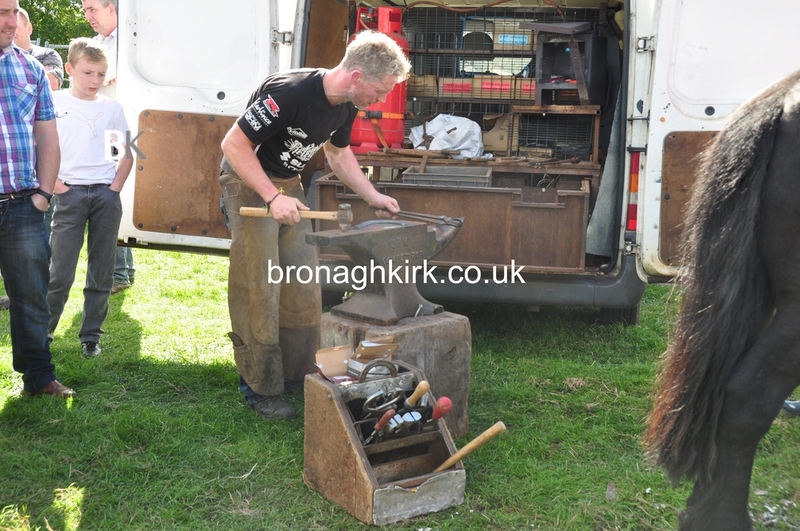 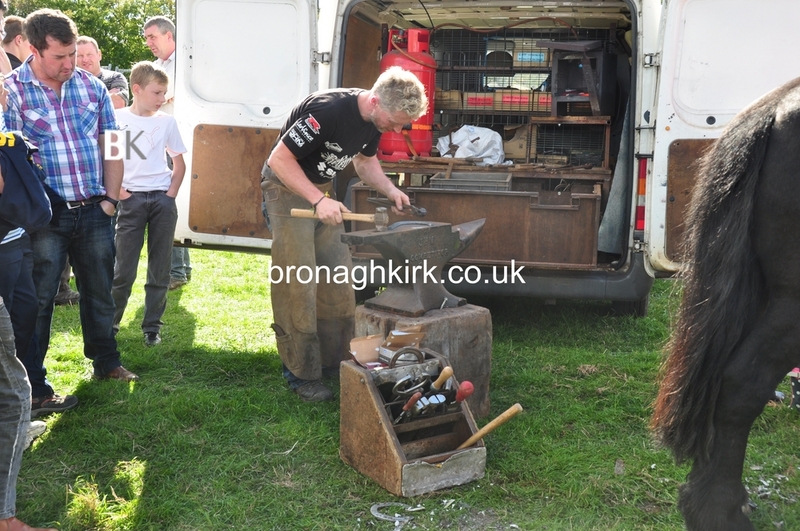 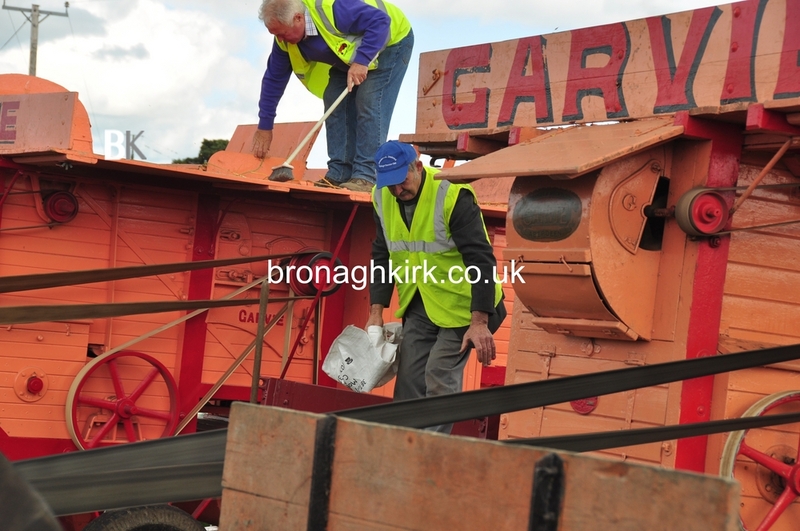 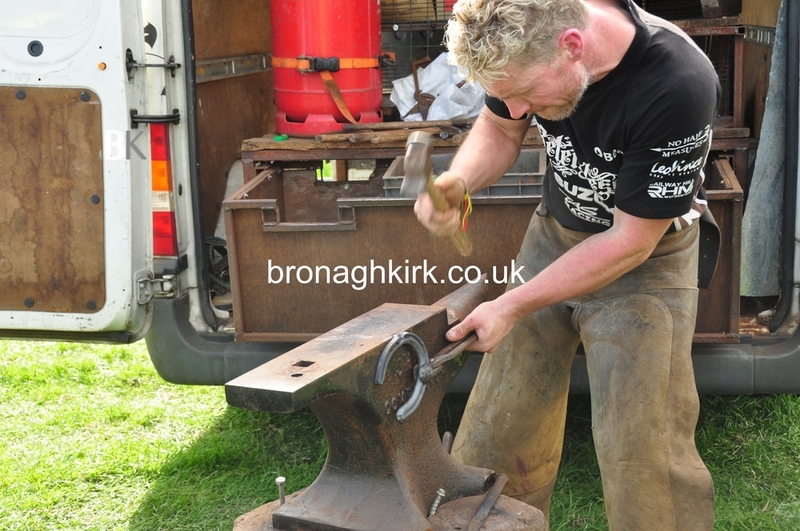 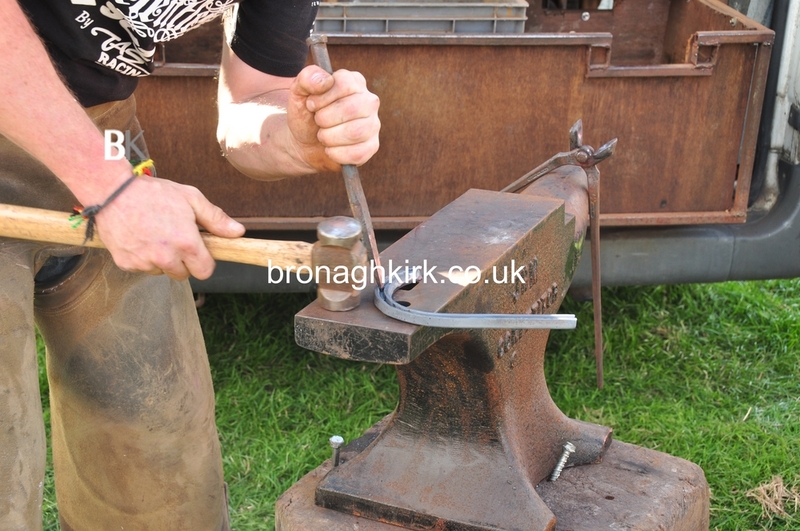 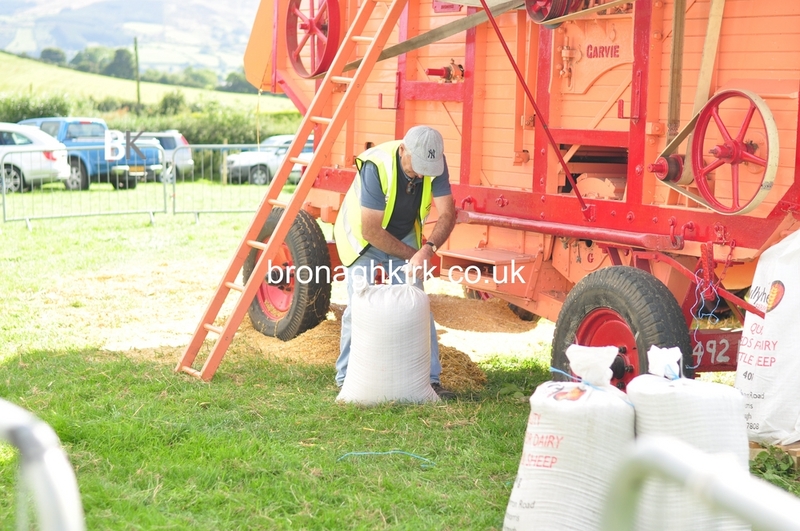 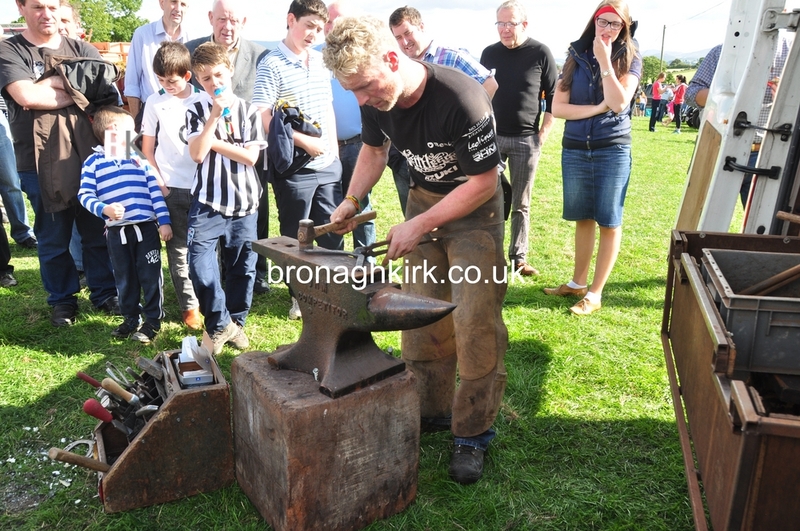 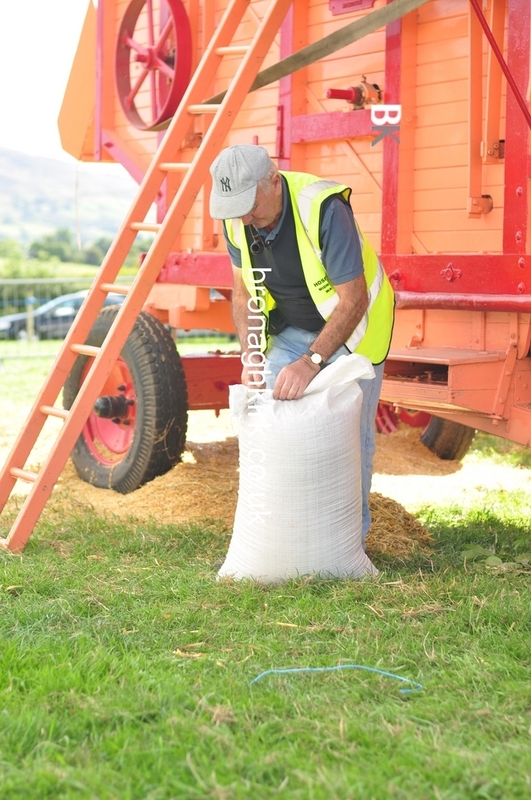 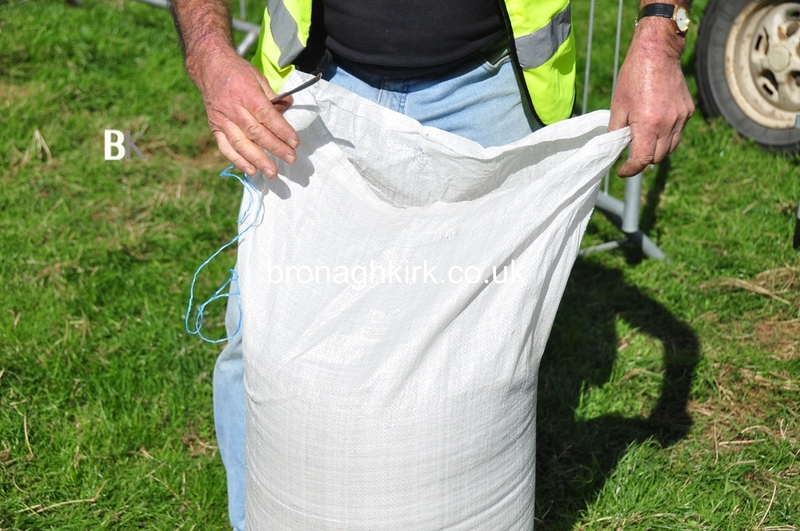 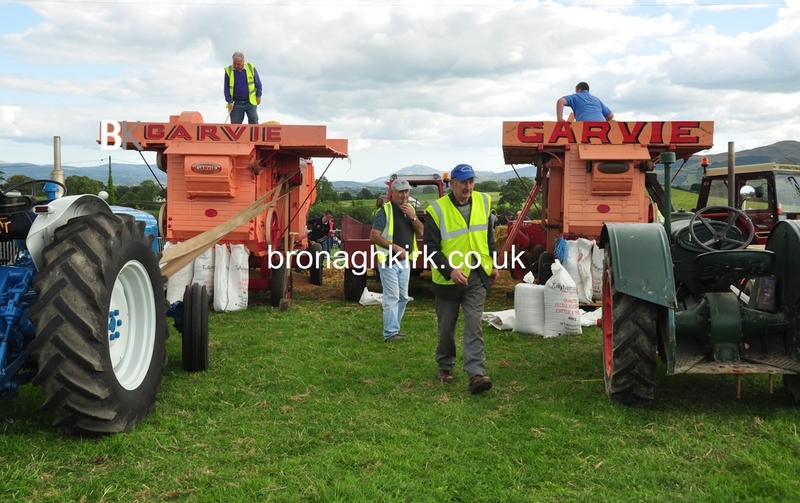 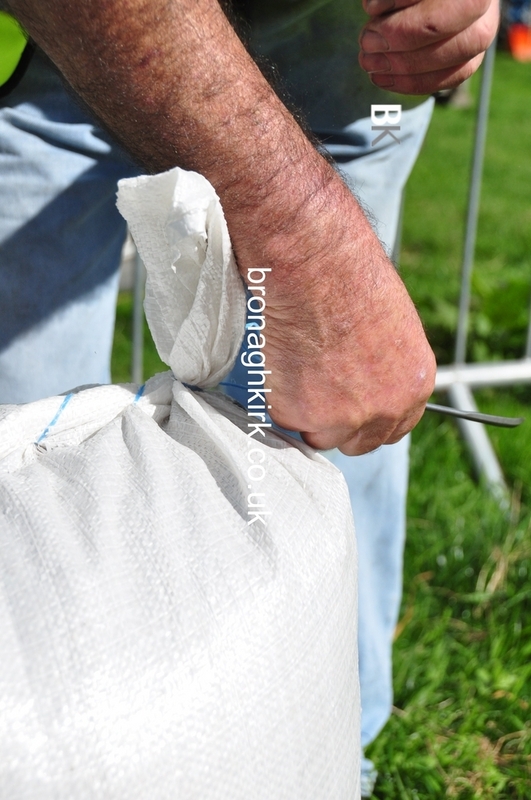 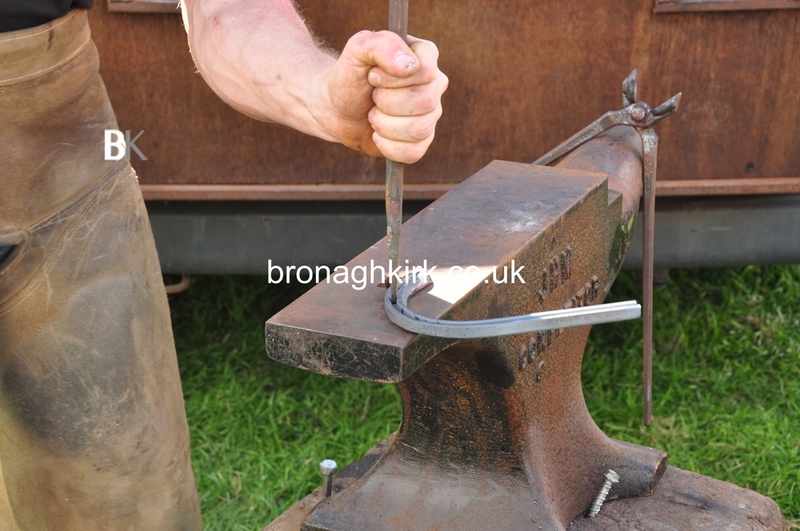 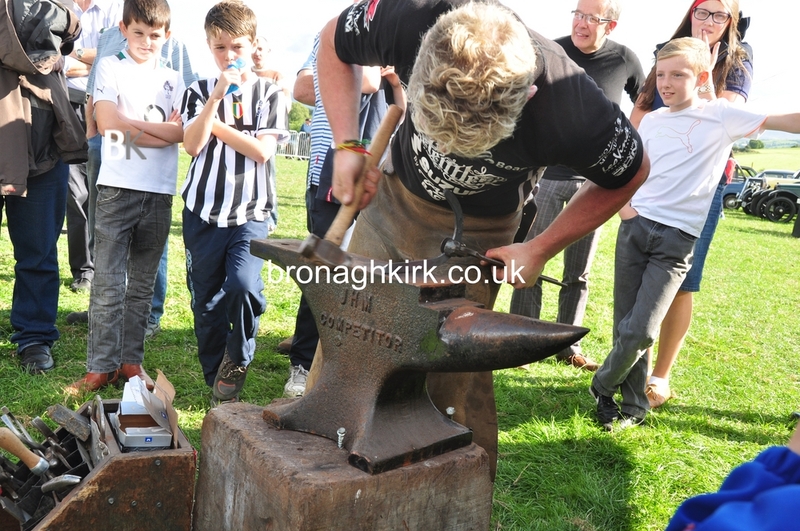 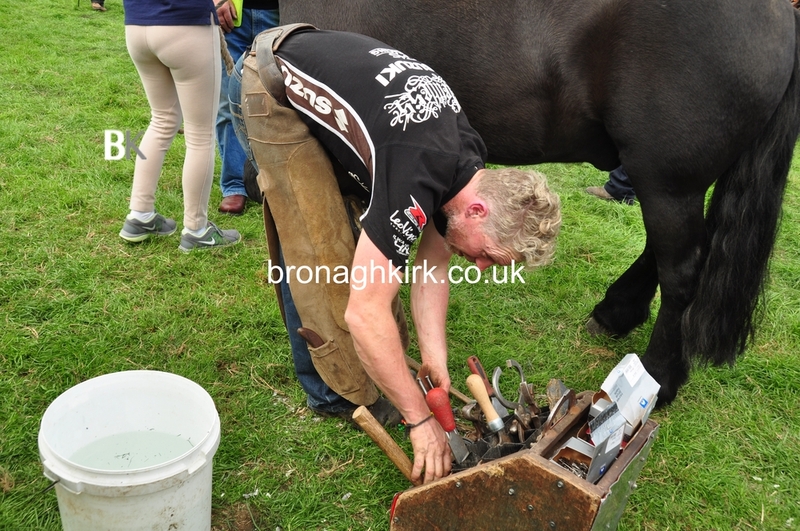 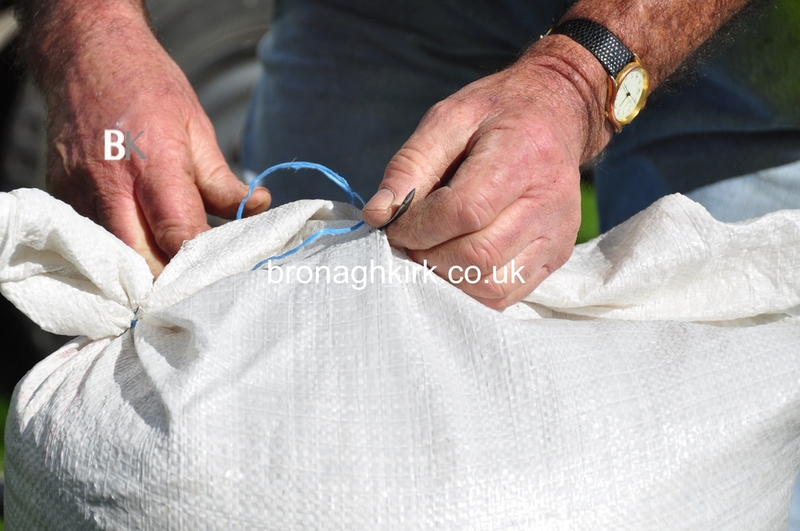 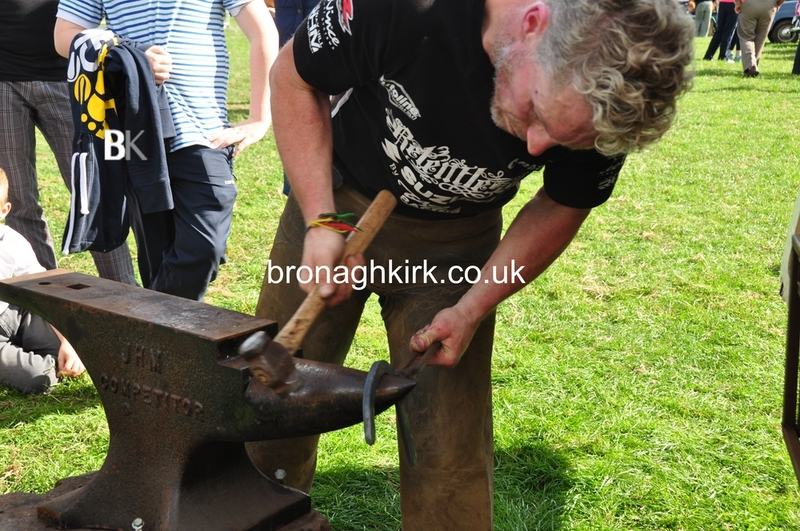 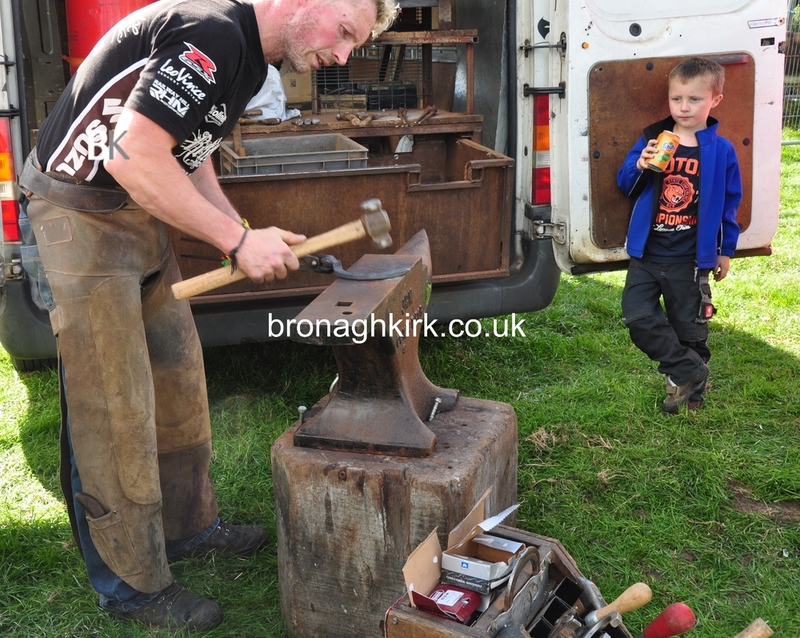 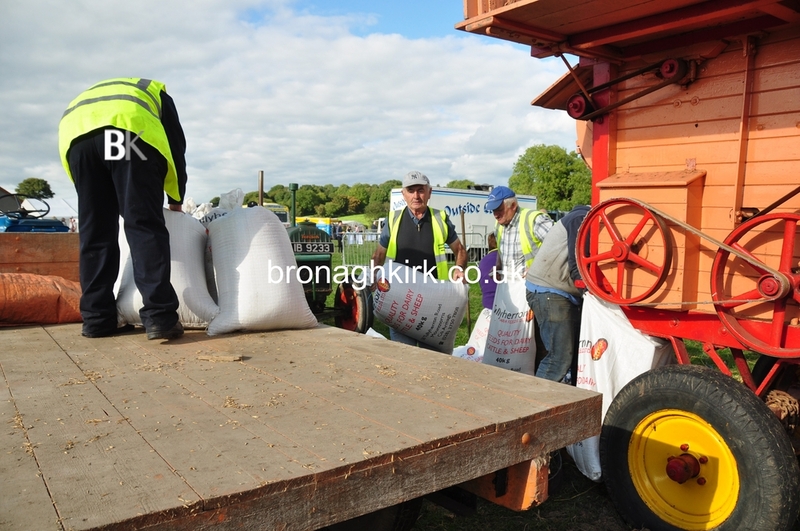 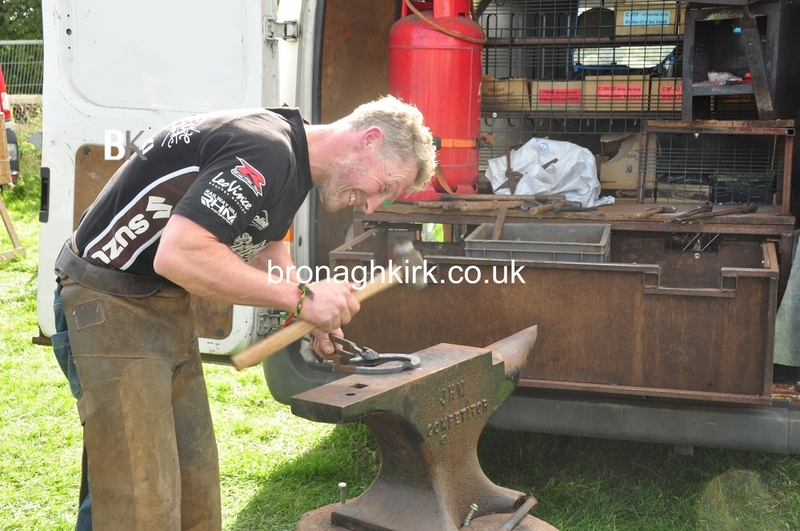 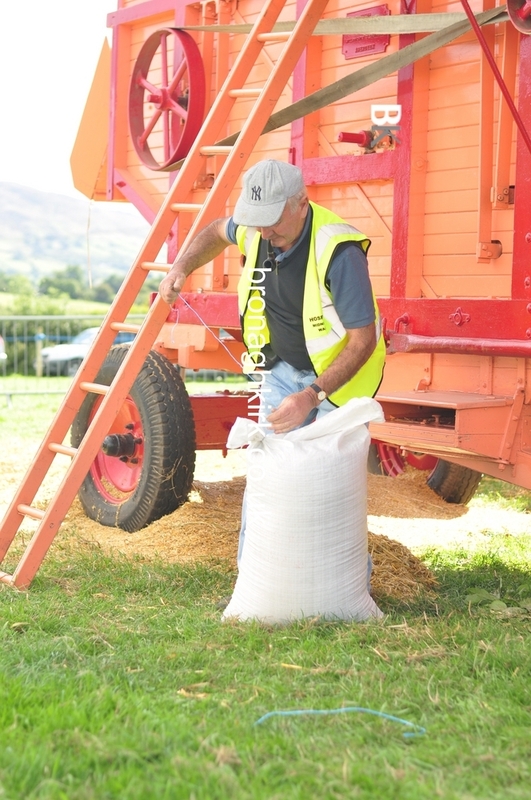 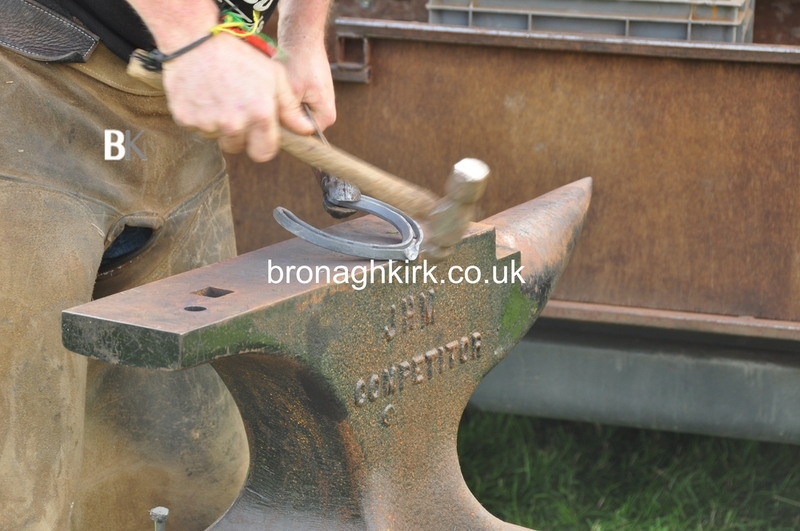 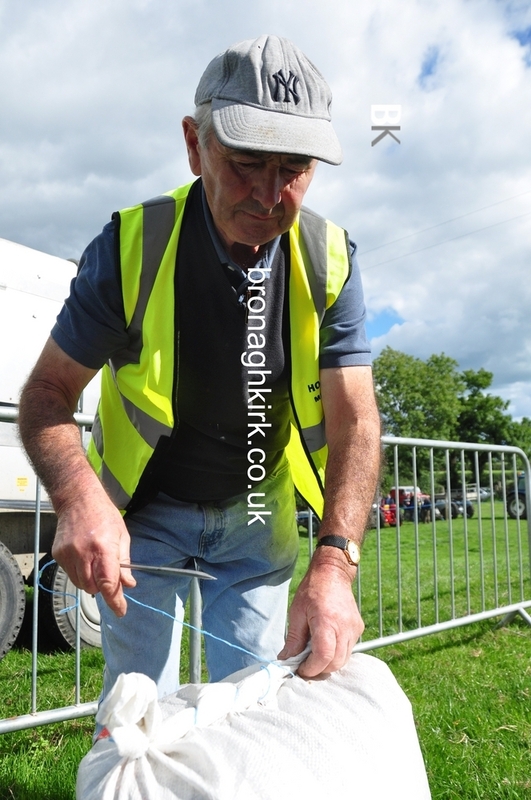 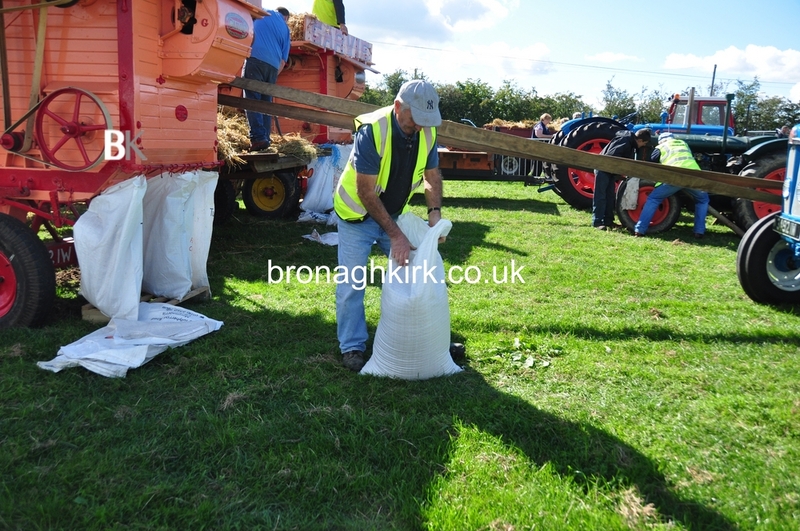 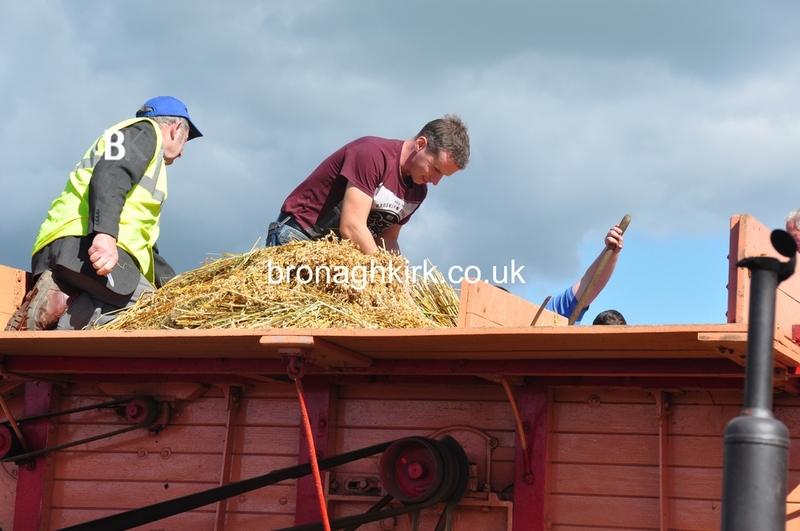 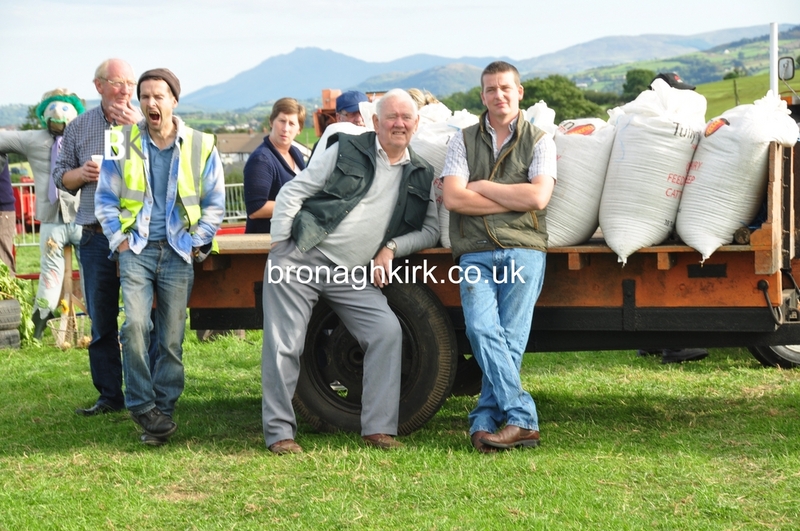 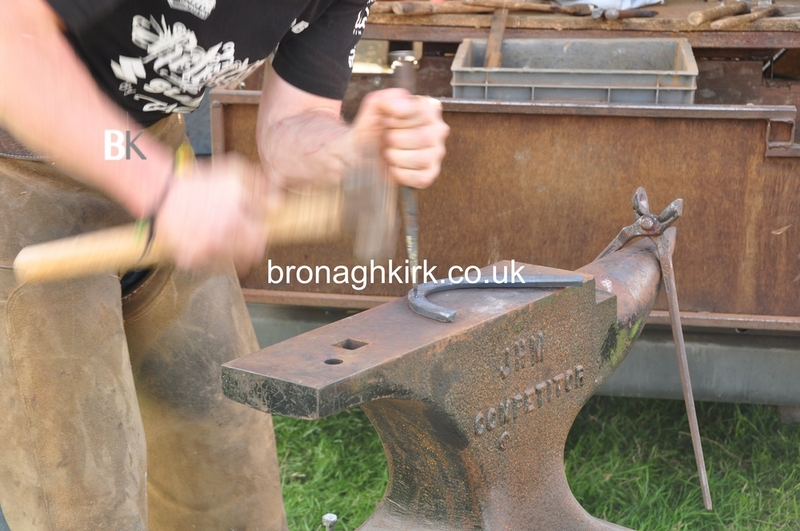 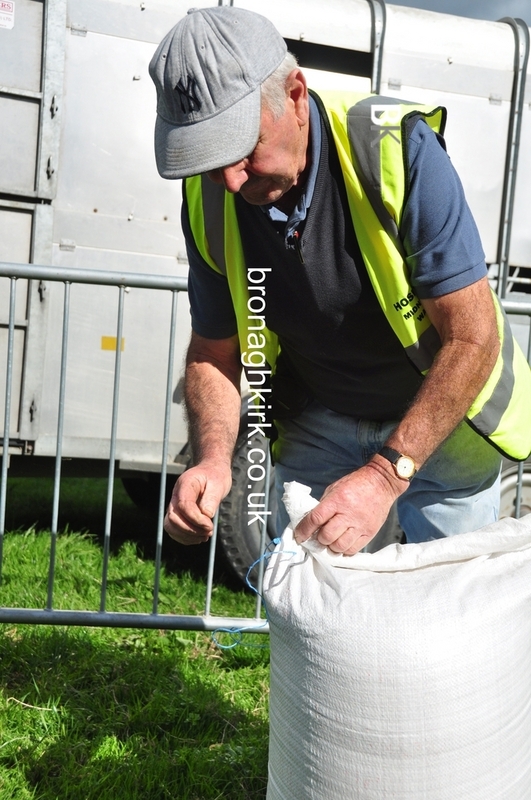 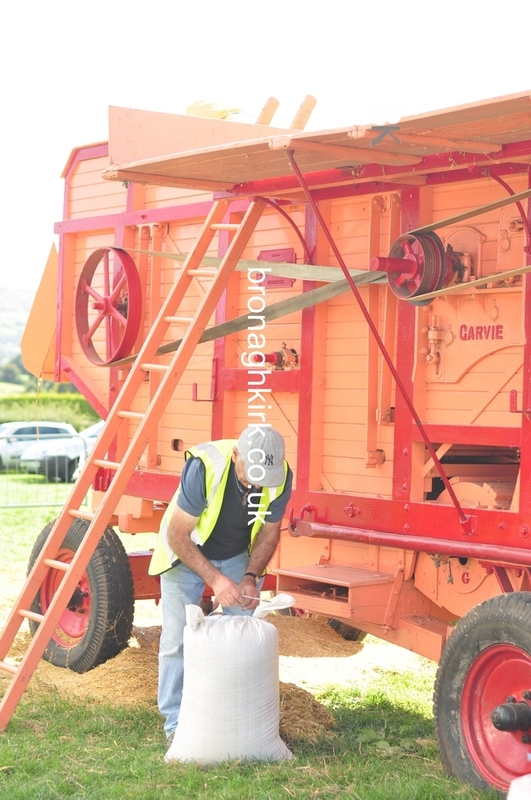 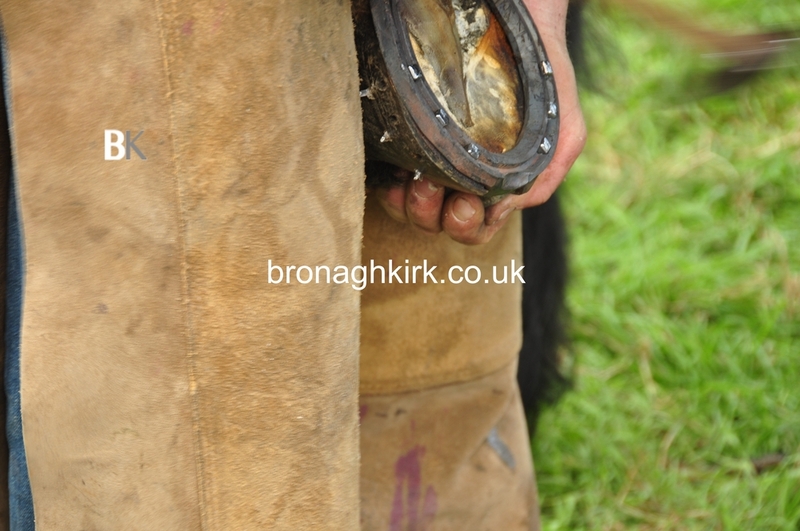 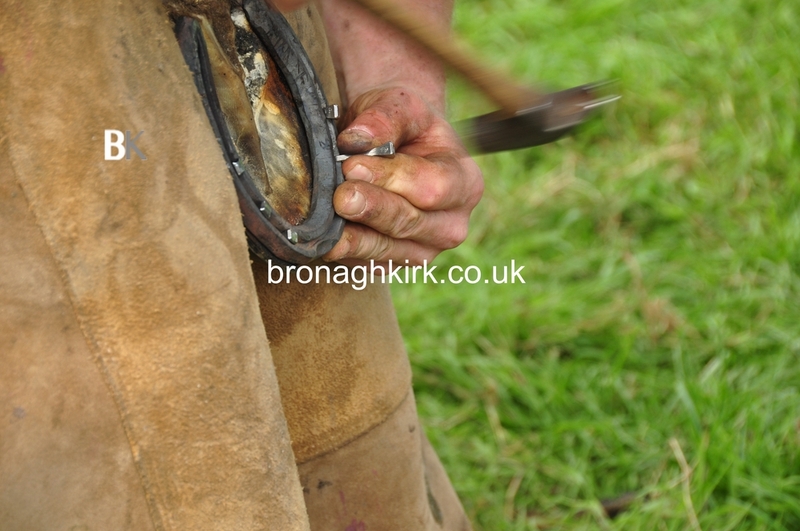 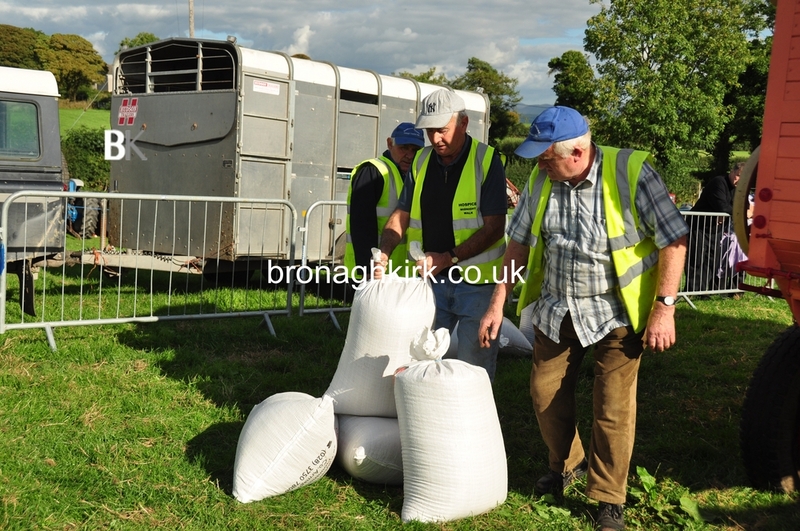 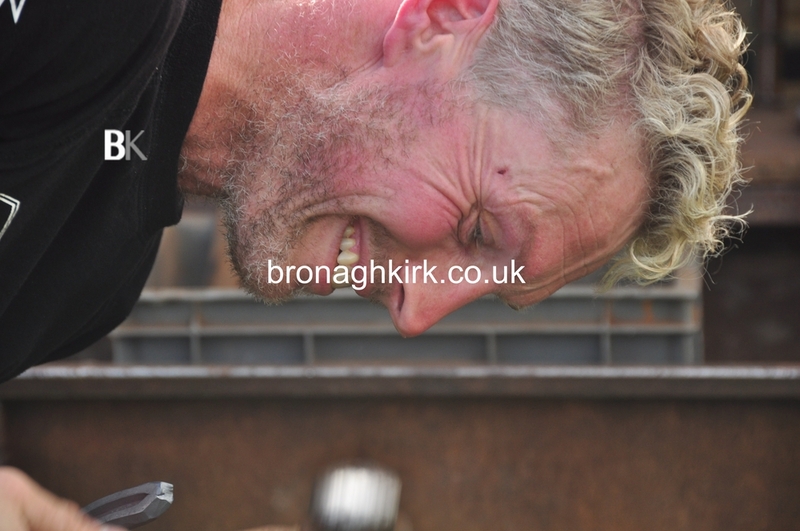 There are various photos taken at the event but my favourites of the day were the skill of Blacksmith Colin McCormick (Surefoot Harrier) and Bernard Connolly showing us the old method of securing the bags of seed. 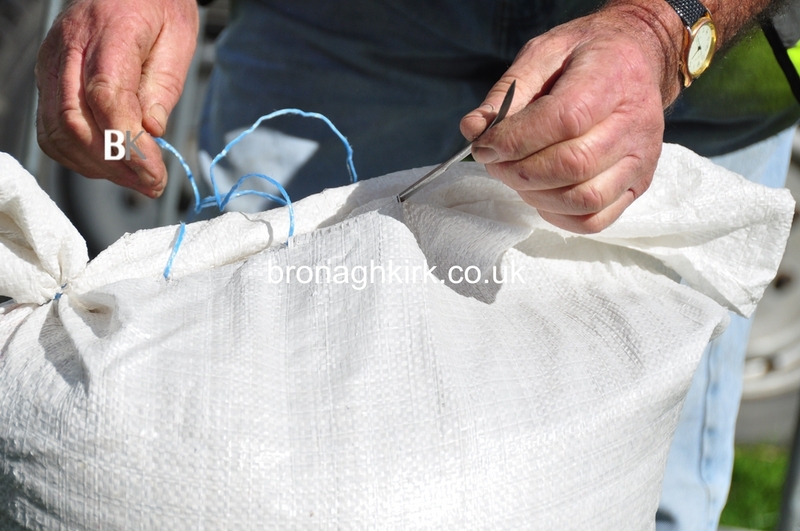 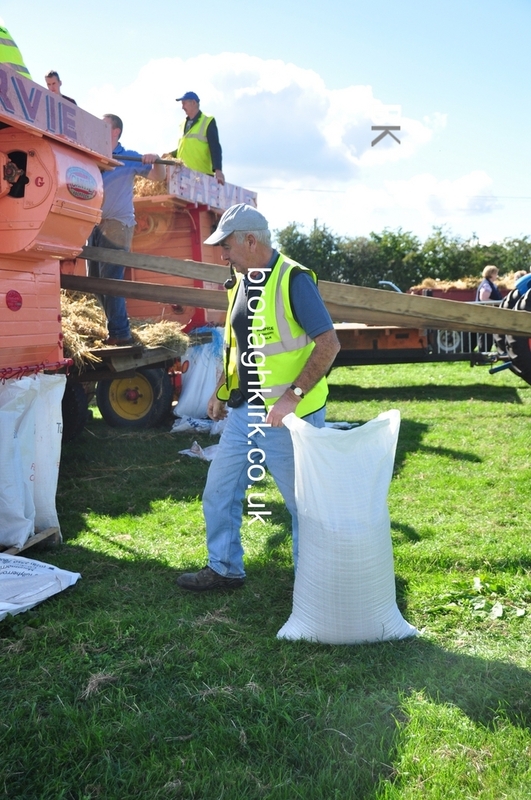 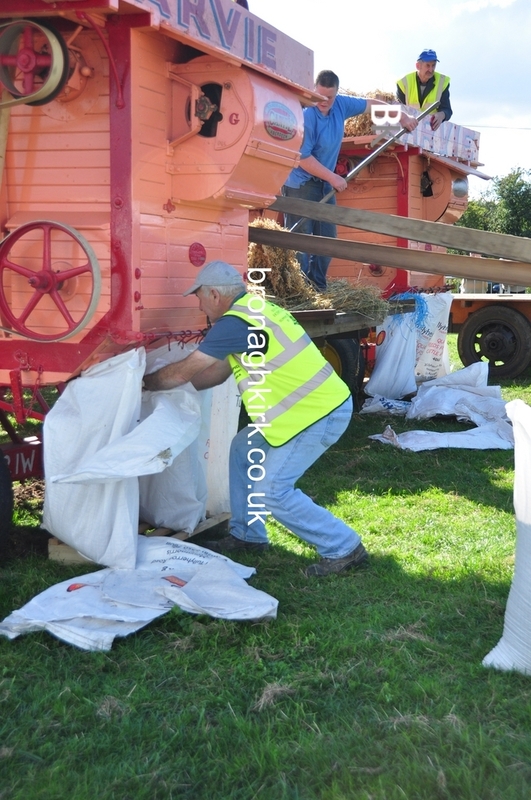 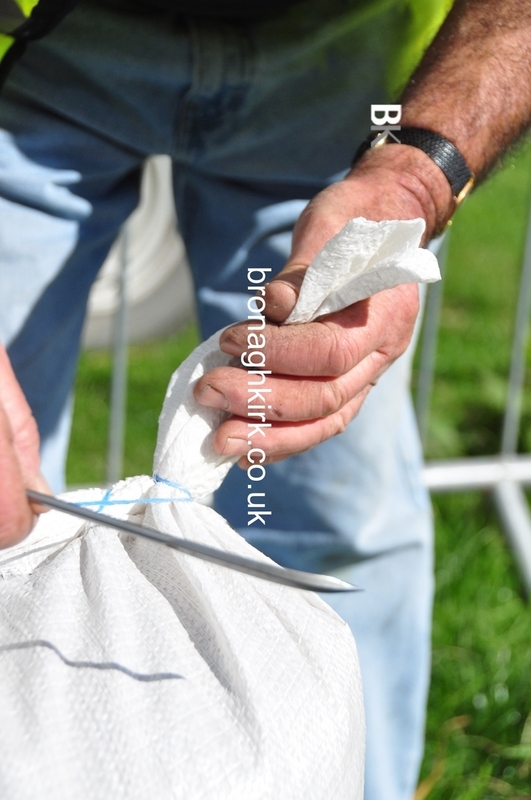 Bernard did the job of Bagger who is the person replacing the bags on the back of the thrasher when filled with seed as well as The Sewer who sewed the top of the bags with a packing needle with the two ends sticking up like 'Donkeys Ears'. 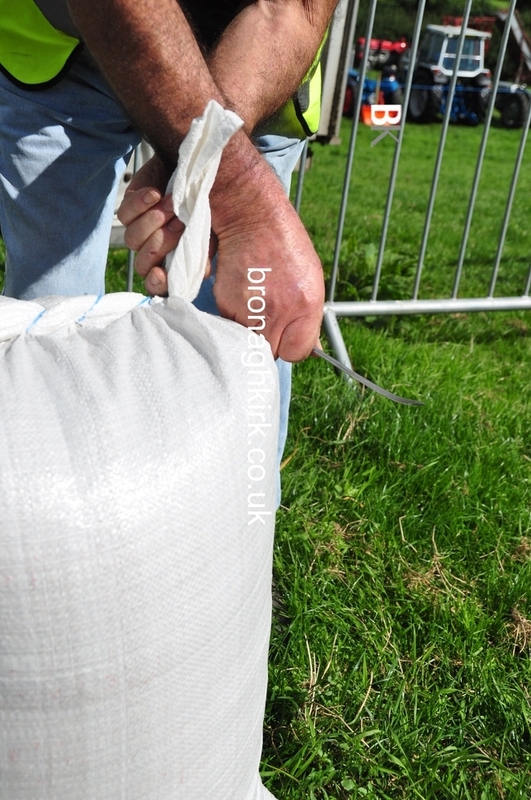 This made the bag easy to lift and lay. 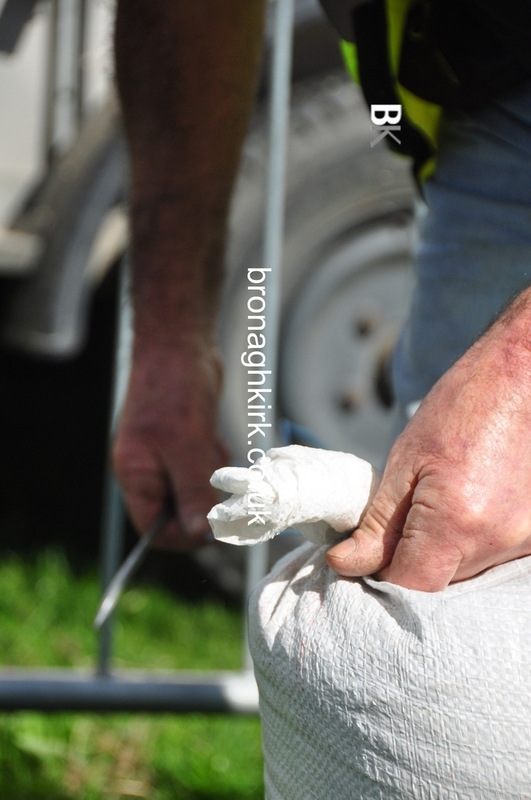 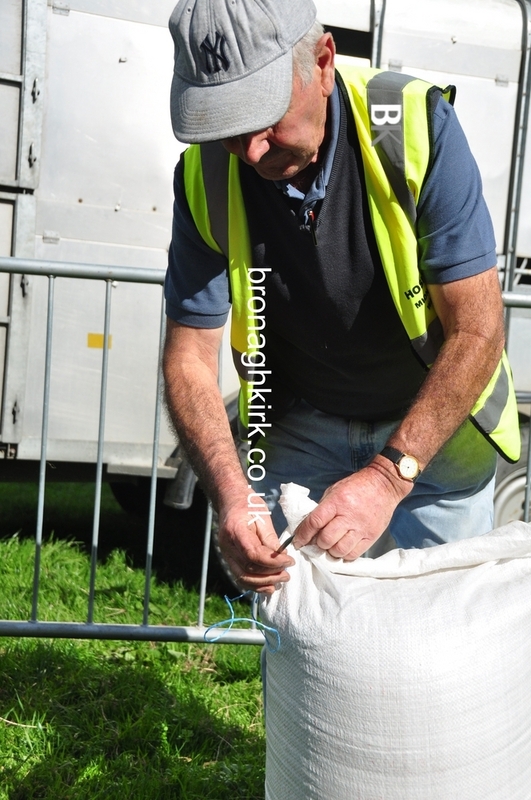 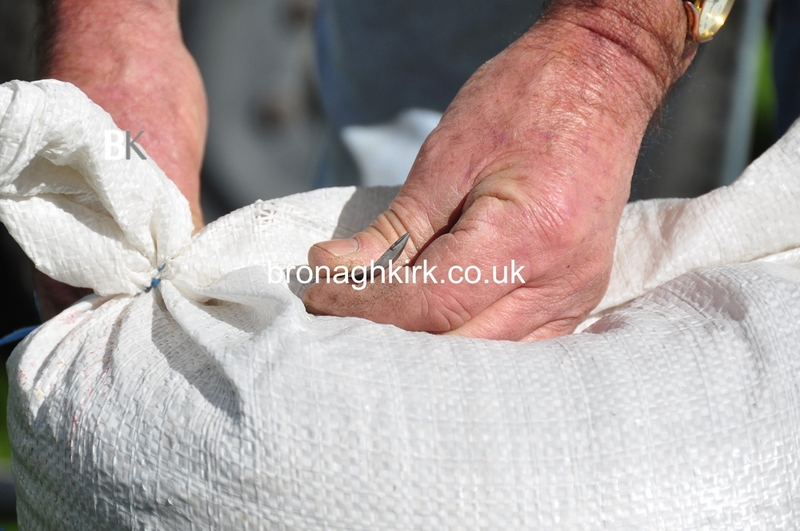 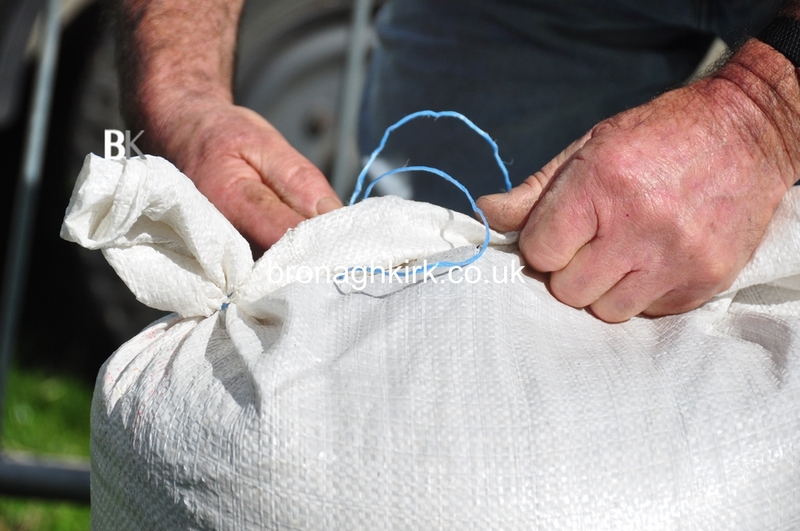 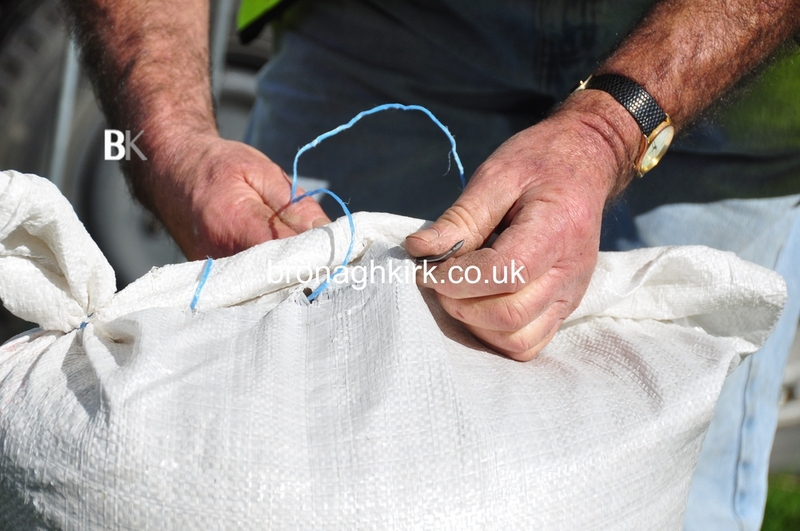 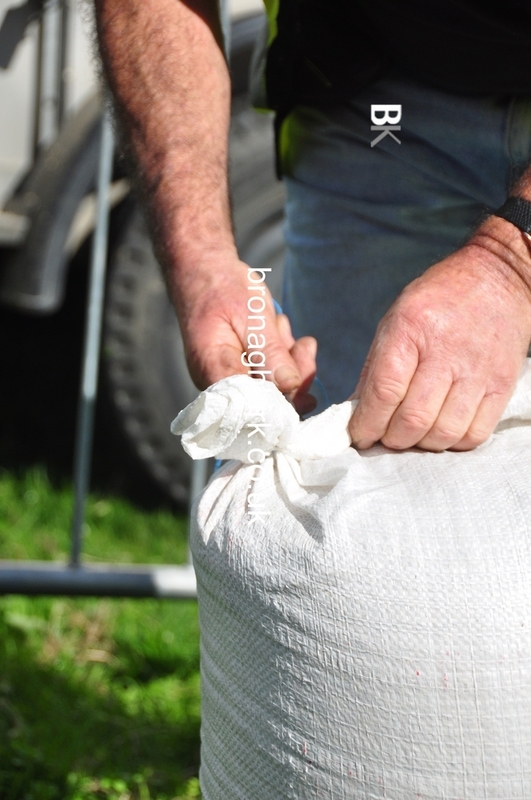 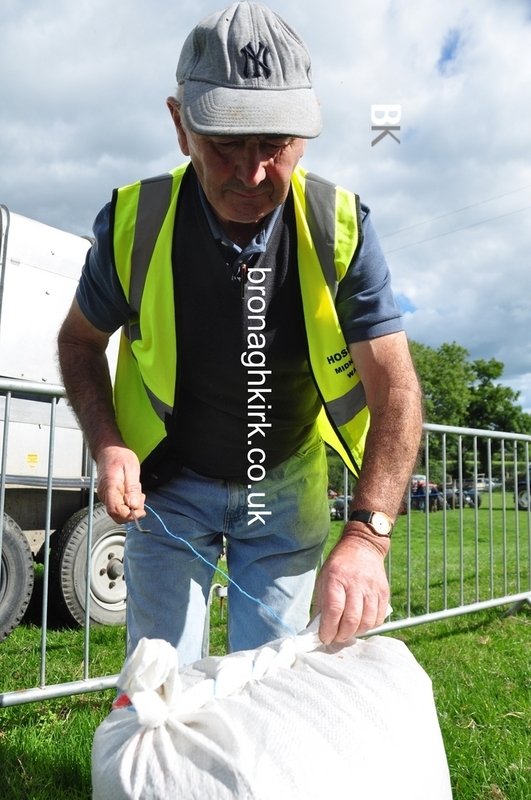 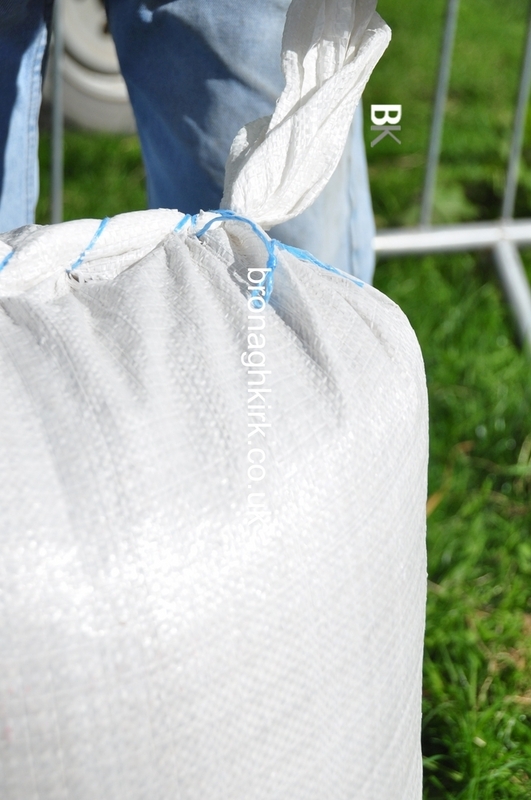 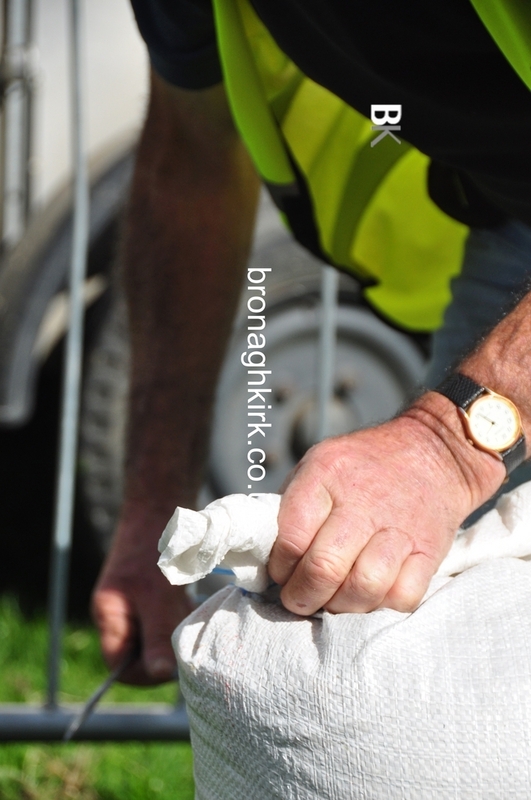 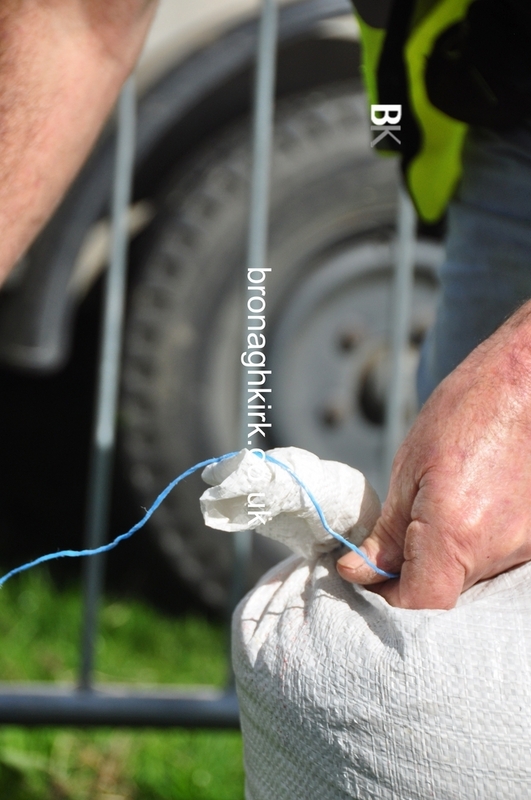 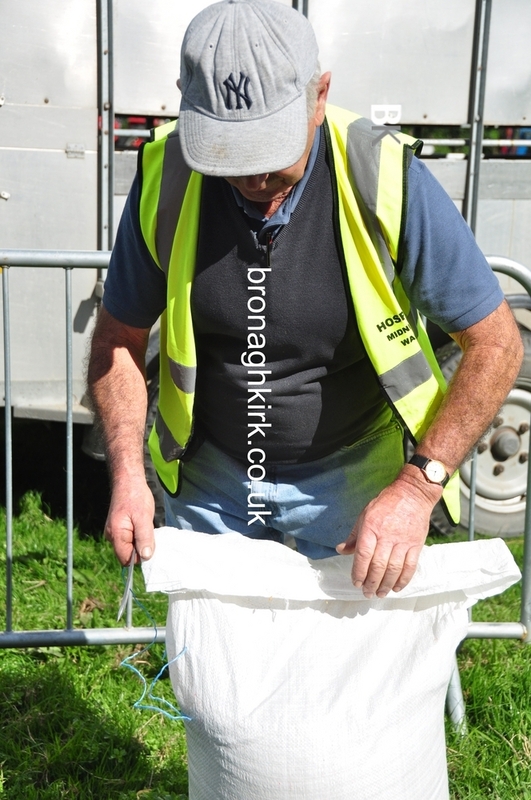 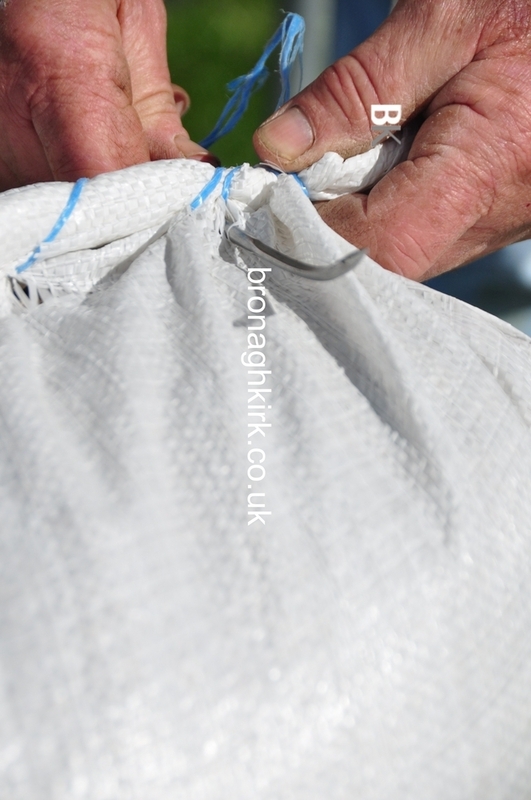 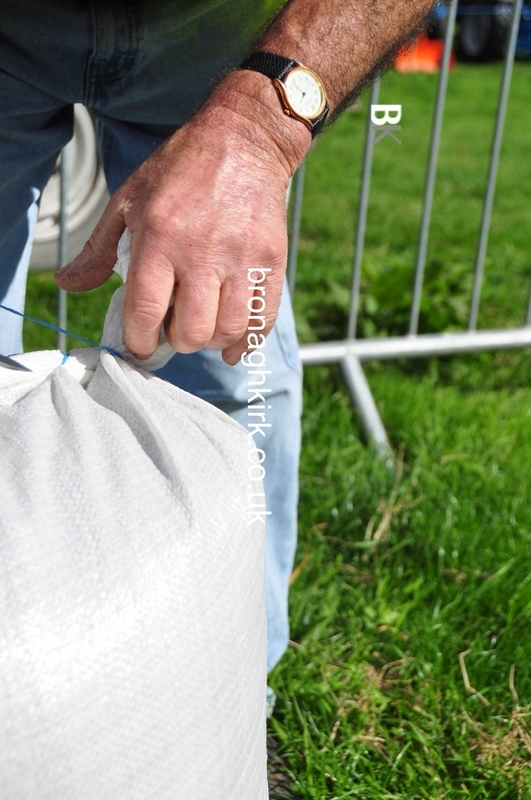 In earlier times the bag would have been made from Hessian or Jute as would the string. 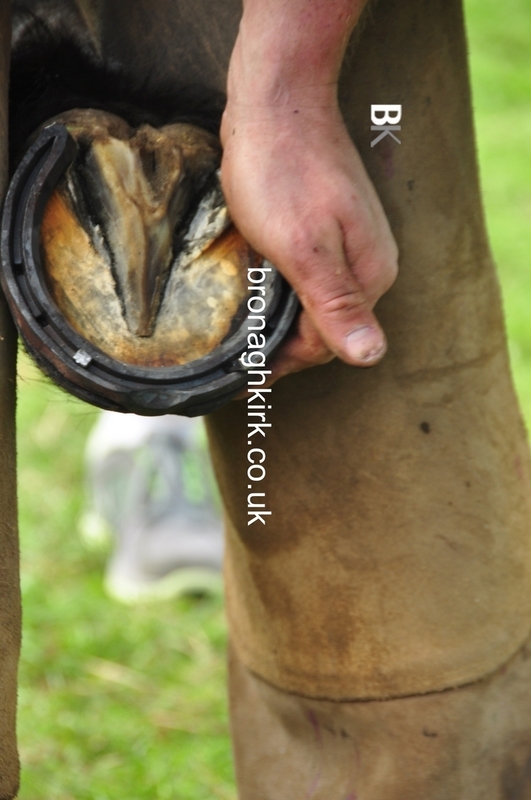 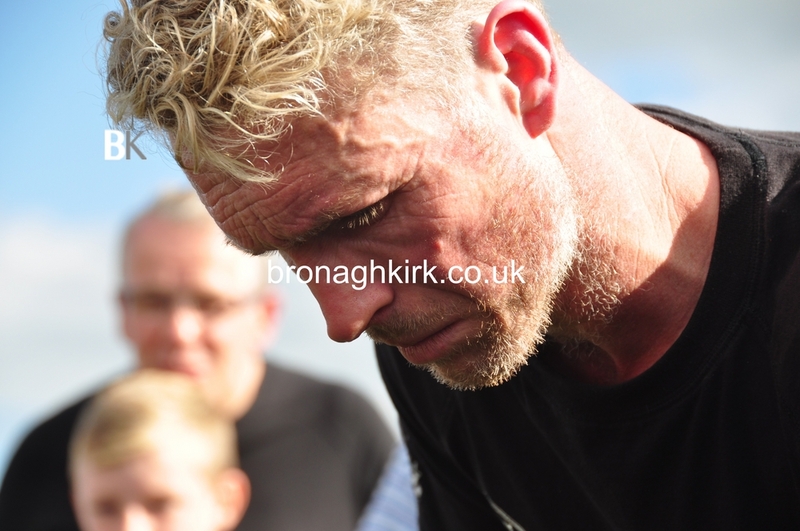 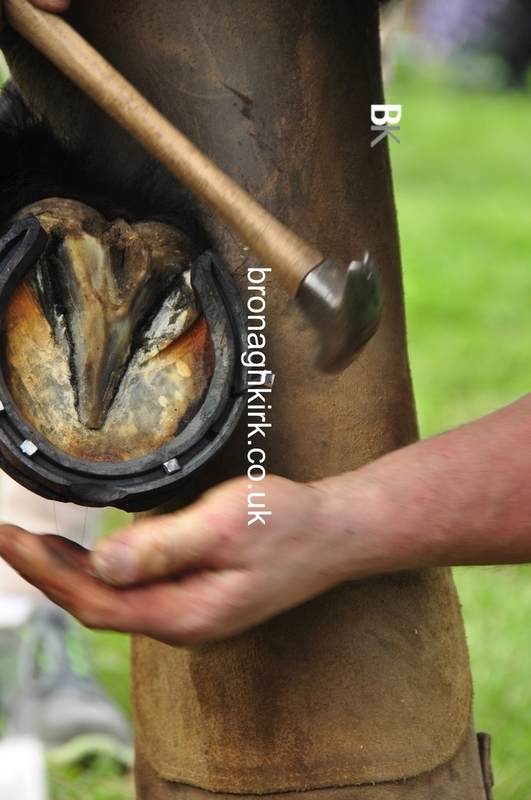 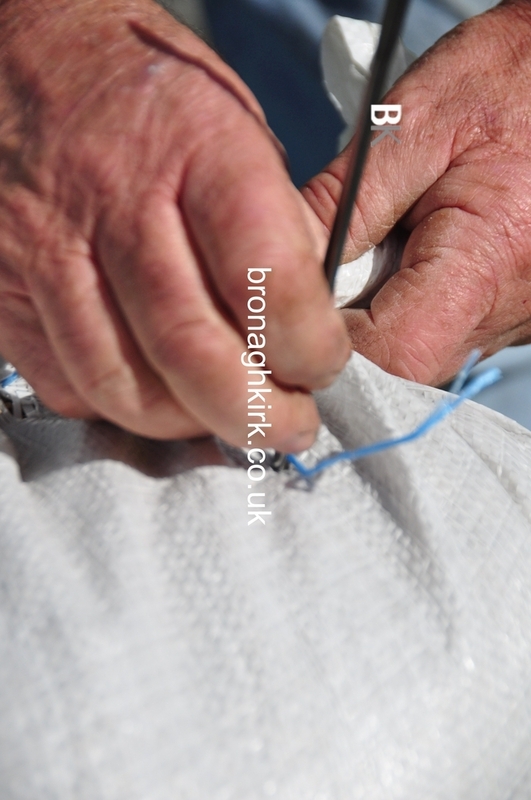 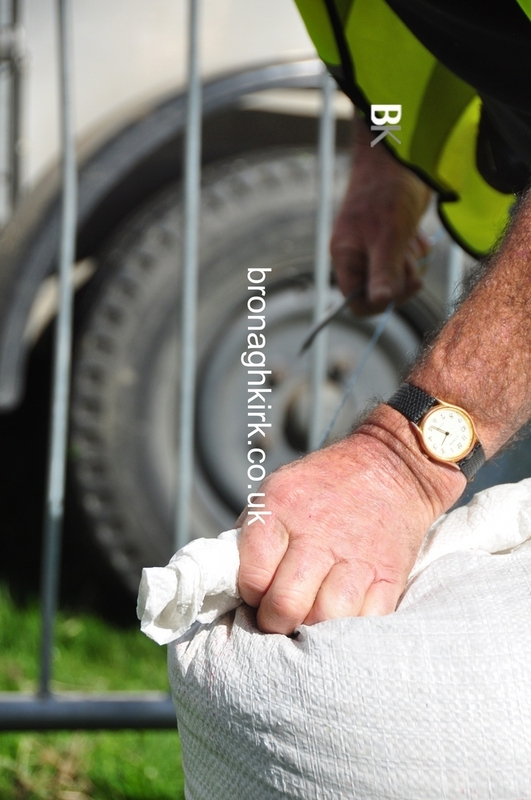 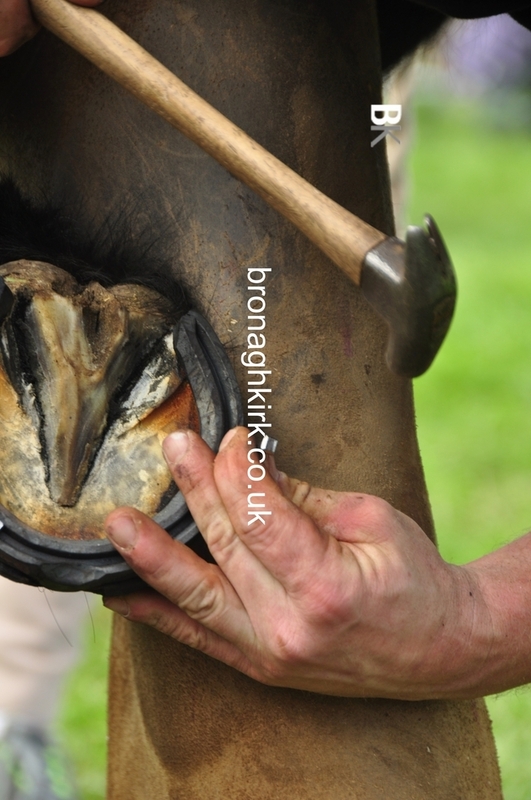 Some of the photos may appear to be repetitive but each one illustrates a vitally important part of the job. 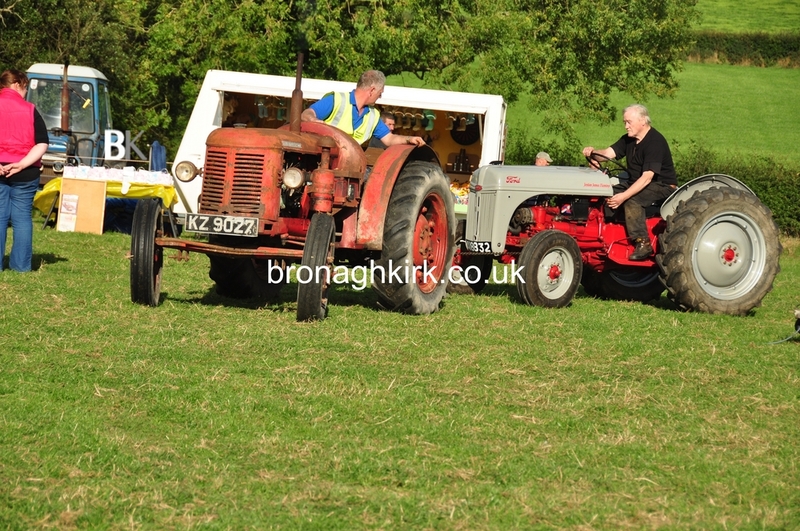 This was an excellent day and the Tractor Boys deserve high praise. 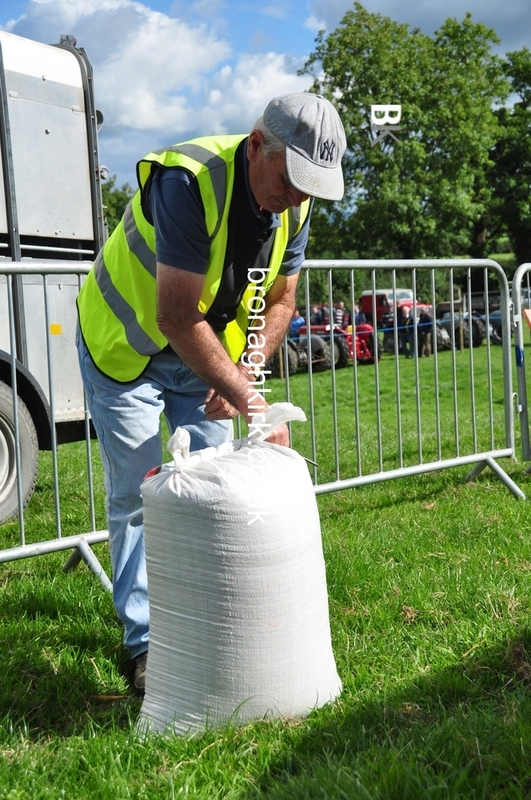 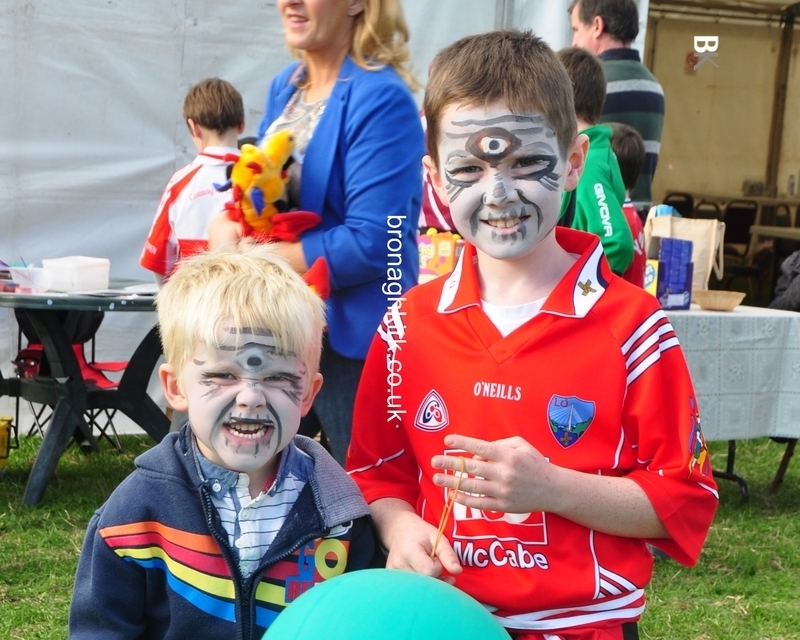 There will be photos of 2005 Fundraising Day put up at a later stage.